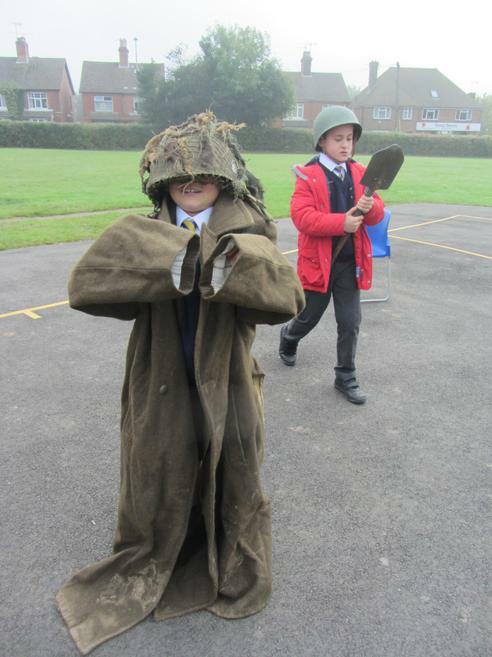 When class 5 met a real life dragon! 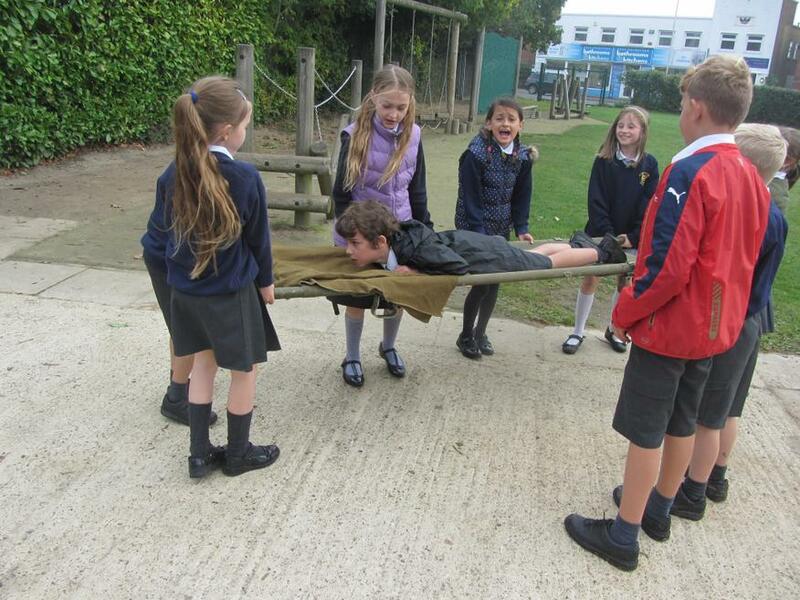 On Wednesday, years 5 and 6 were lucky enough to get a visit from Thunder - a real life dragon! 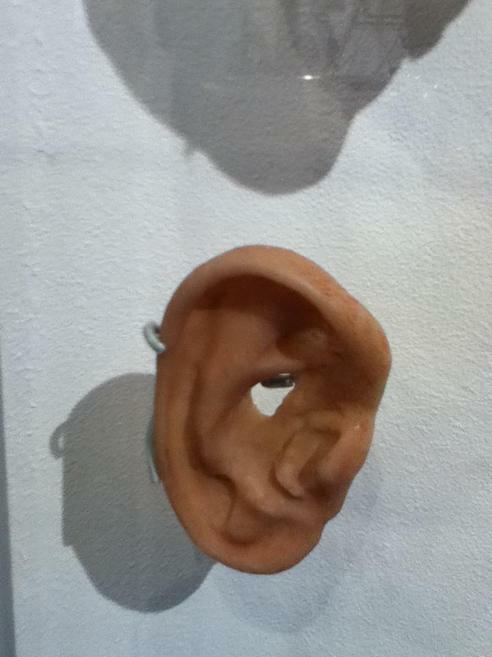 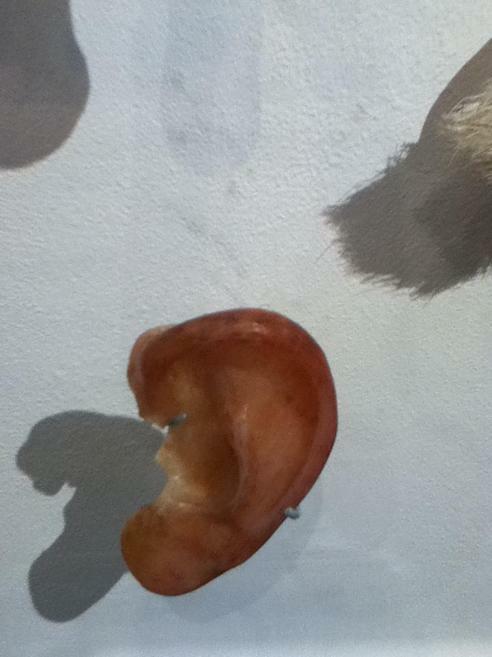 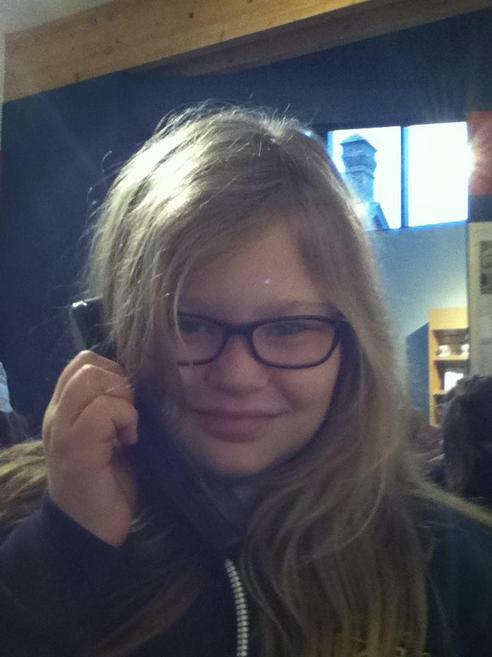 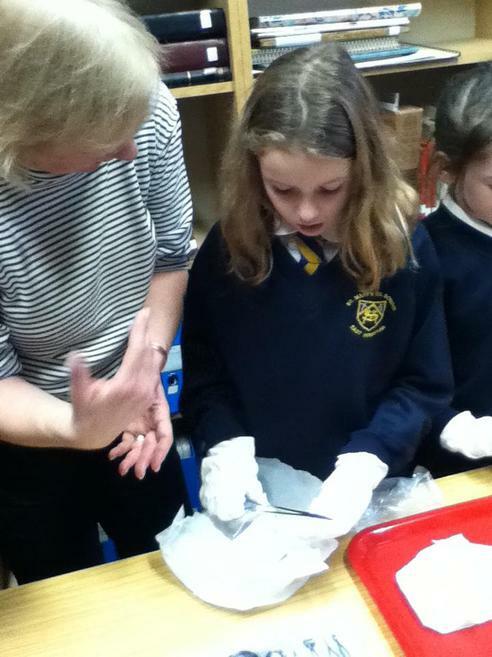 As you can imagine, we had many questions to ask. 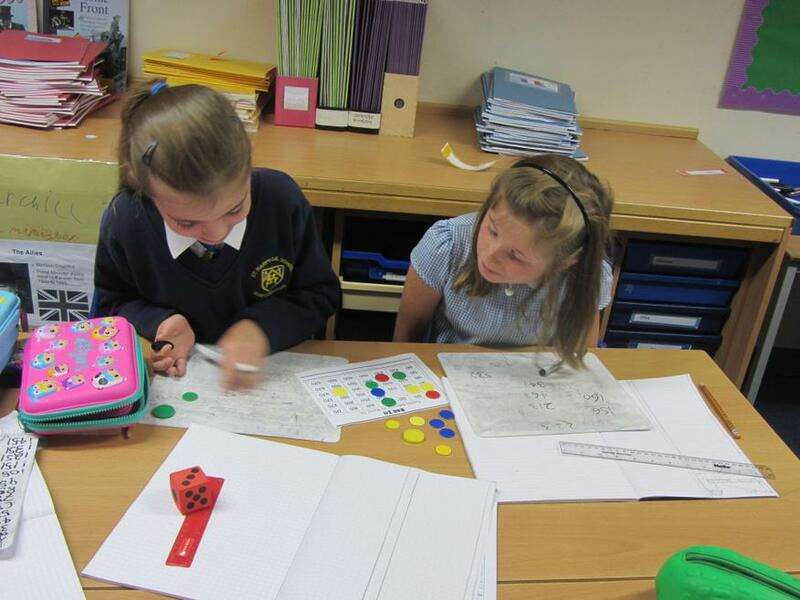 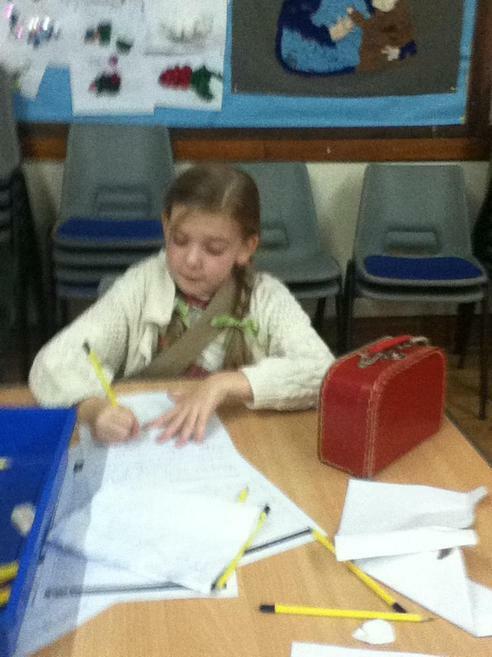 We discovered lots of interesting facts and have started writing them up into a non-chronological report. 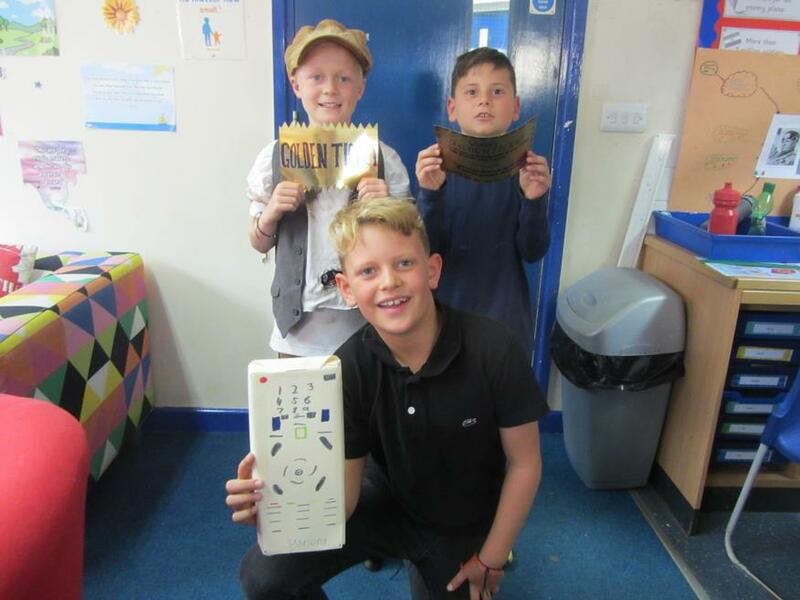 Years 5 and 6 have recently received a very important letter and package from Dr Sam Cook - who we now know works for the S.A.S.D (Secret and Ancient Society of Dragonologists). 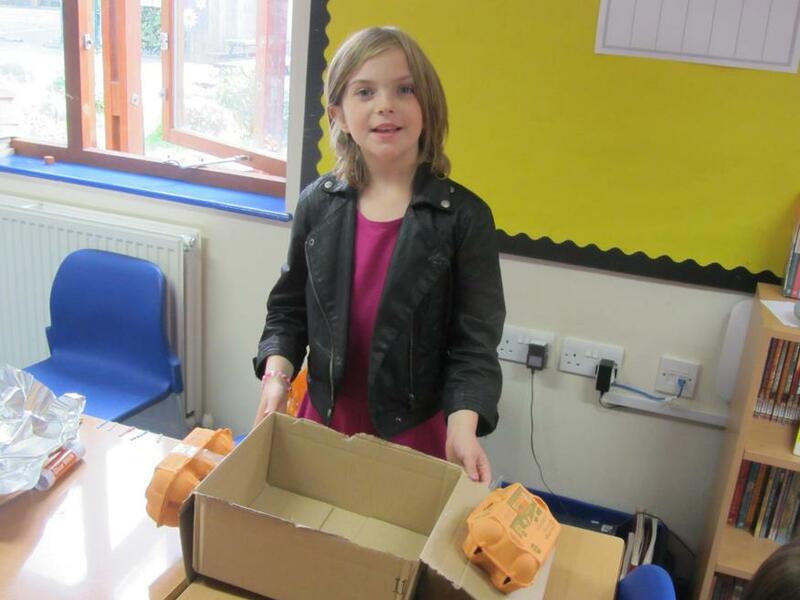 Upon opening the parcel we discovered ... dragon eggs! 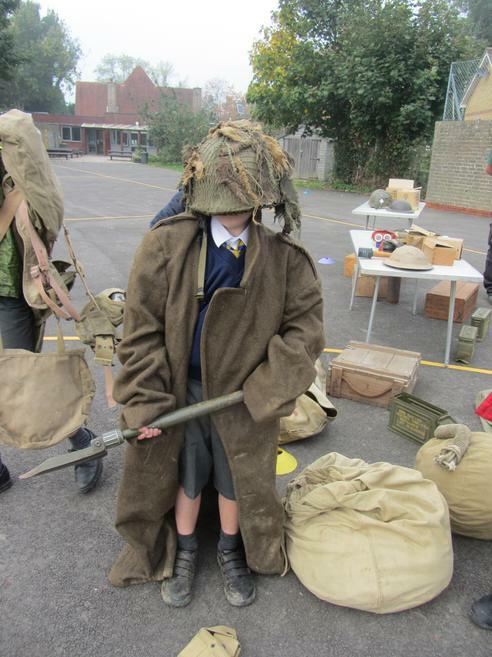 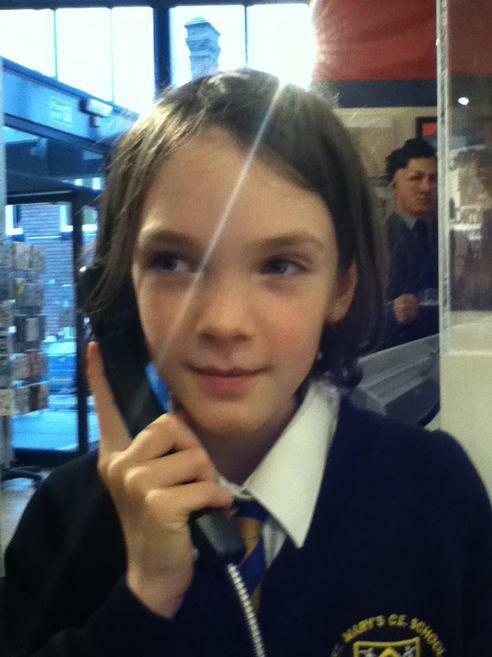 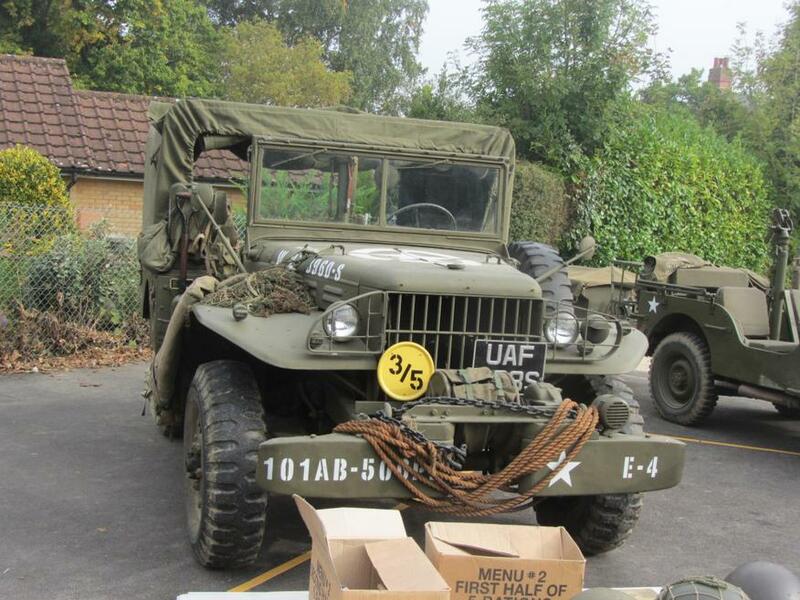 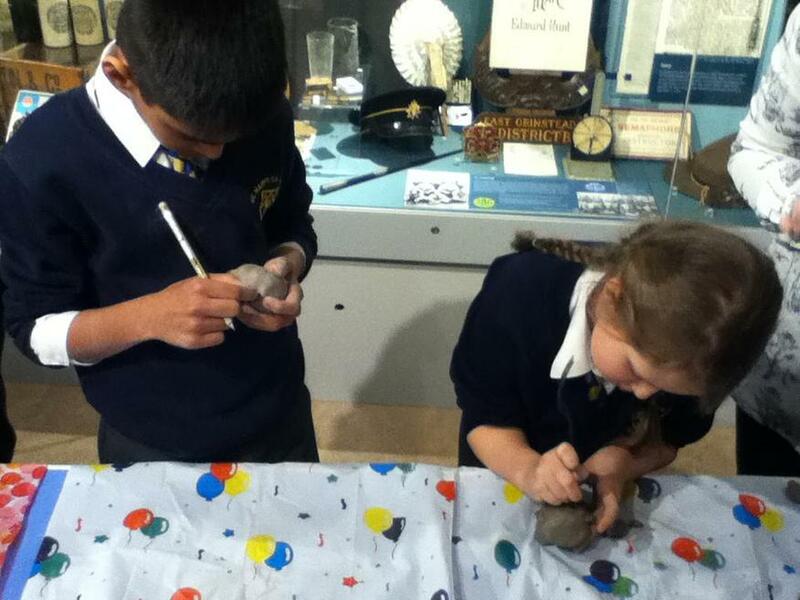 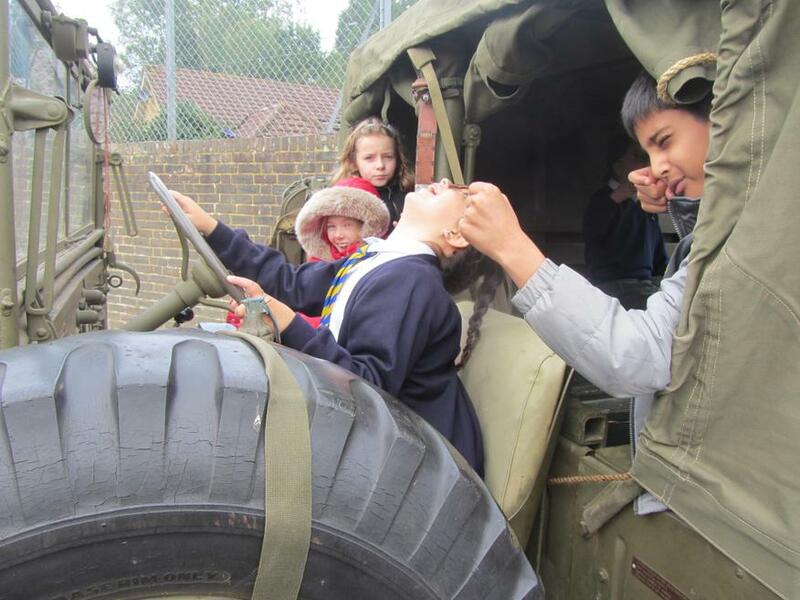 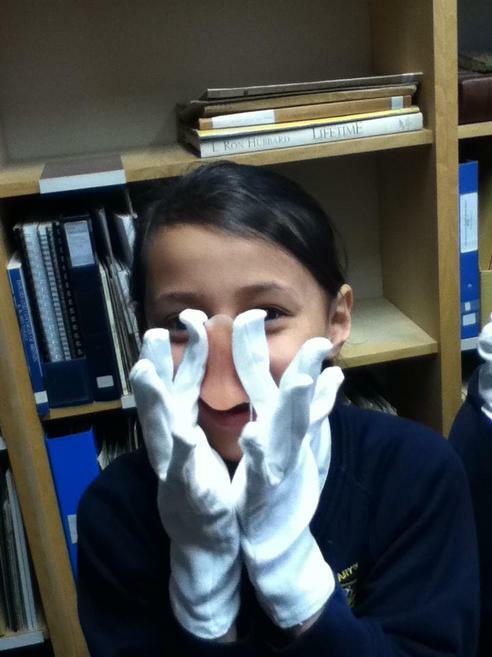 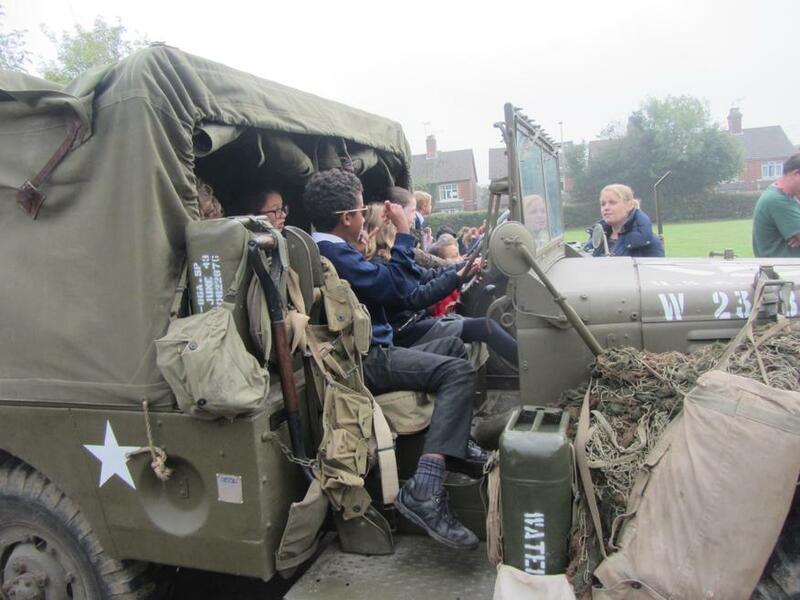 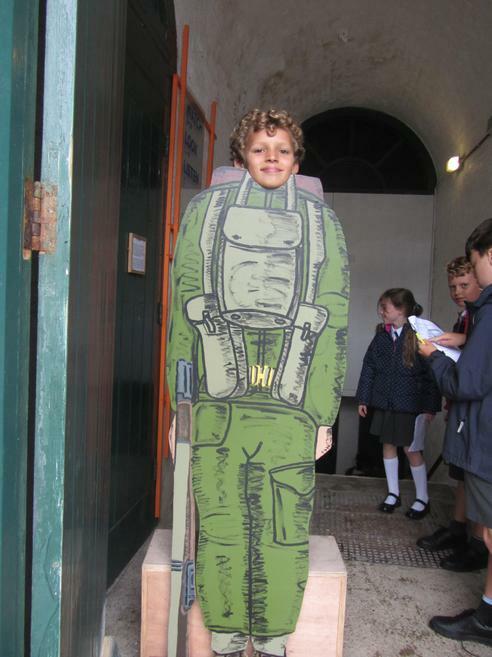 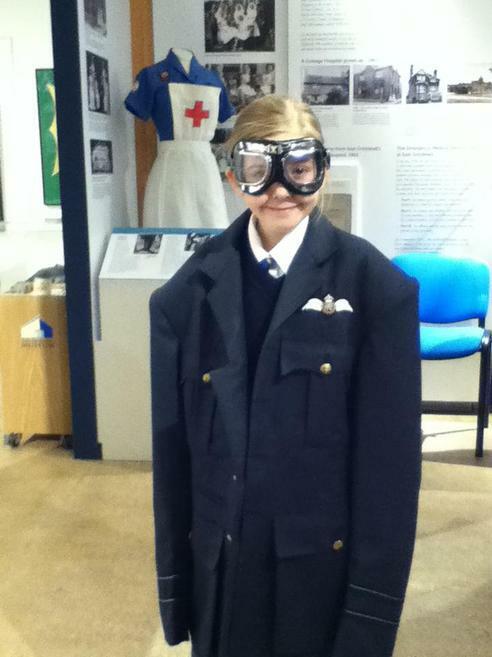 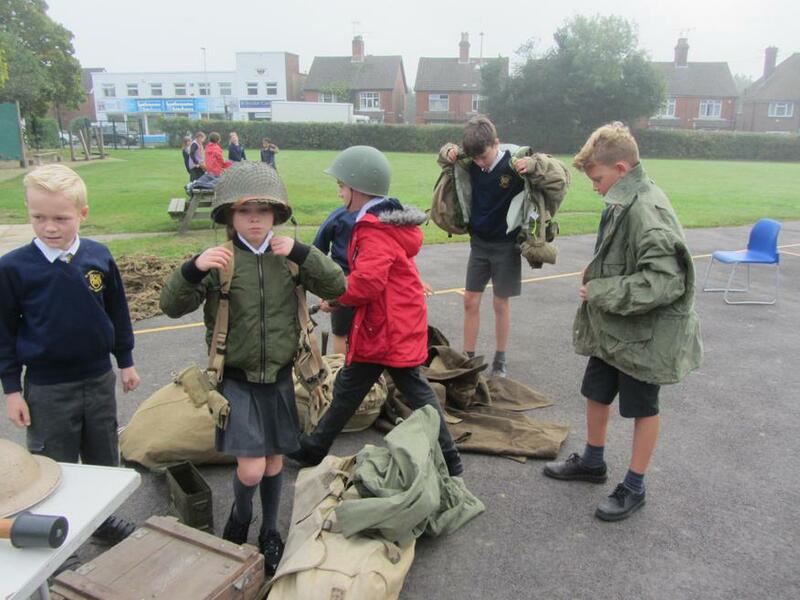 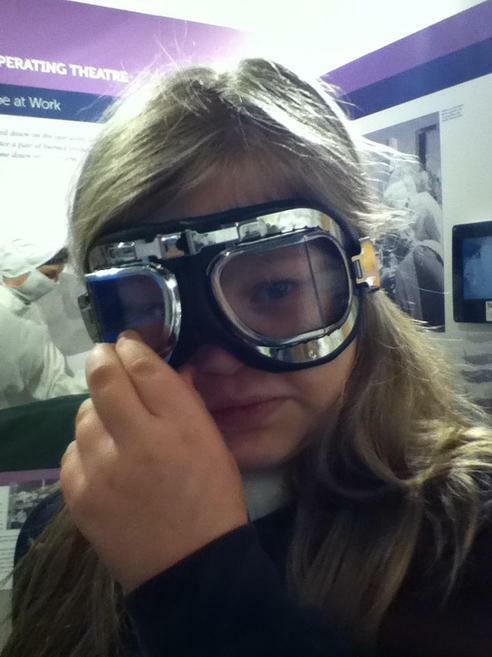 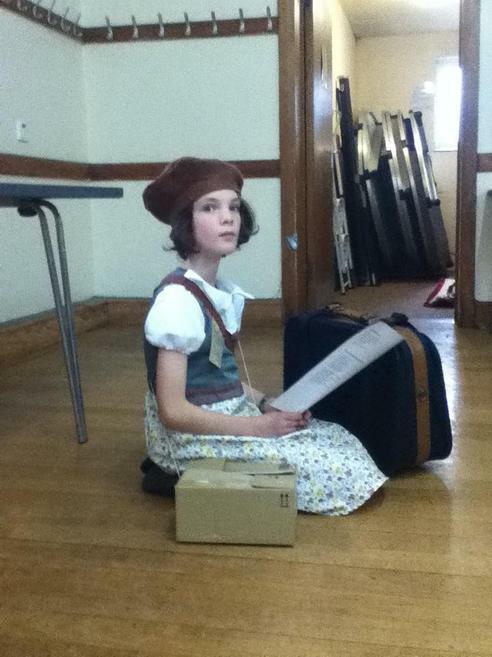 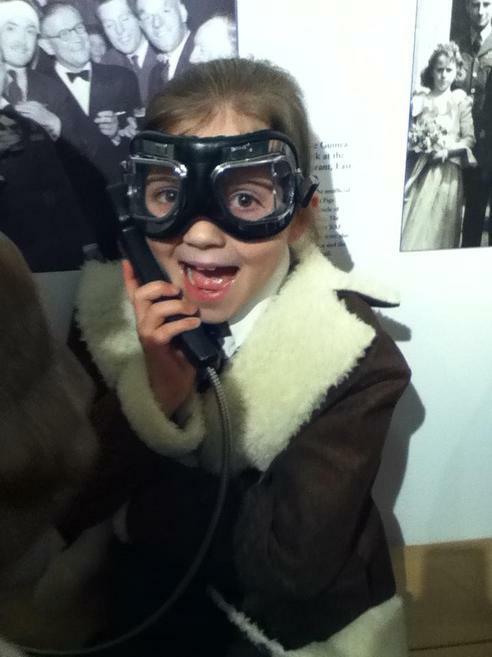 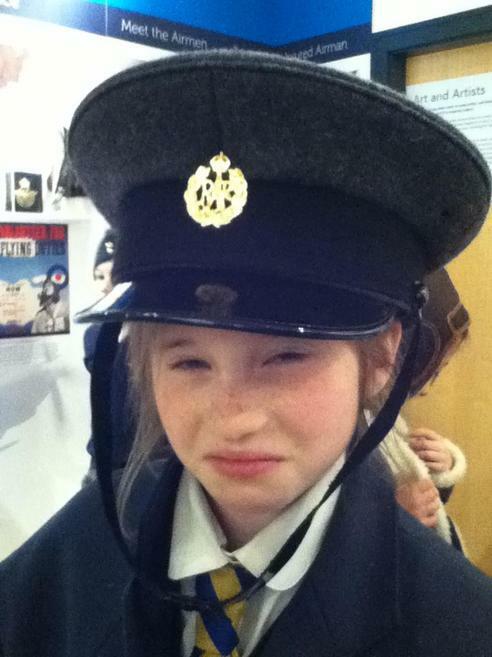 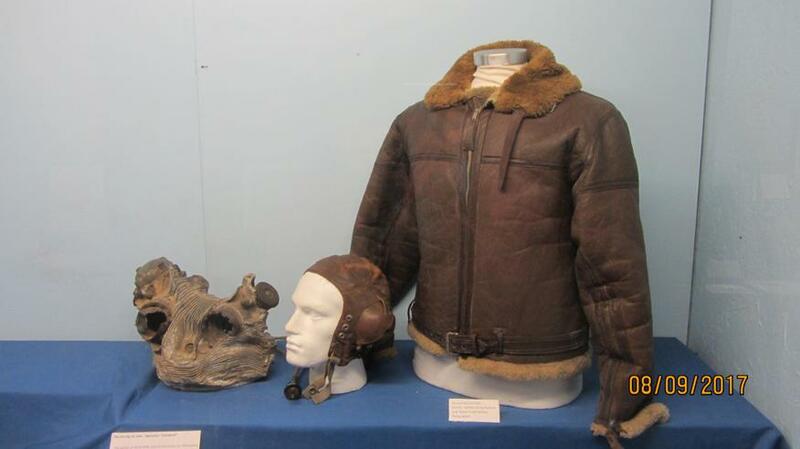 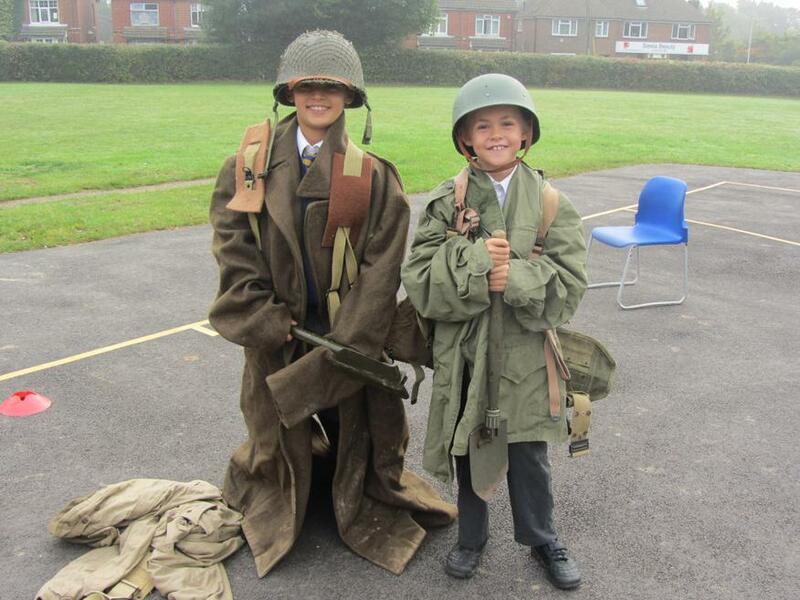 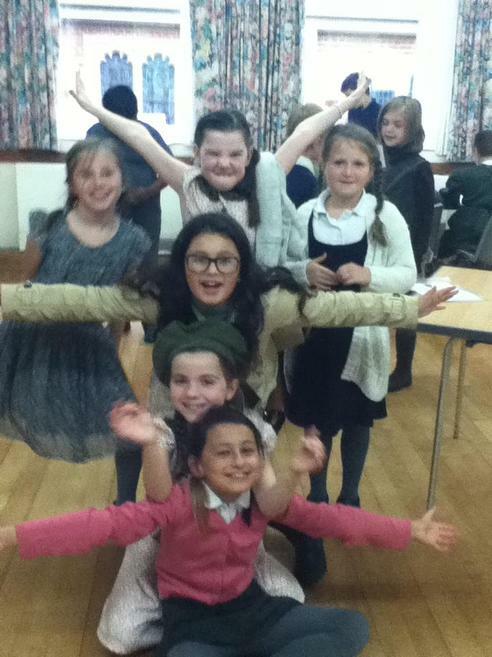 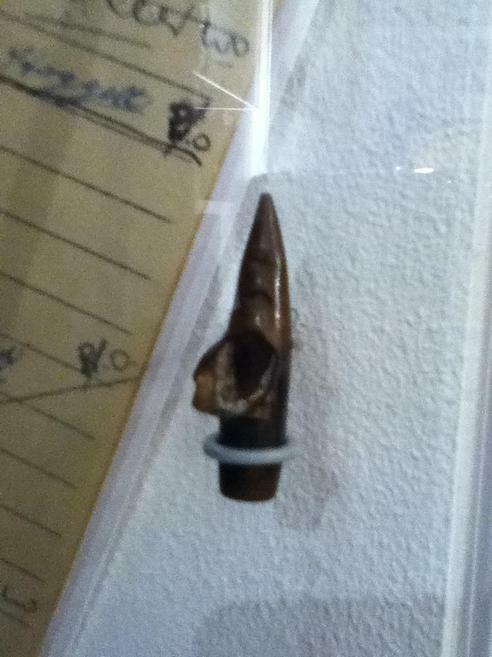 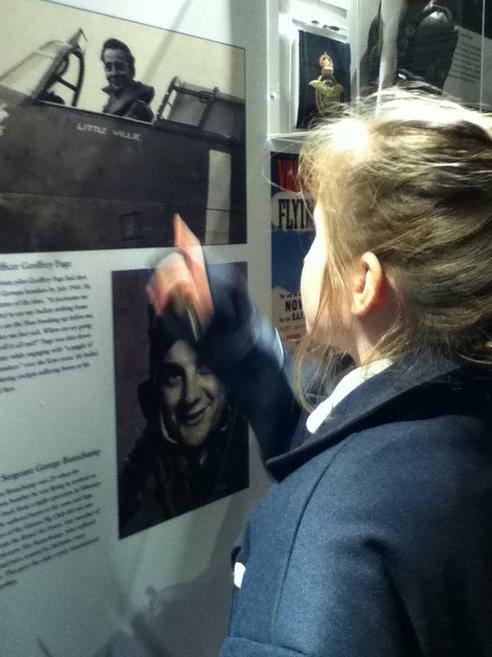 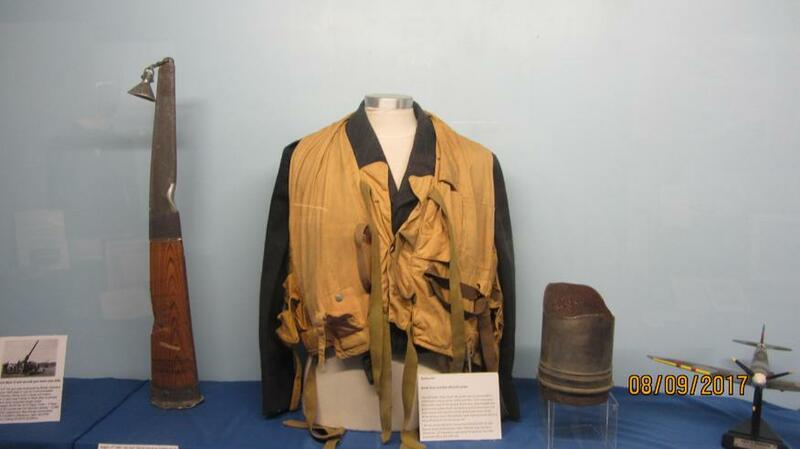 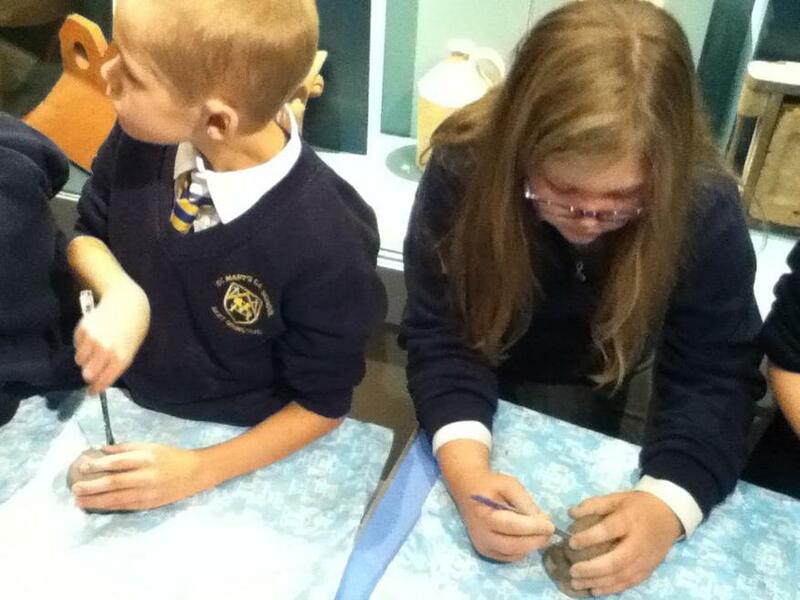 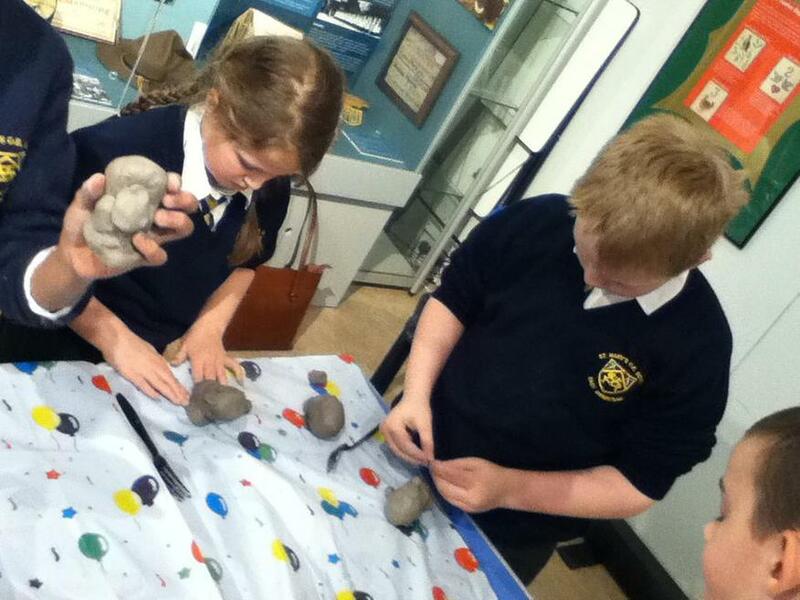 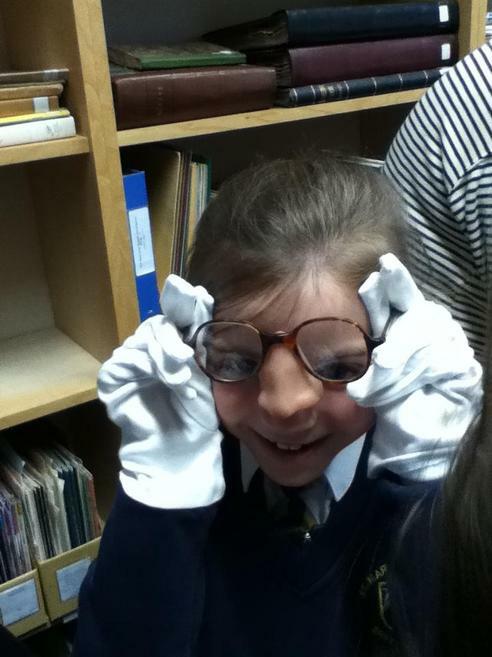 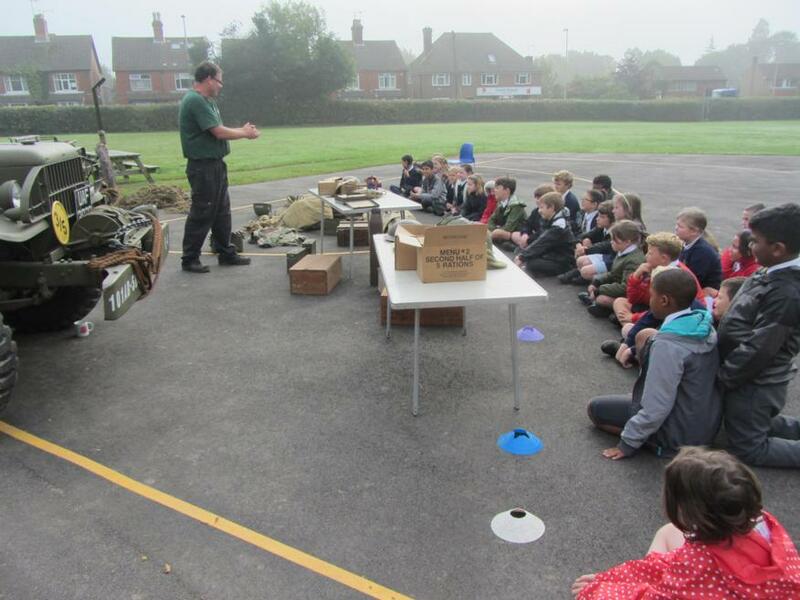 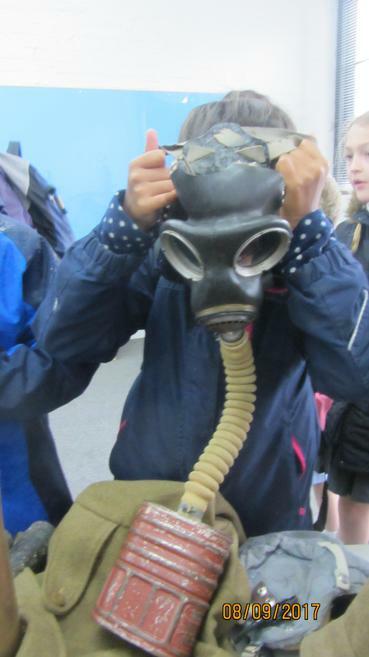 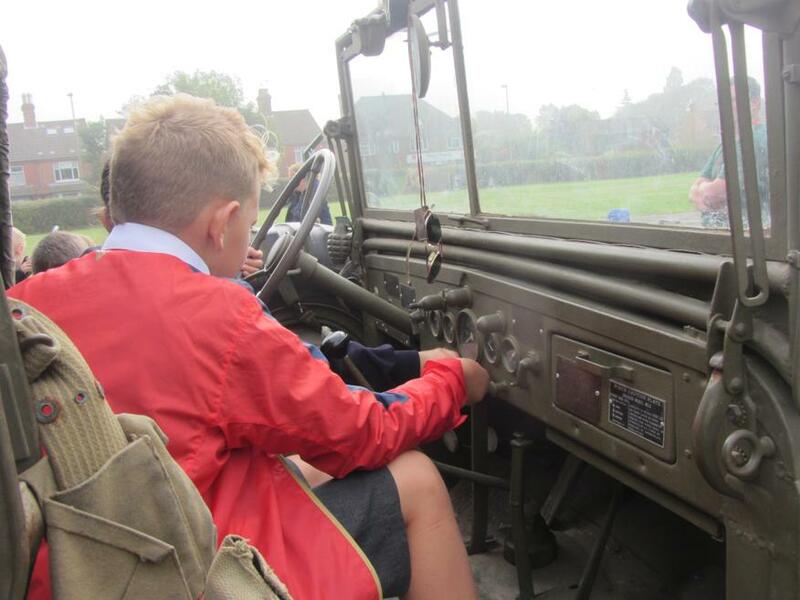 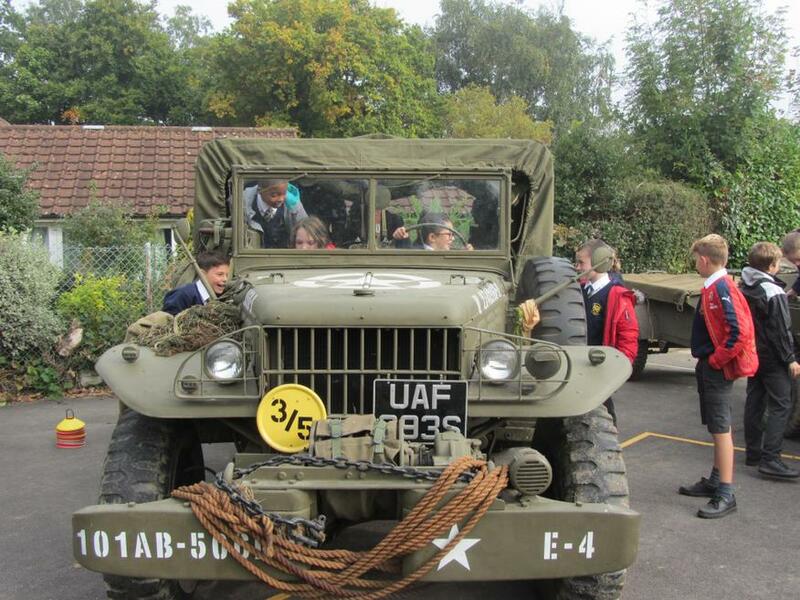 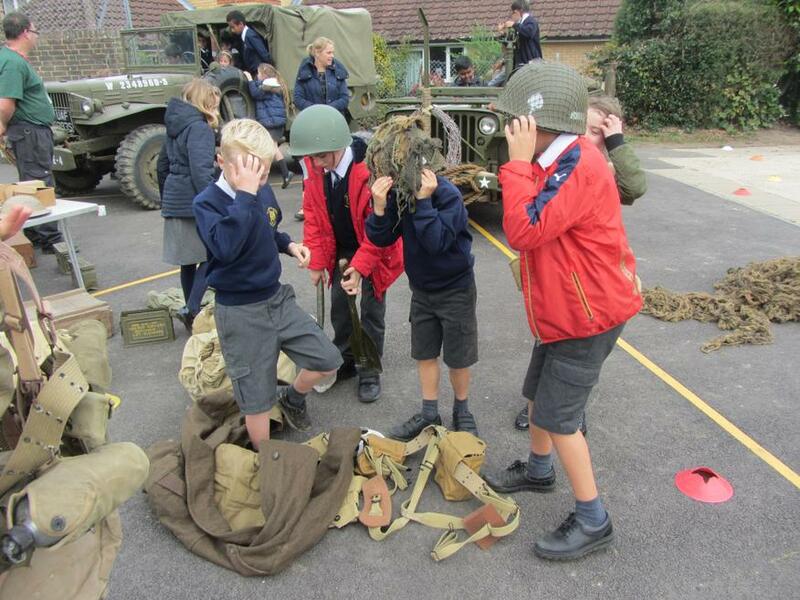 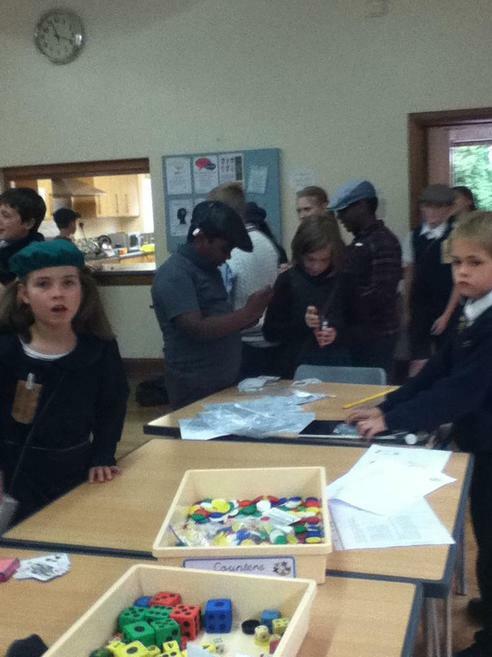 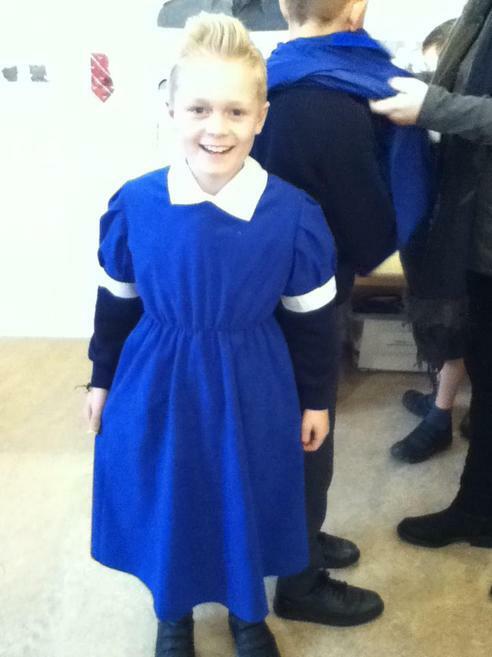 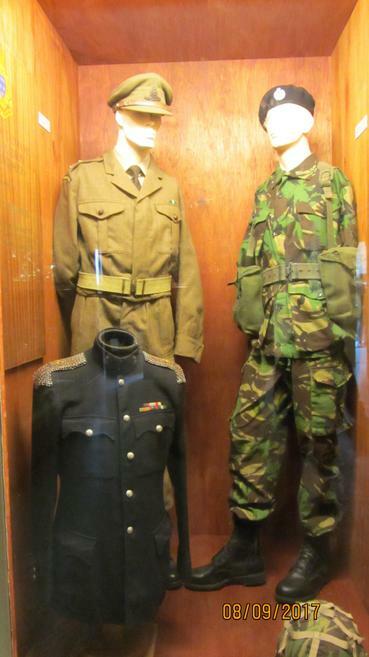 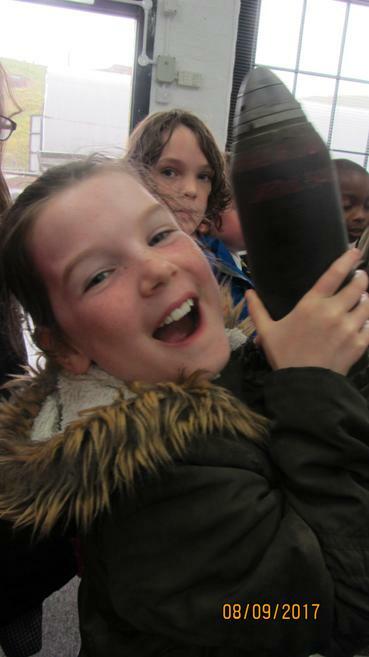 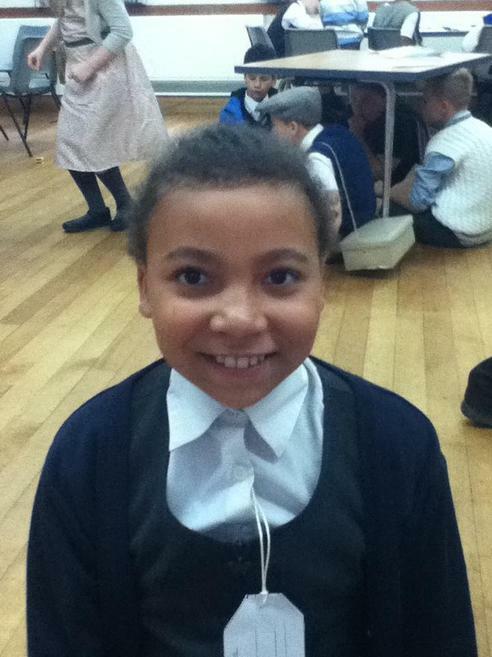 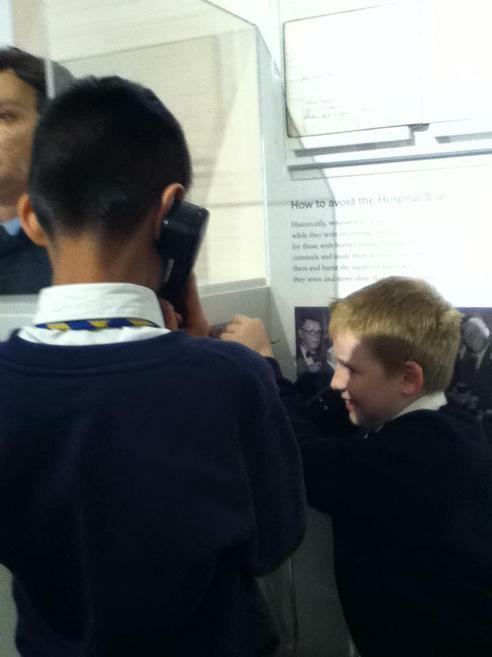 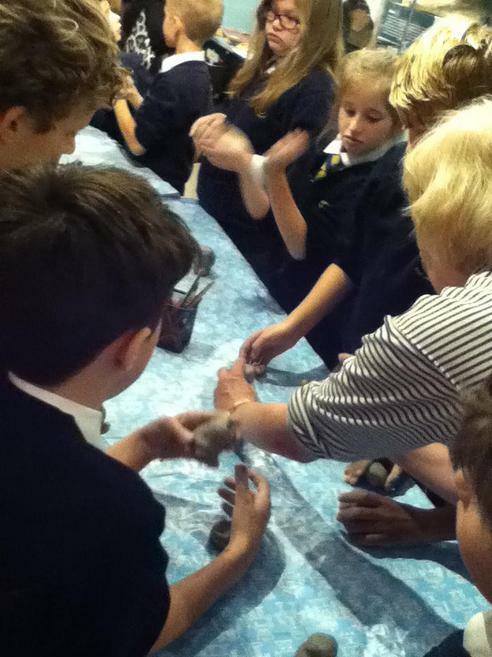 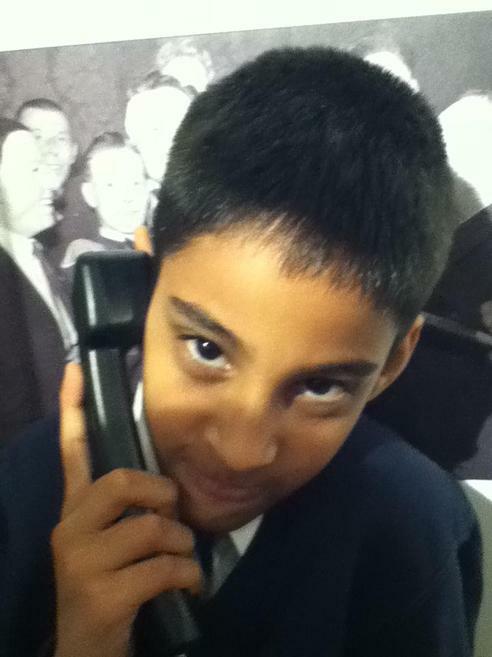 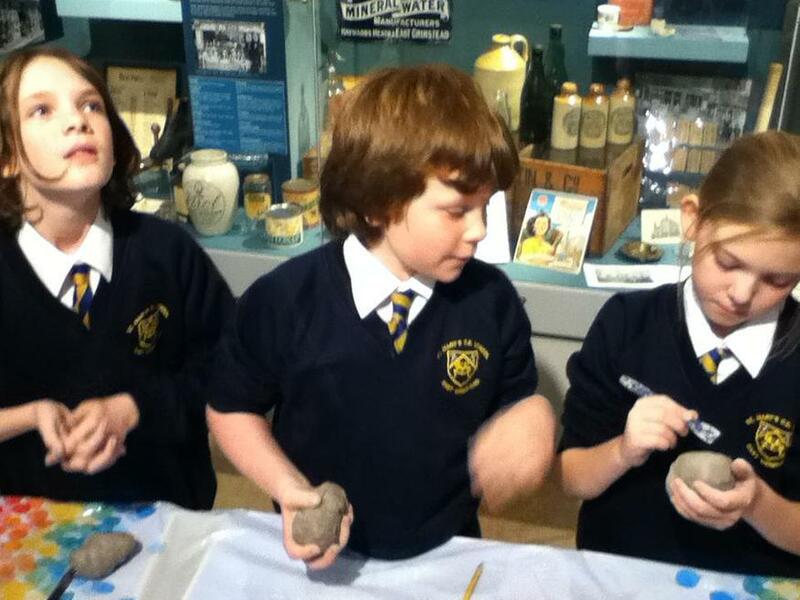 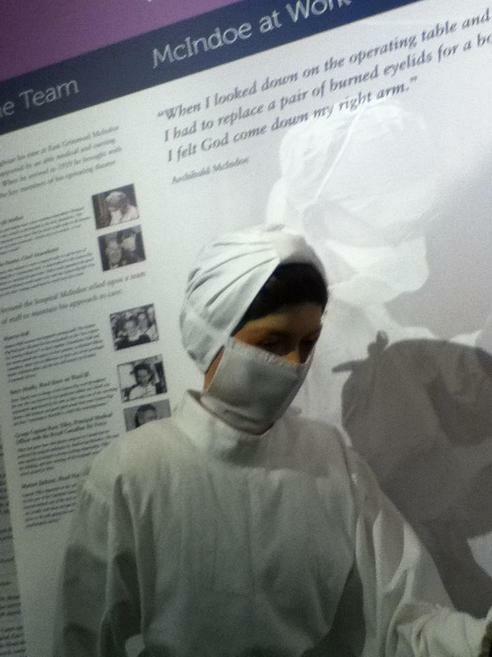 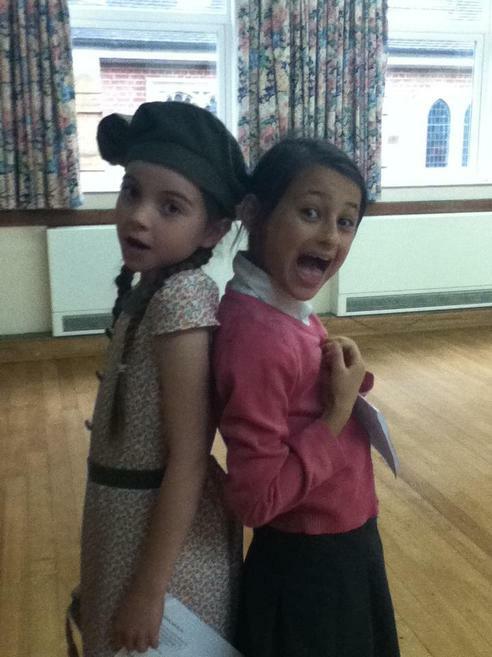 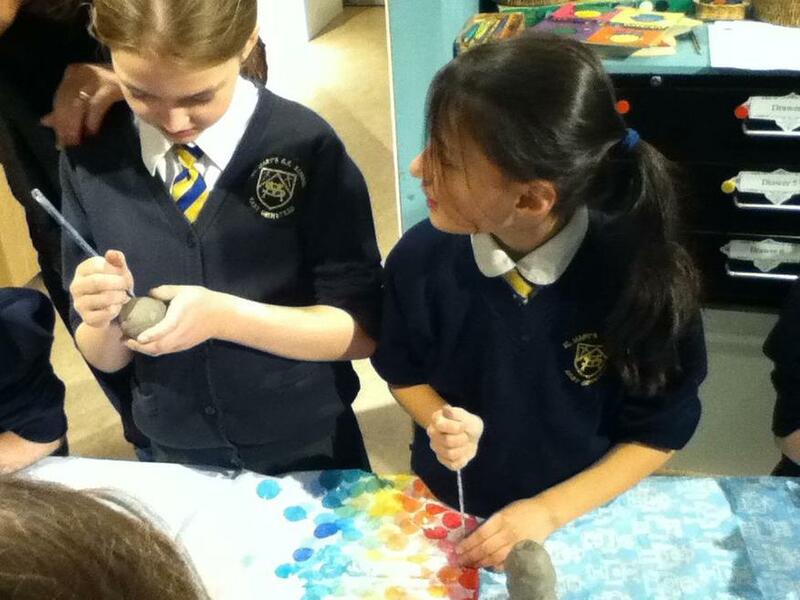 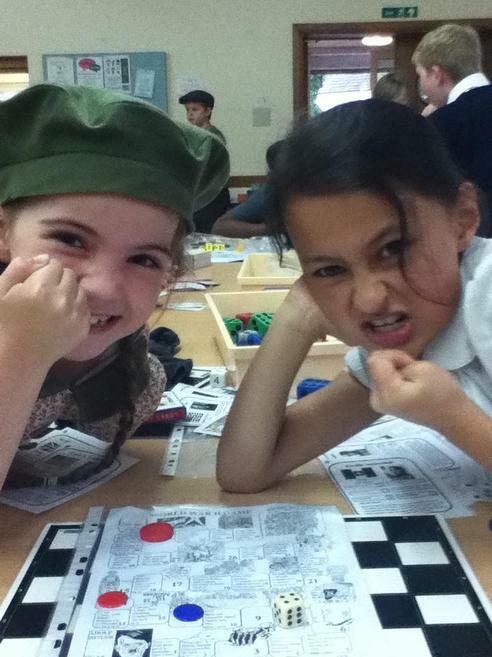 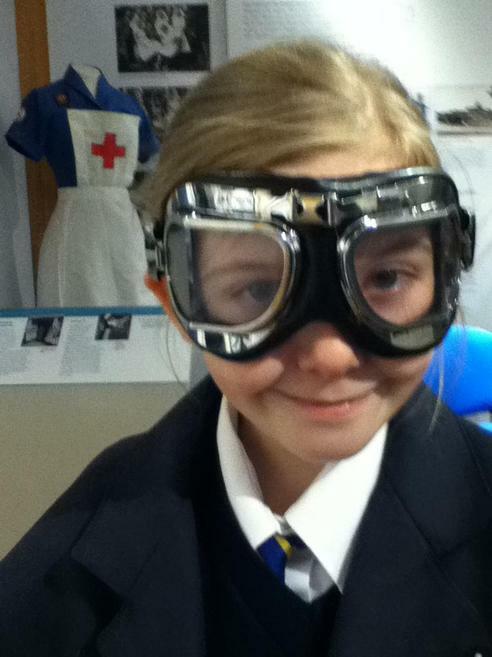 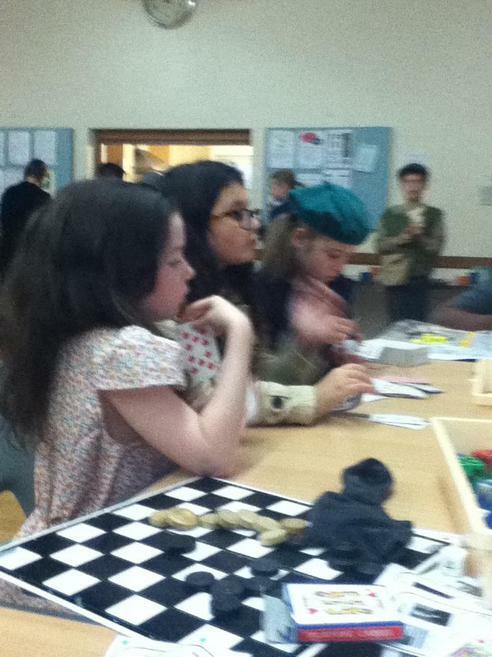 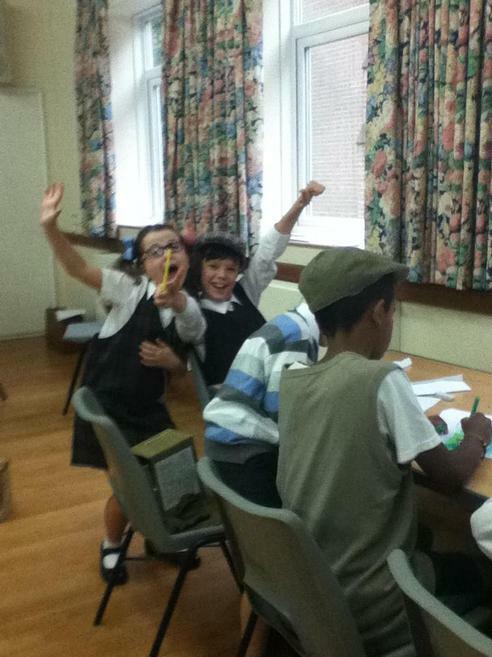 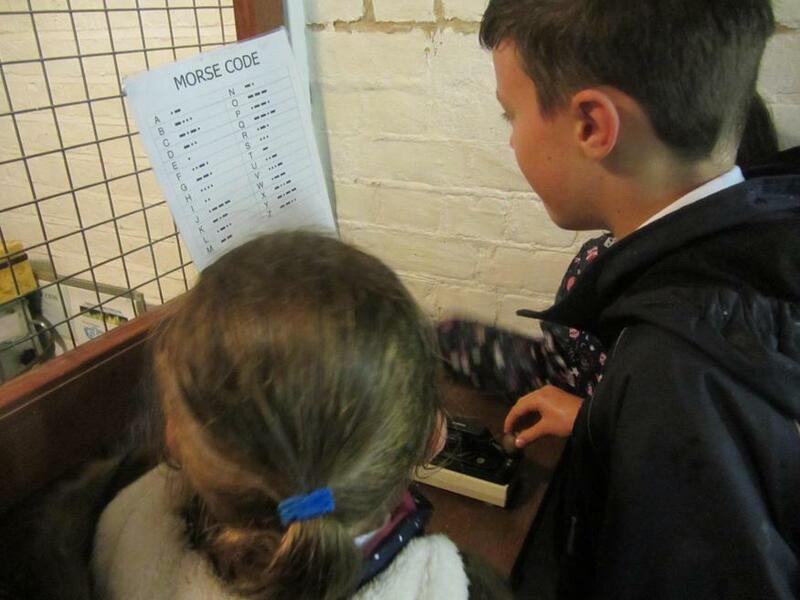 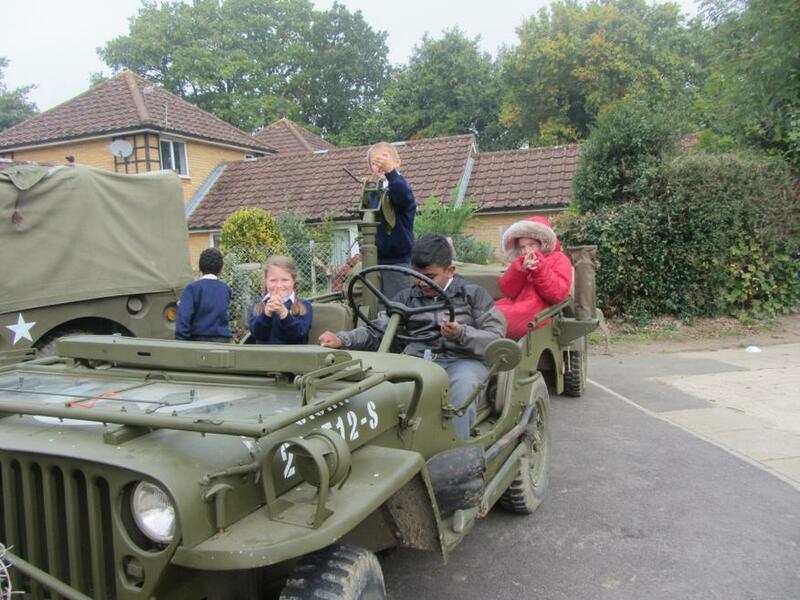 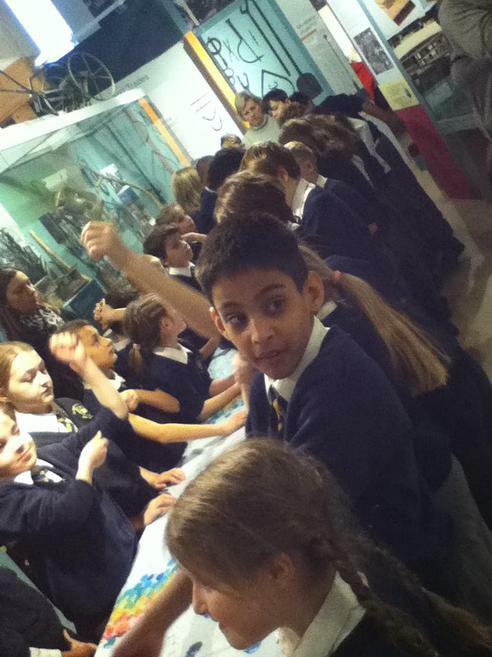 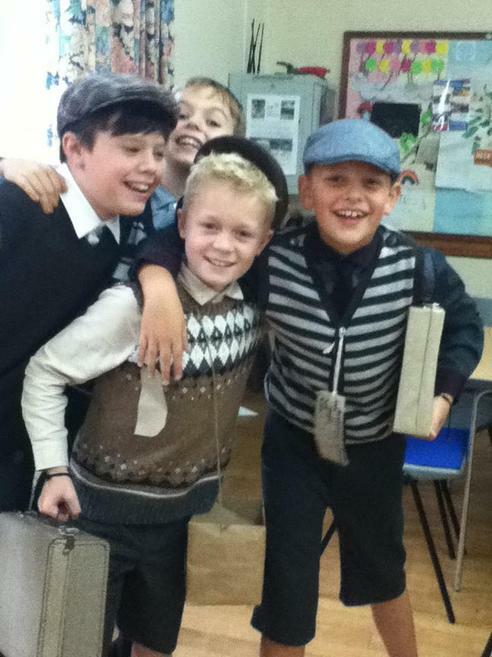 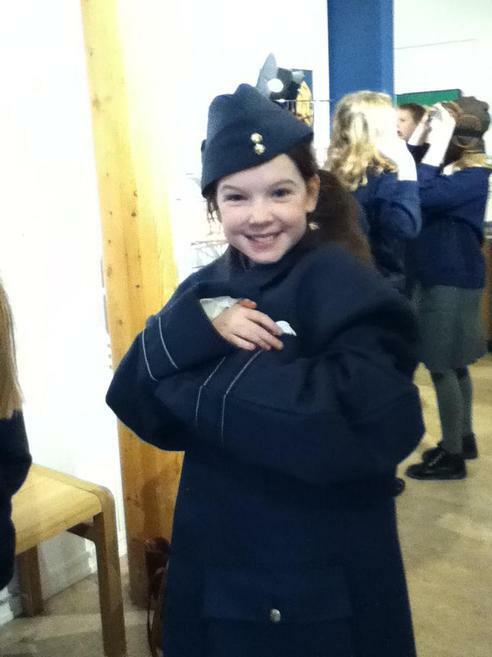 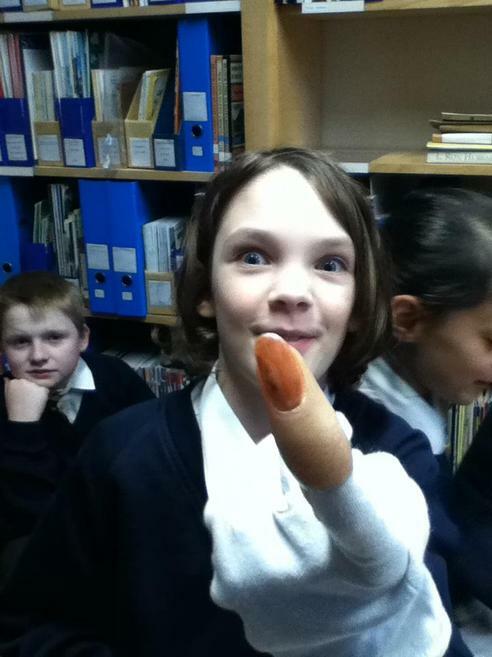 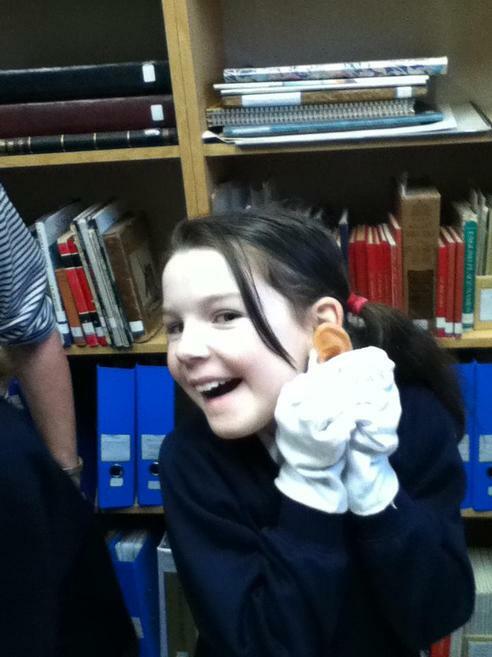 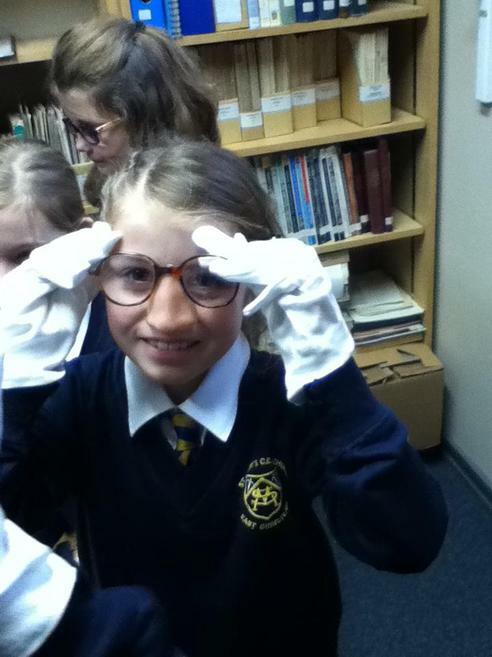 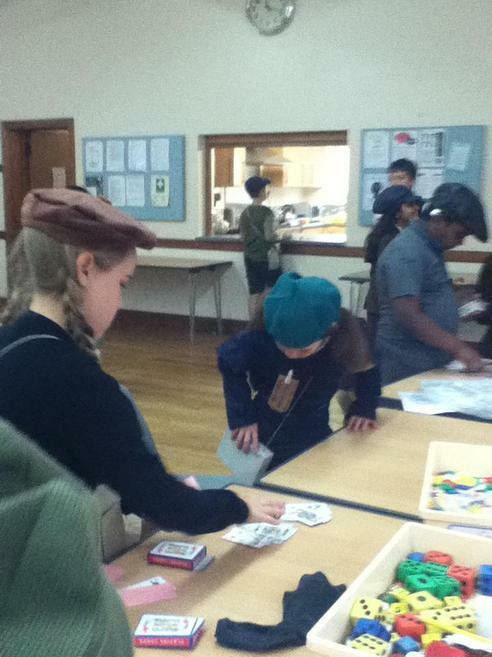 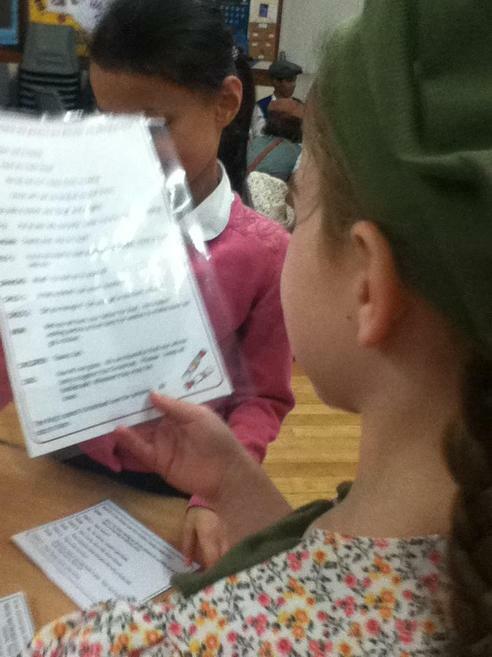 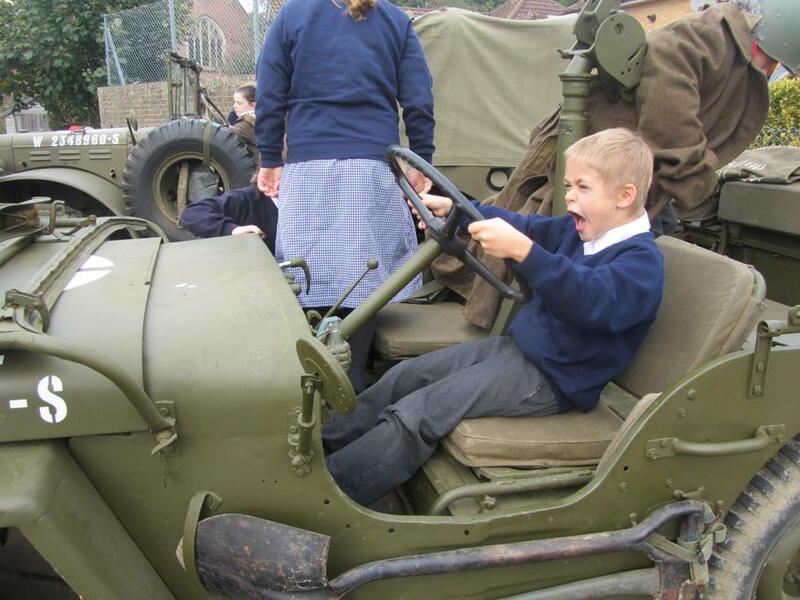 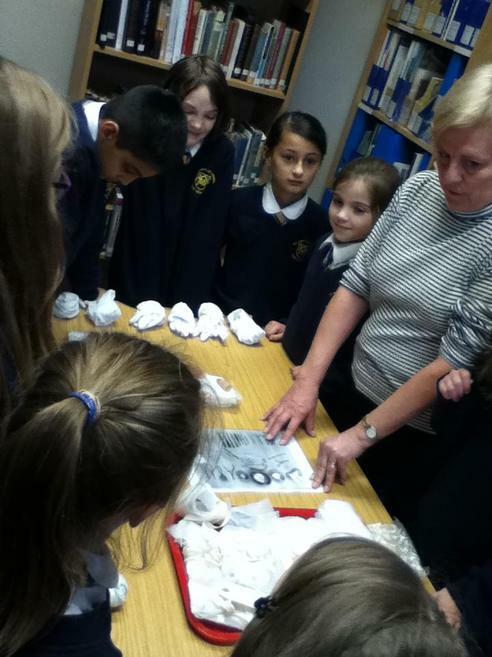 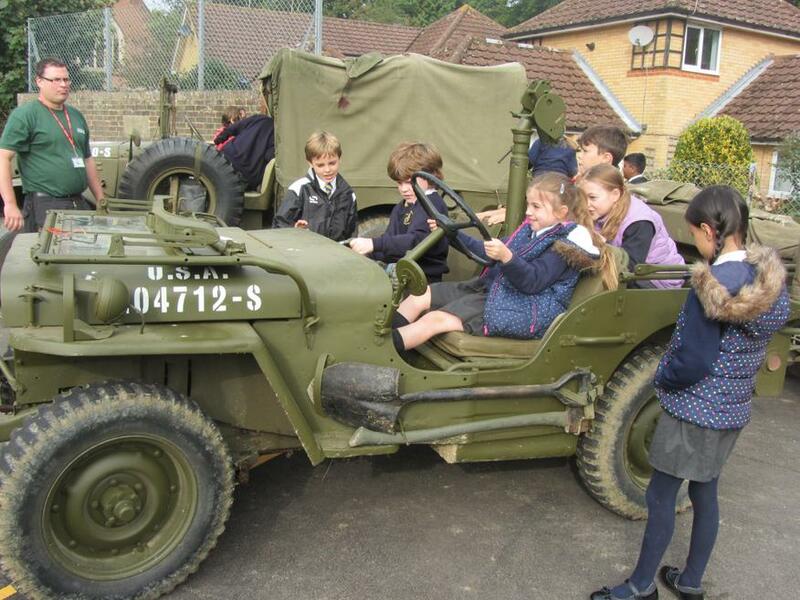 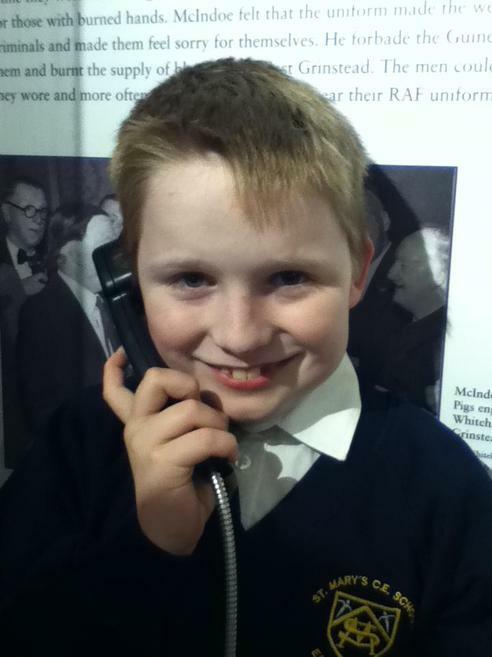 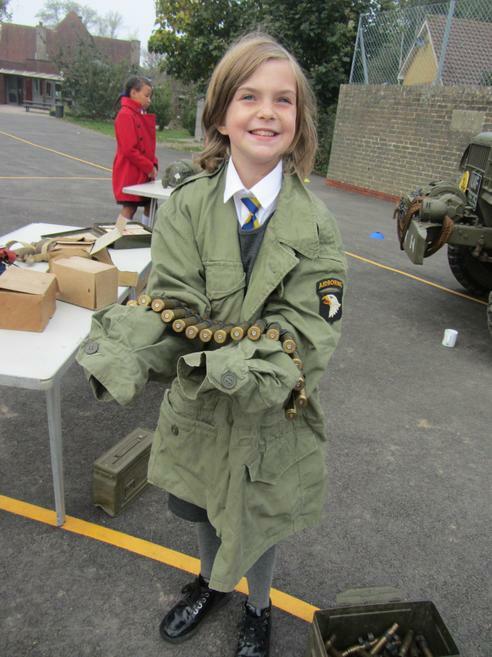 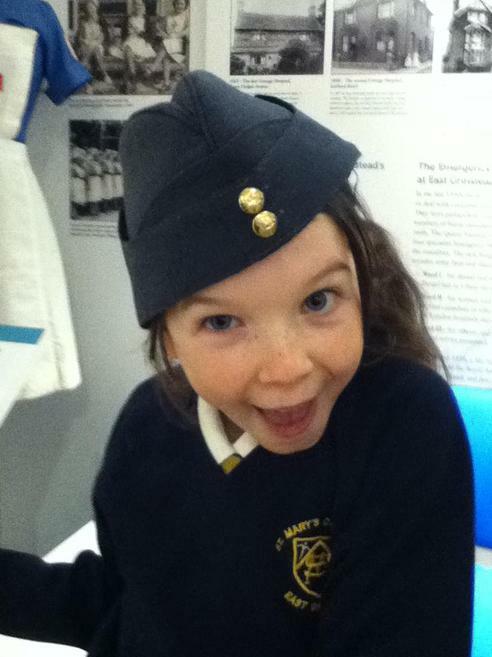 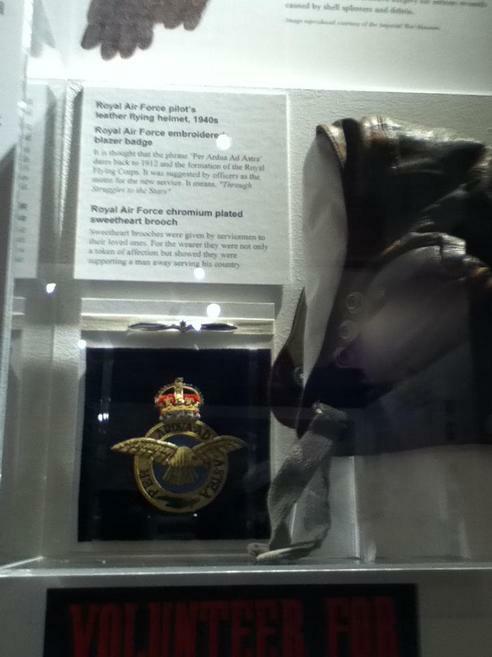 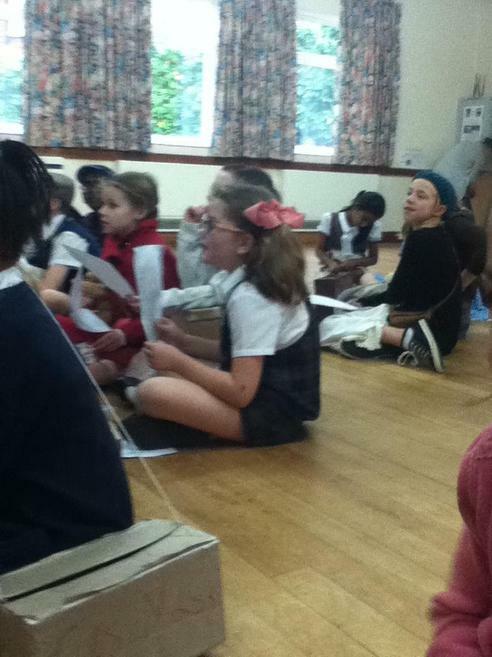 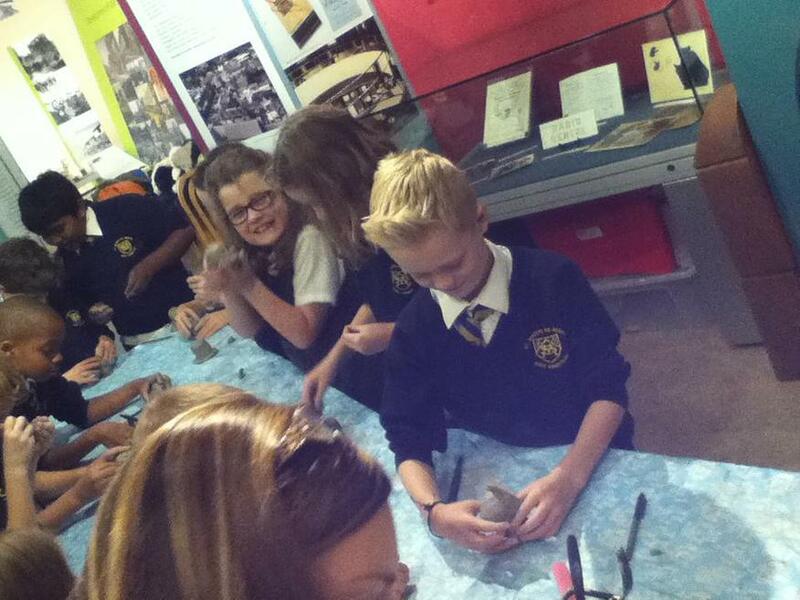 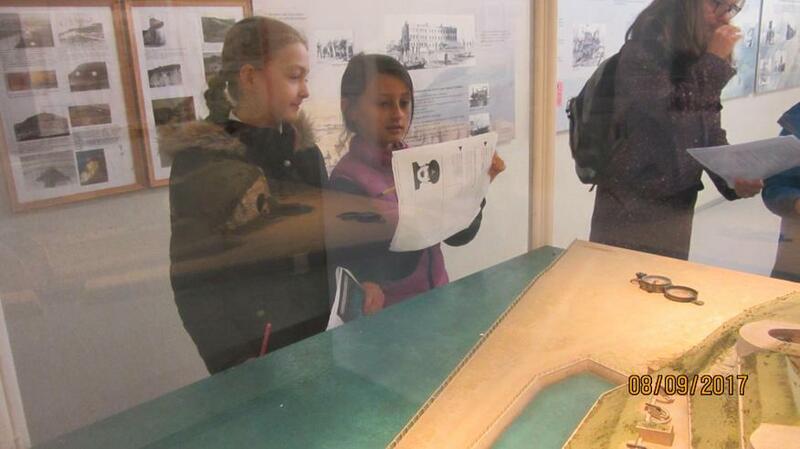 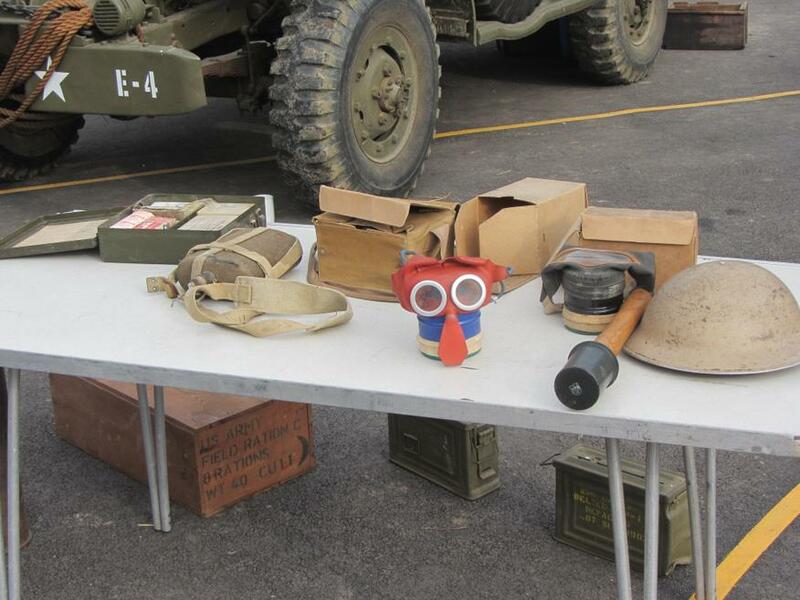 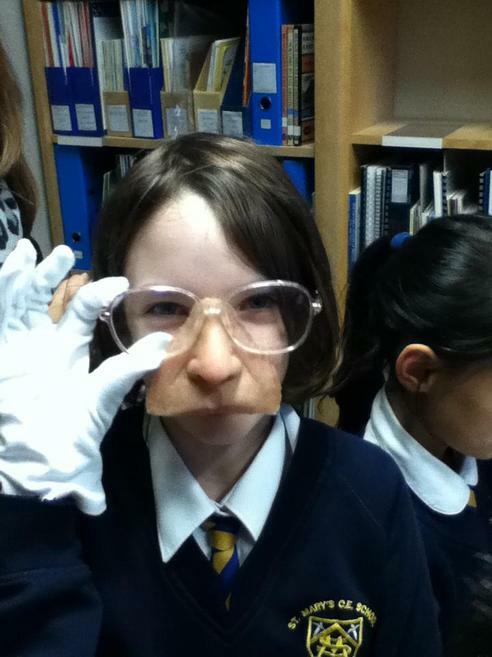 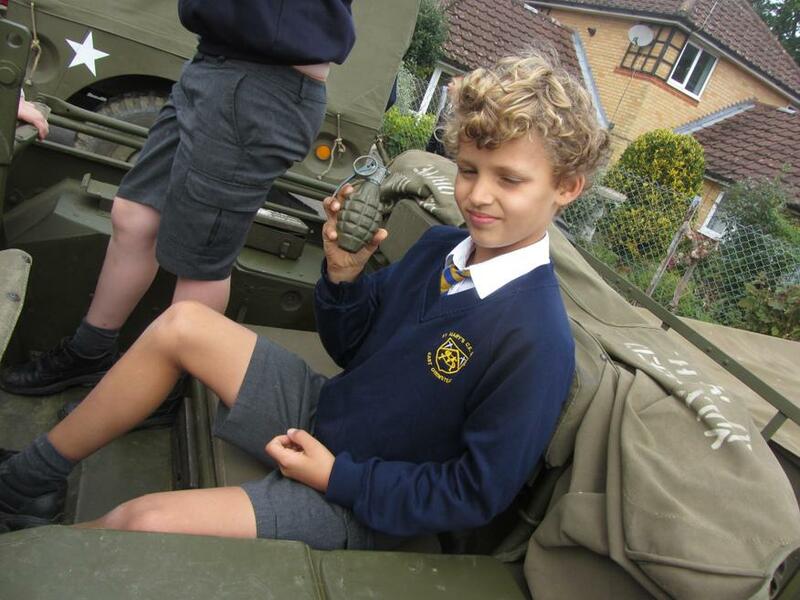 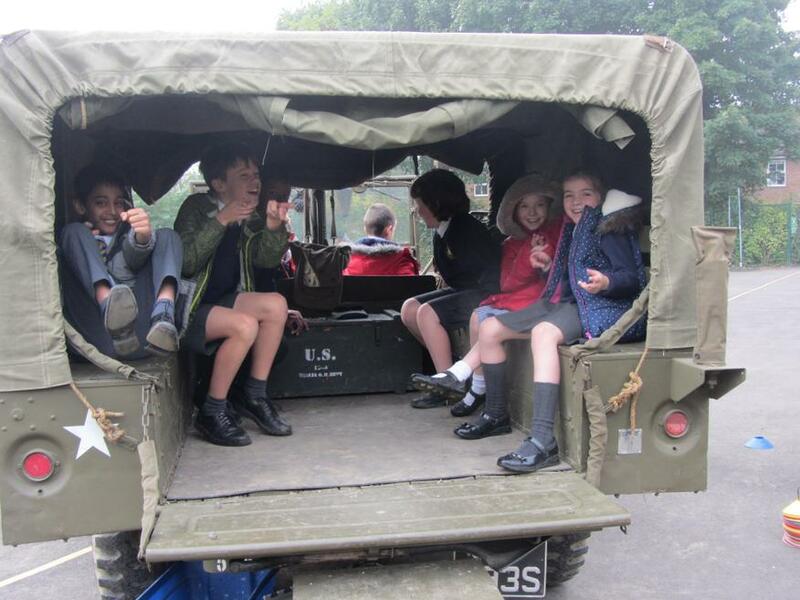 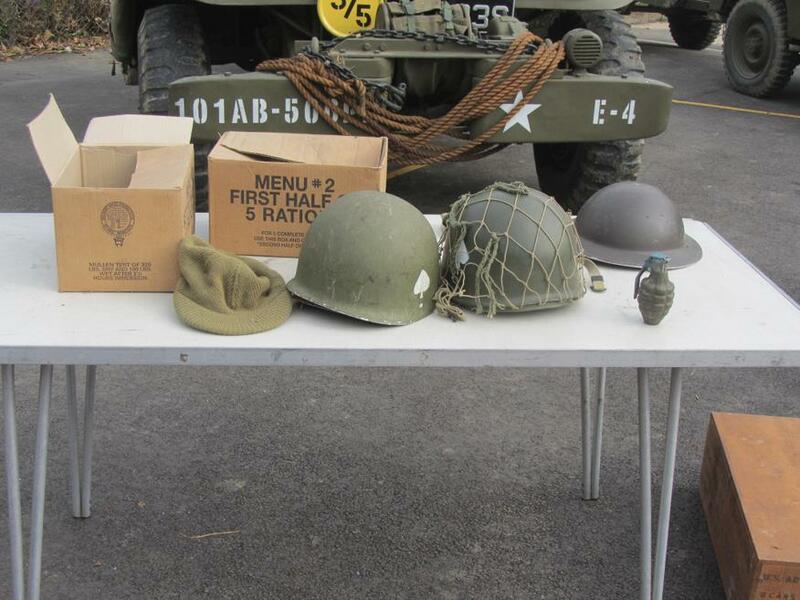 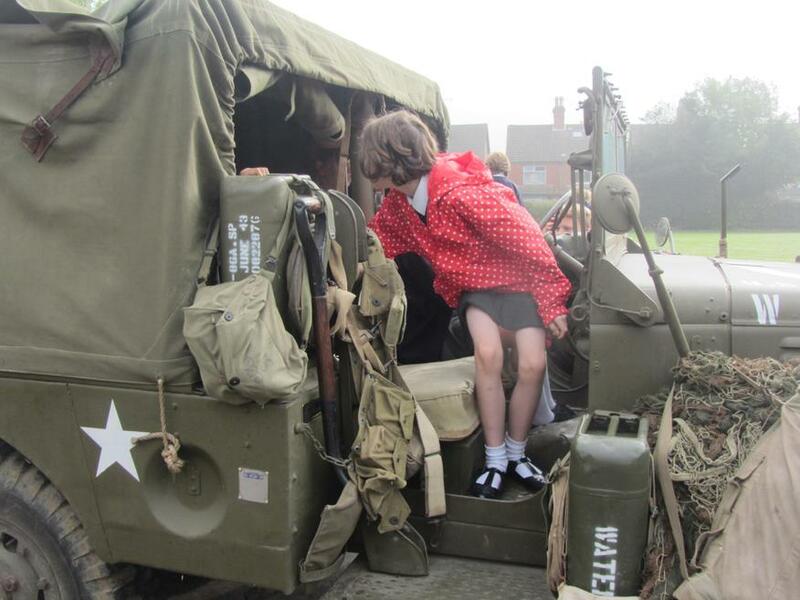 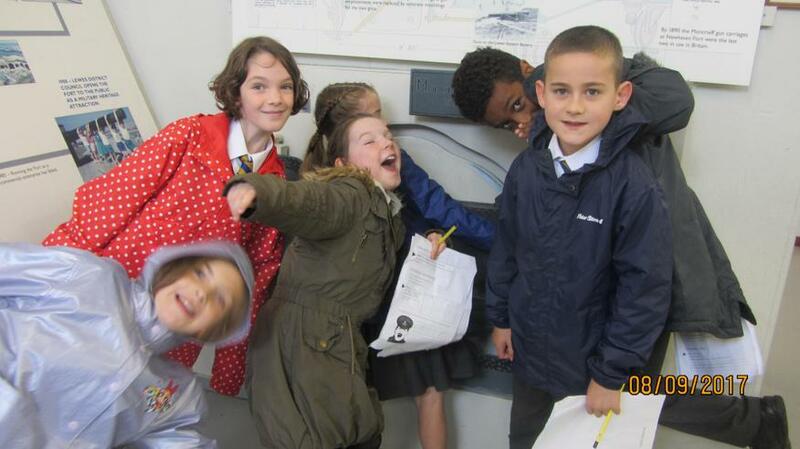 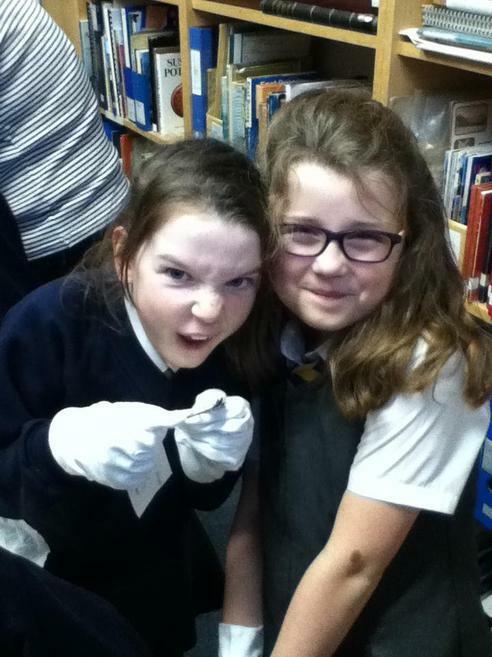 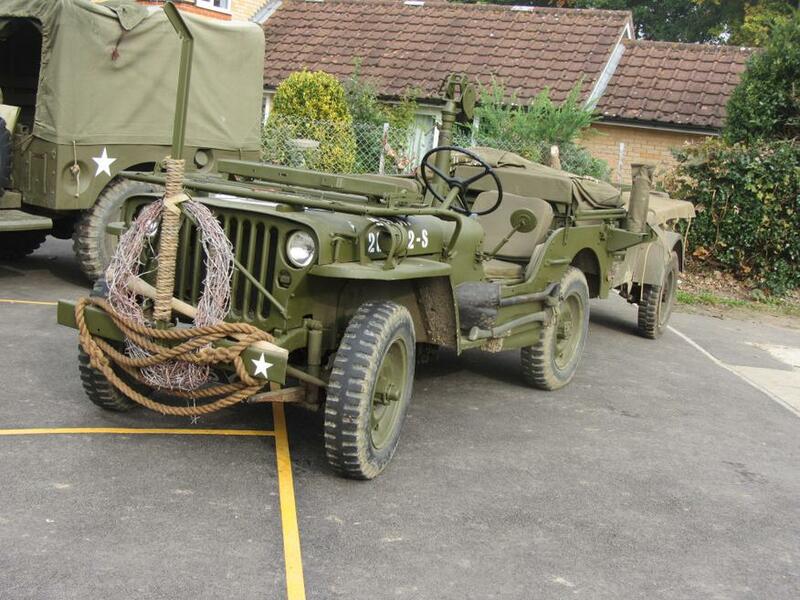 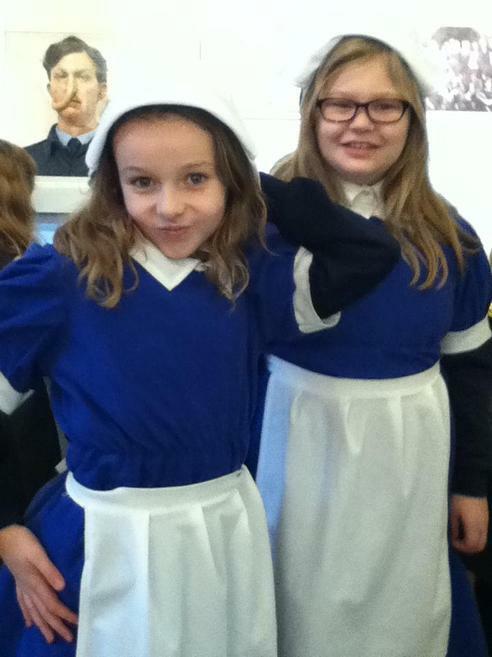 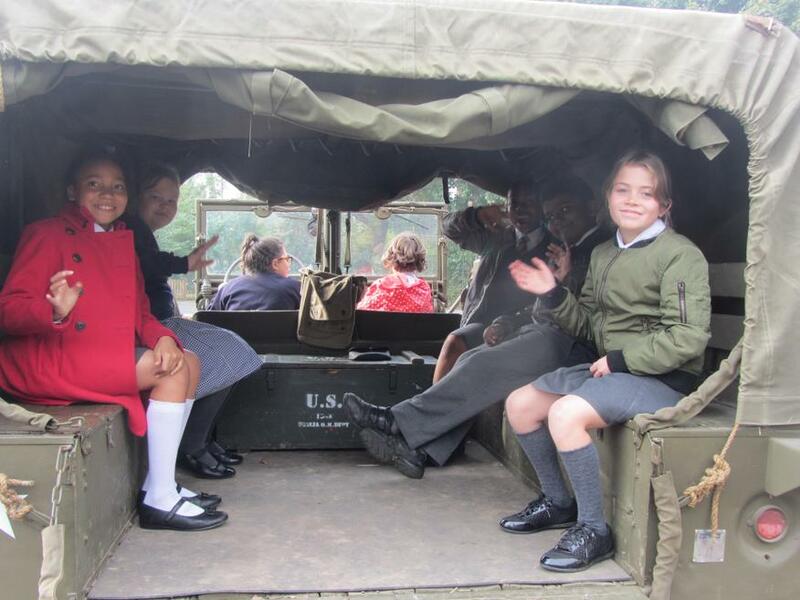 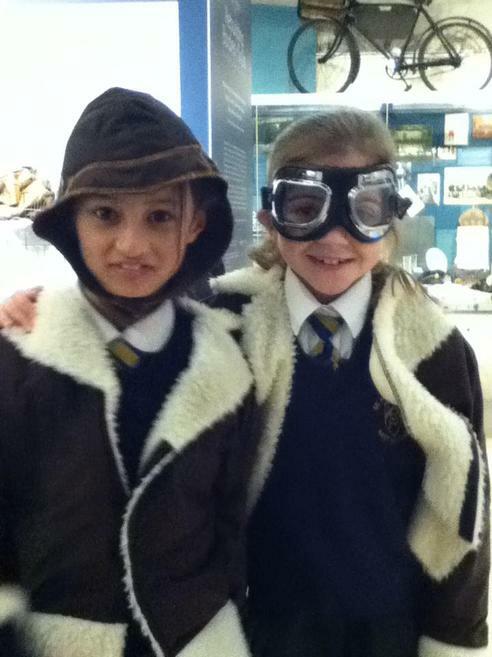 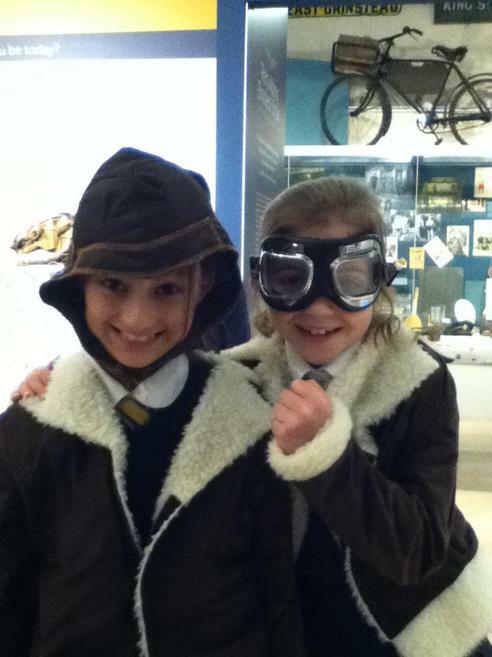 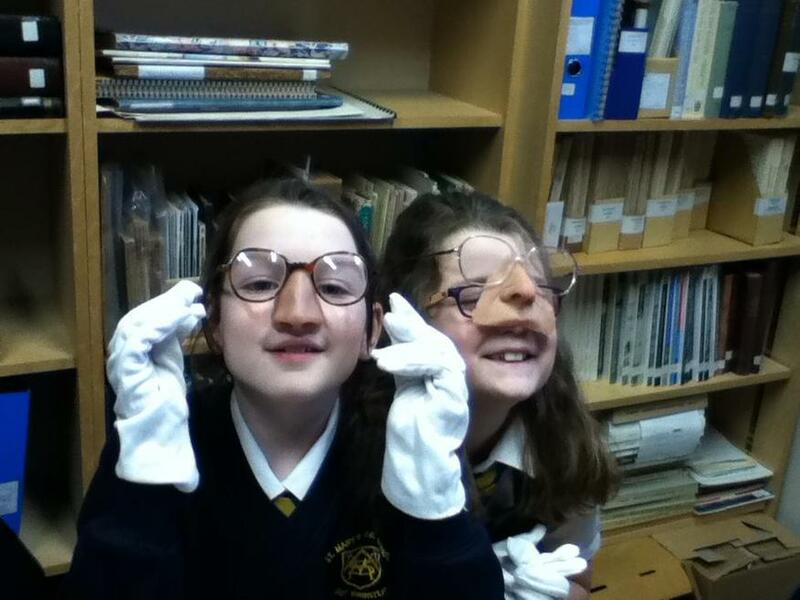 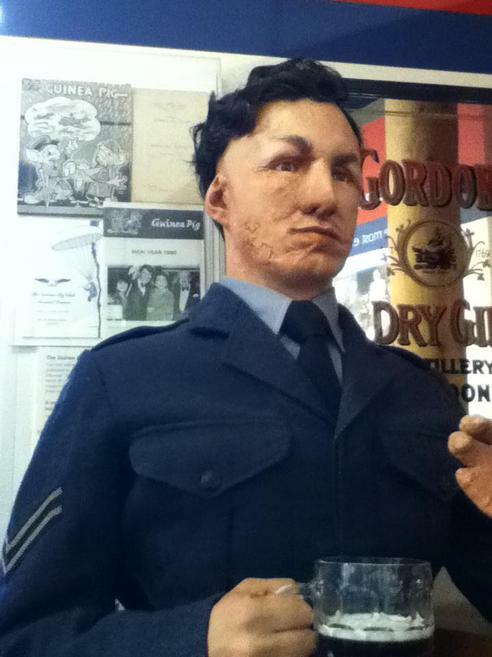 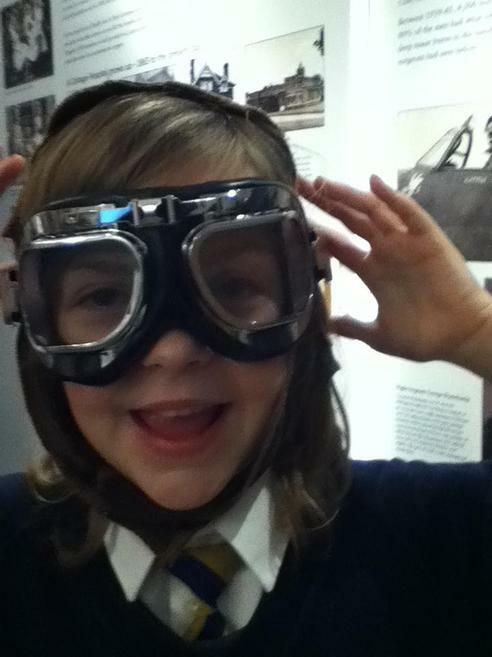 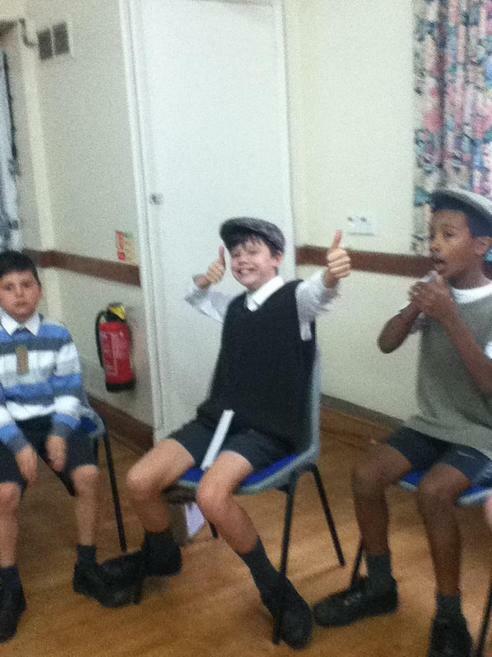 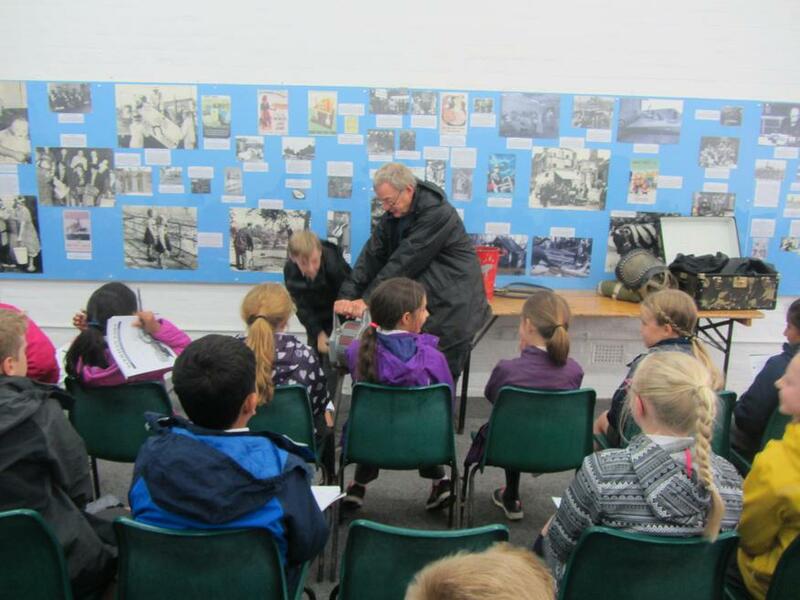 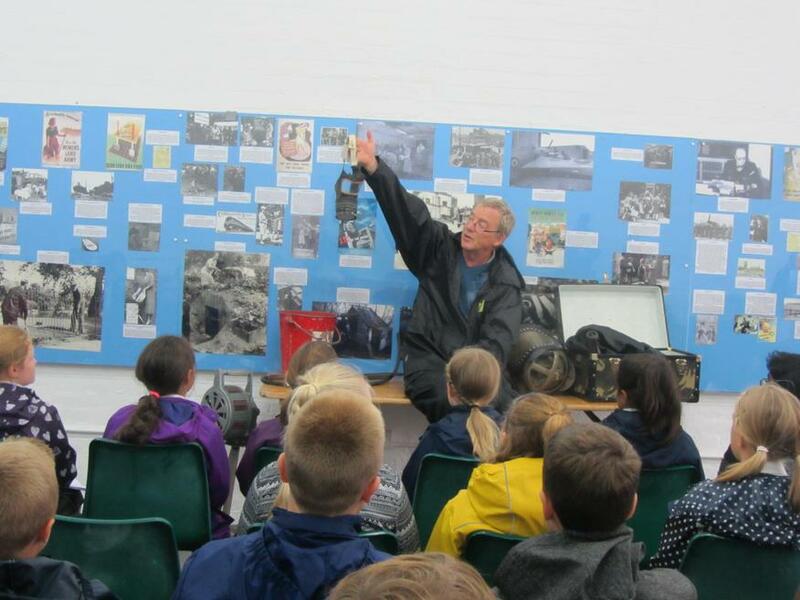 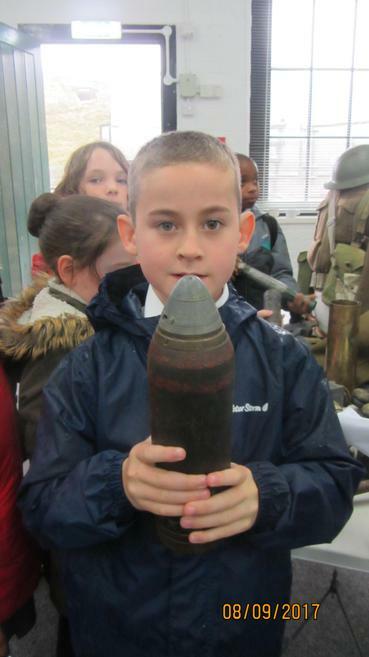 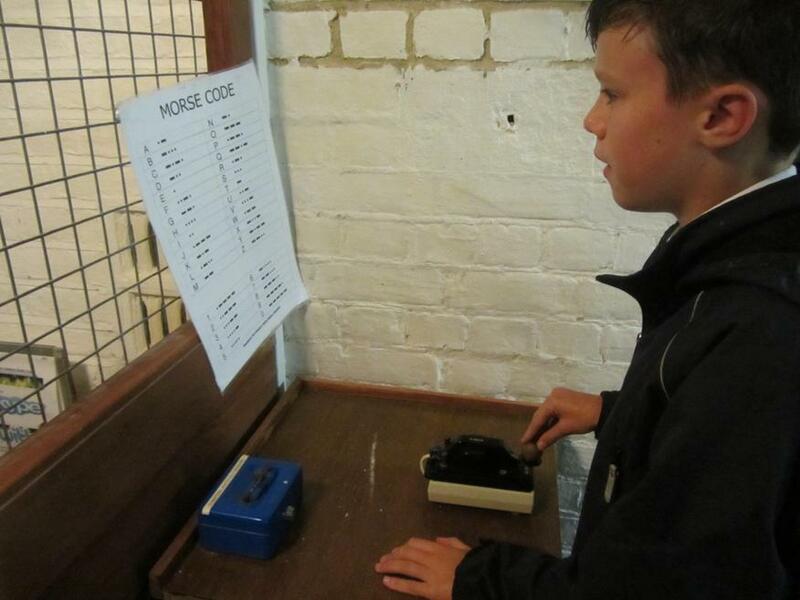 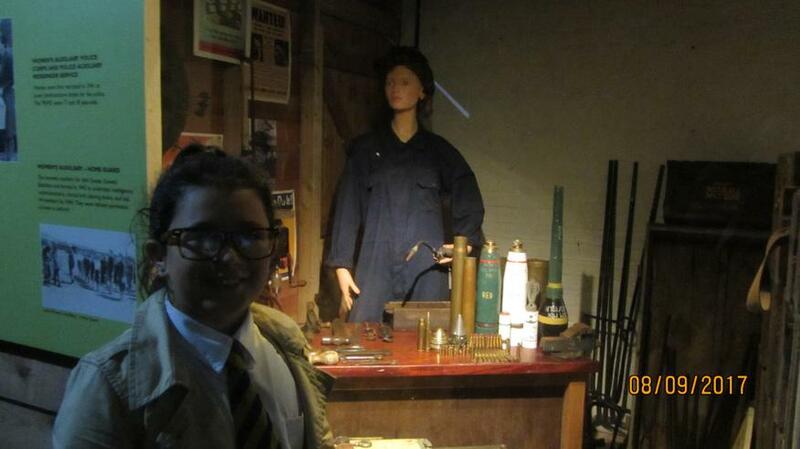 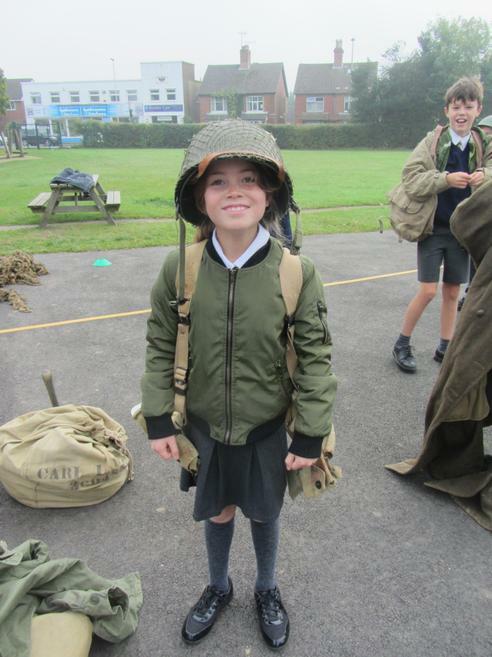 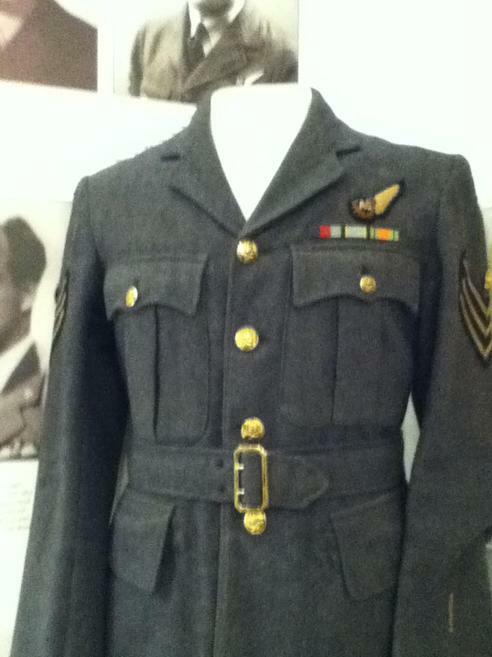 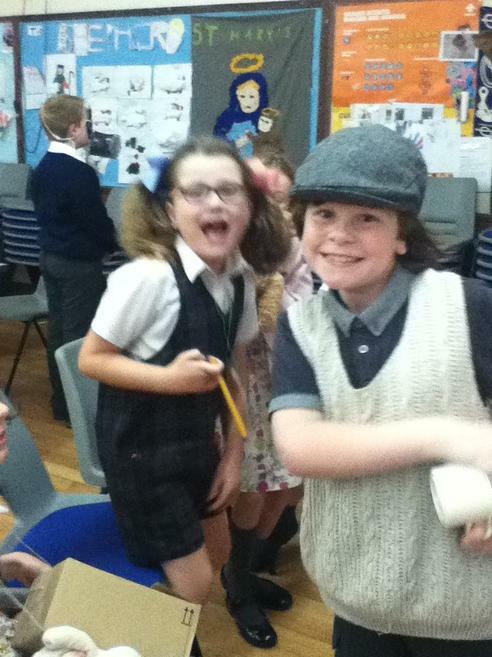 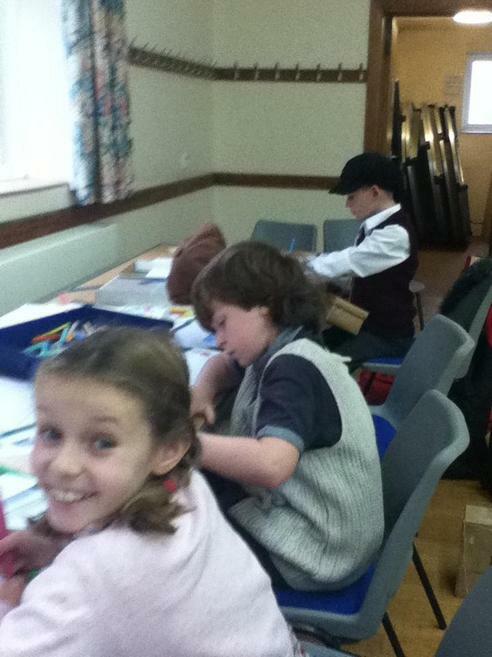 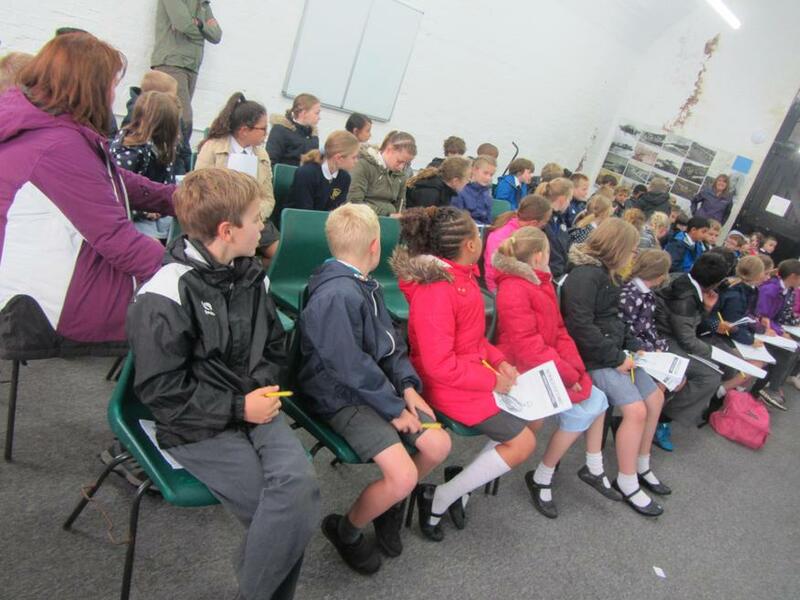 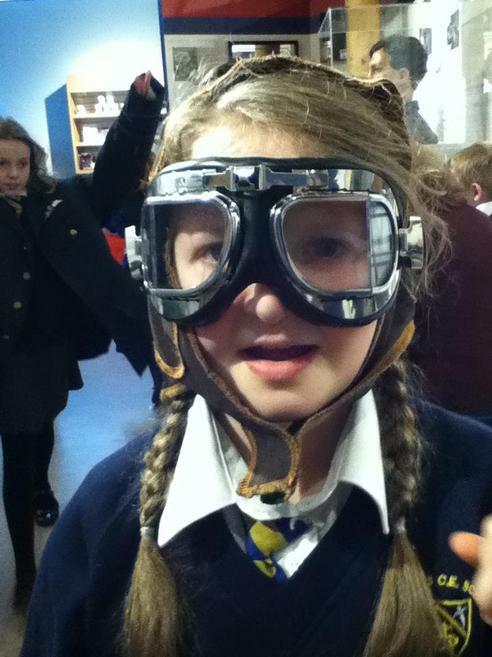 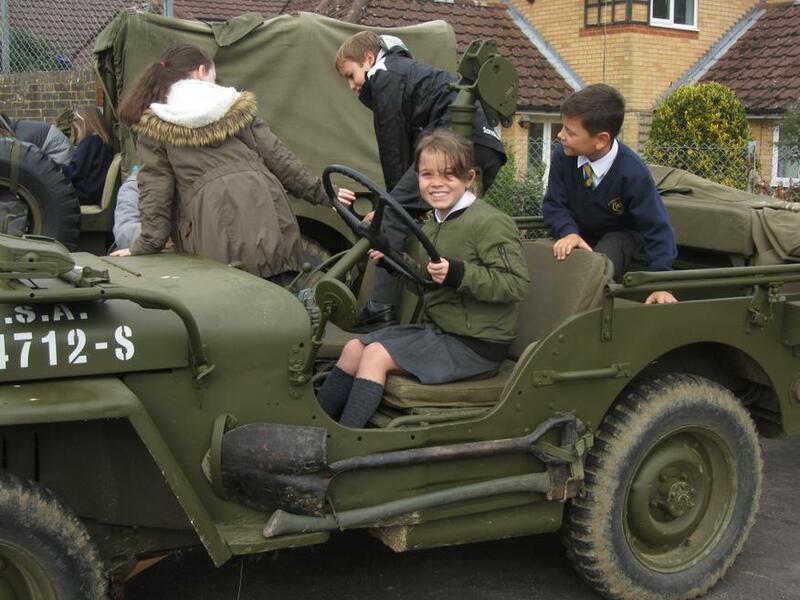 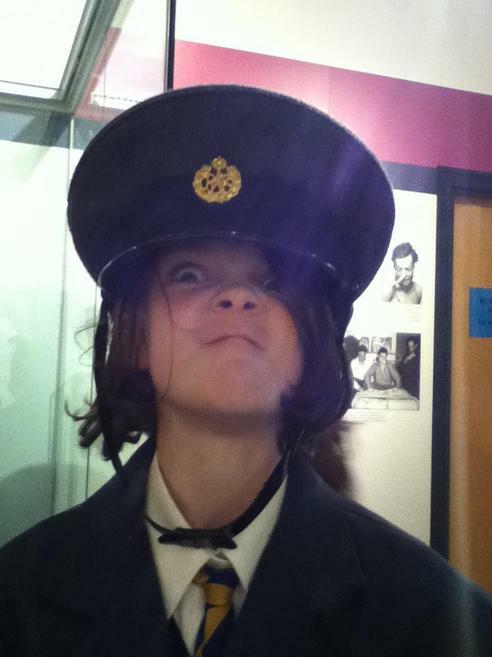 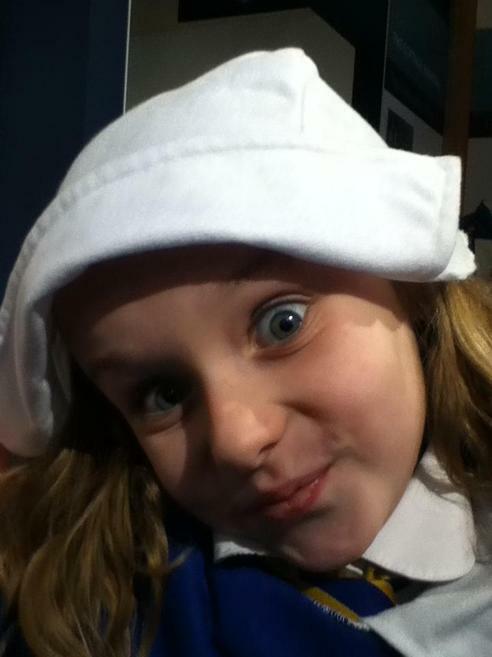 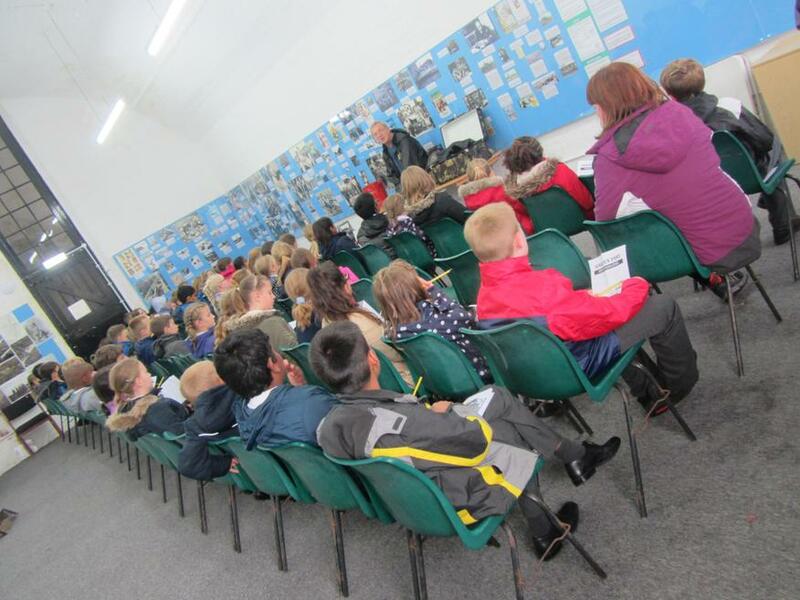 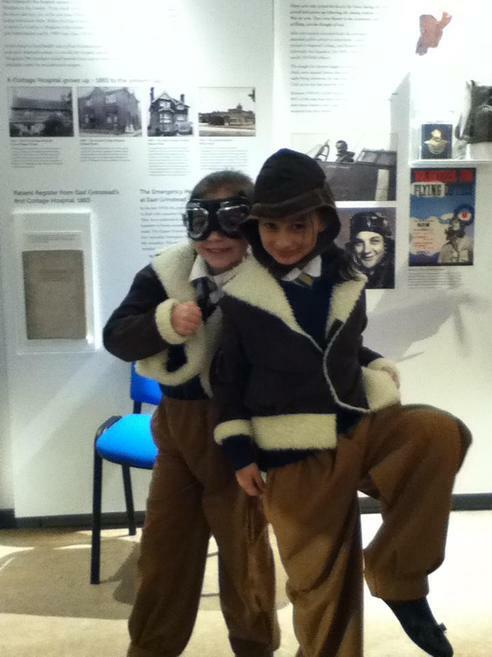 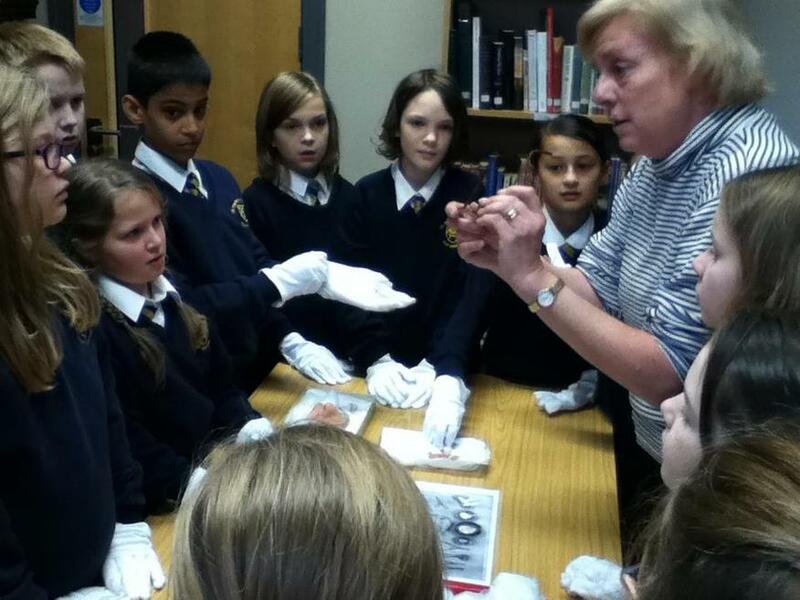 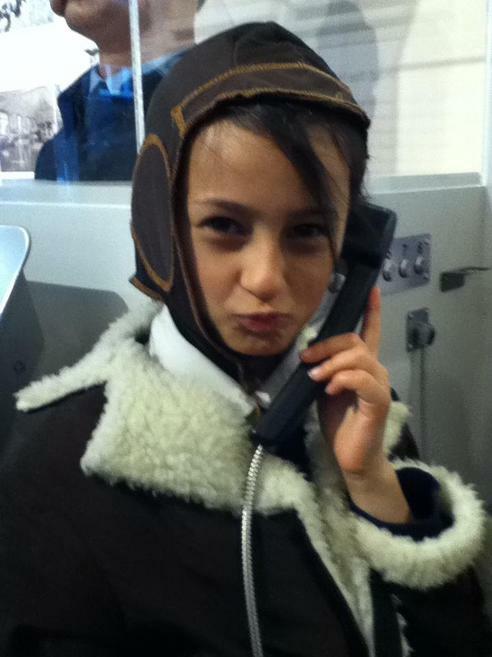 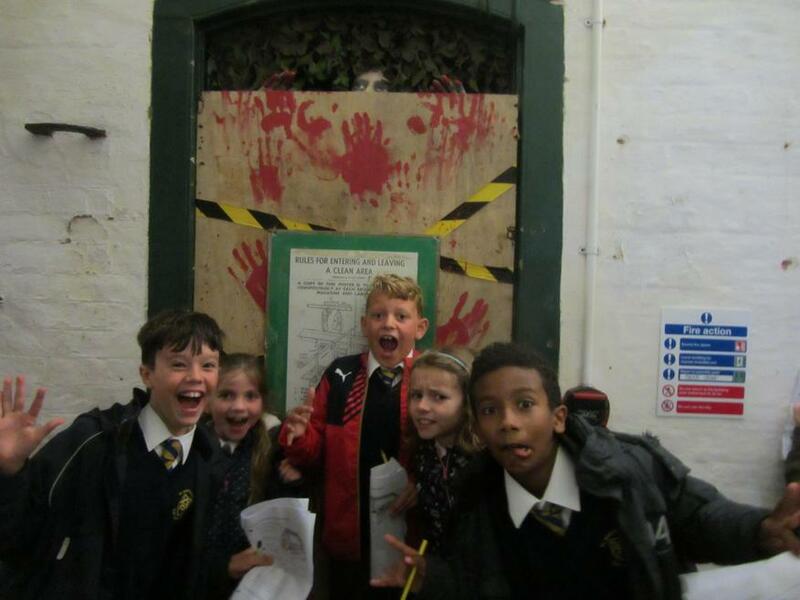 This week year 5 paid a visit to the East Grinstead museum as part of our WW2 topic. 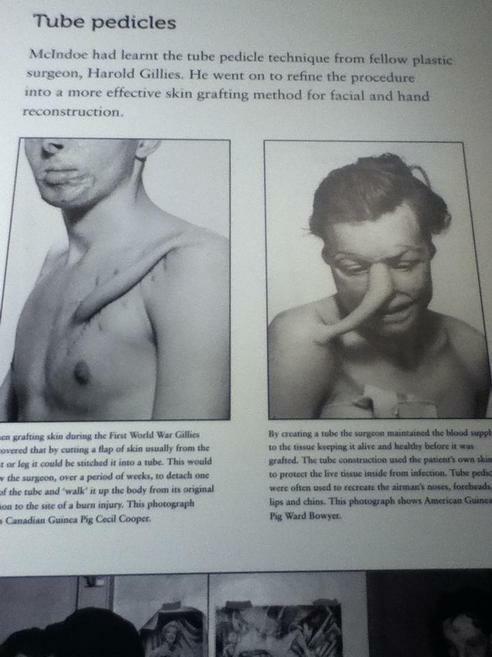 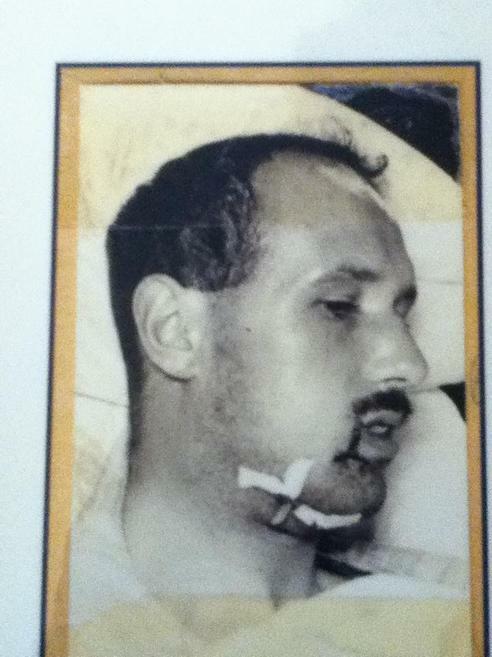 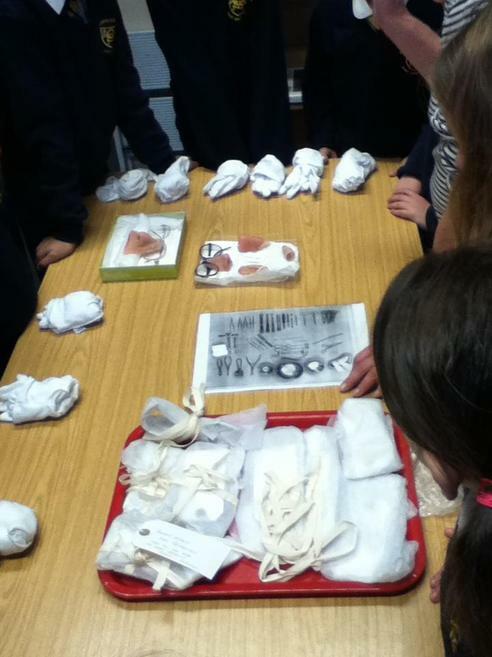 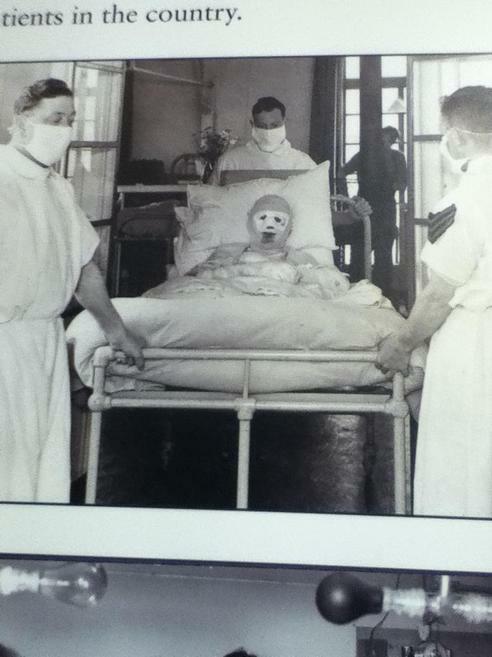 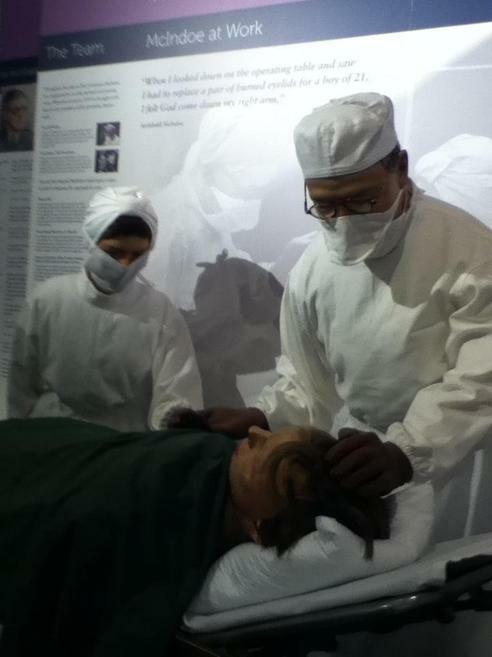 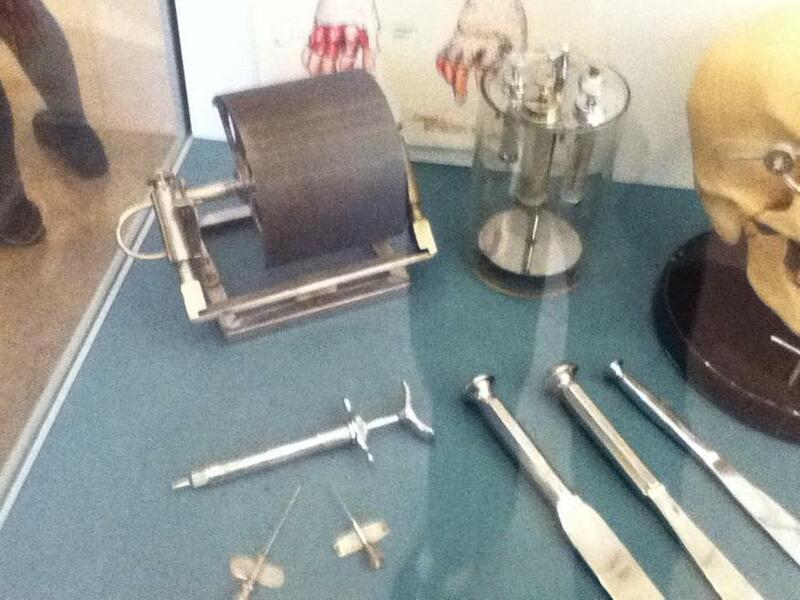 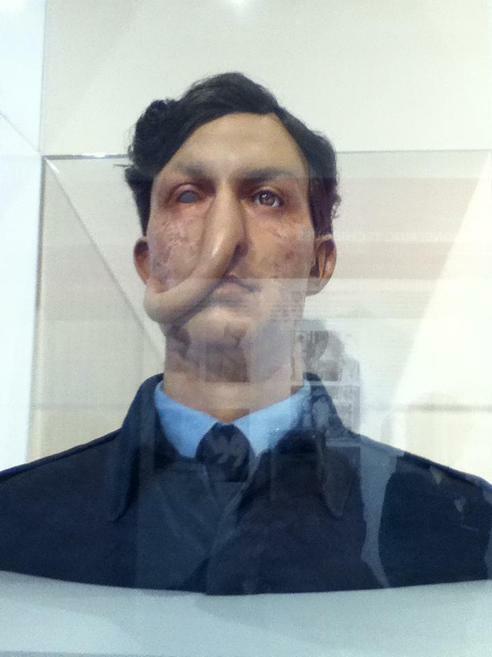 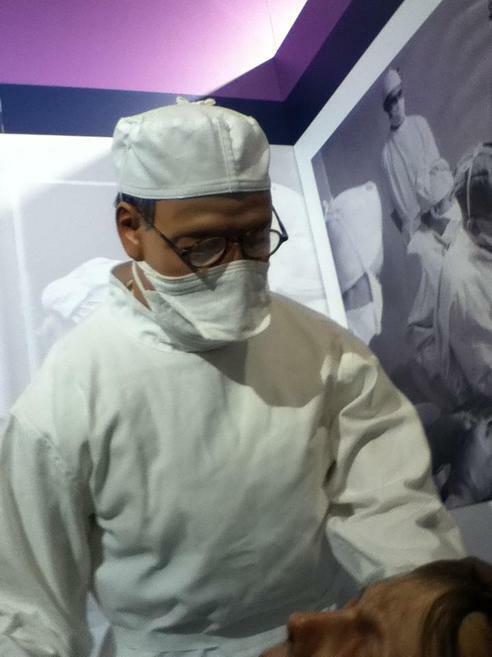 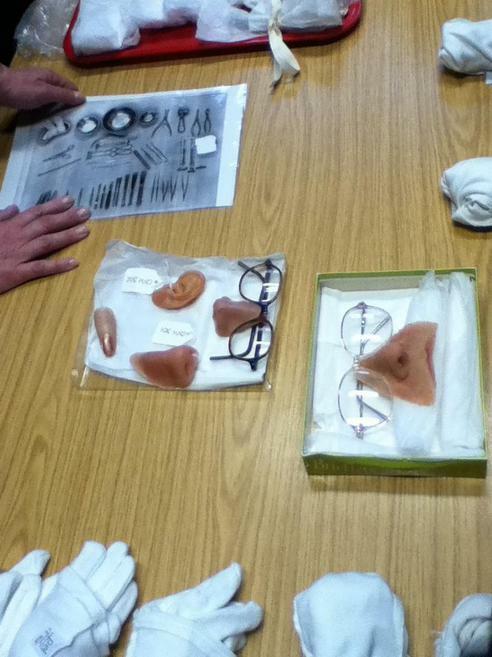 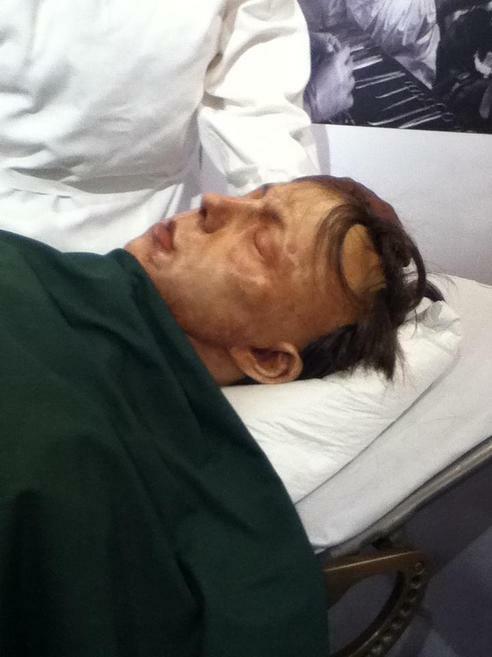 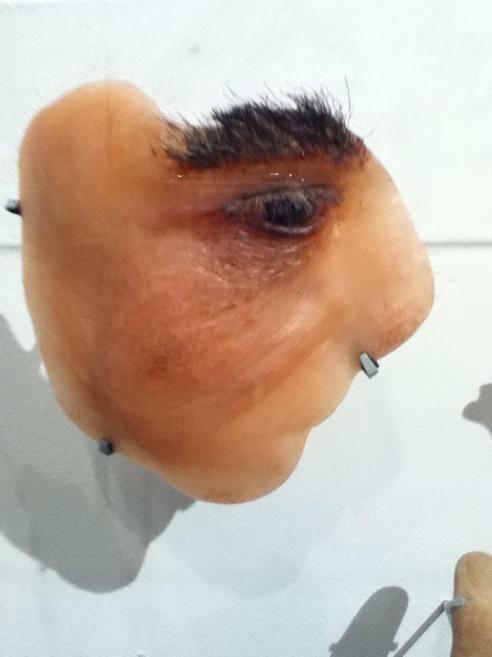 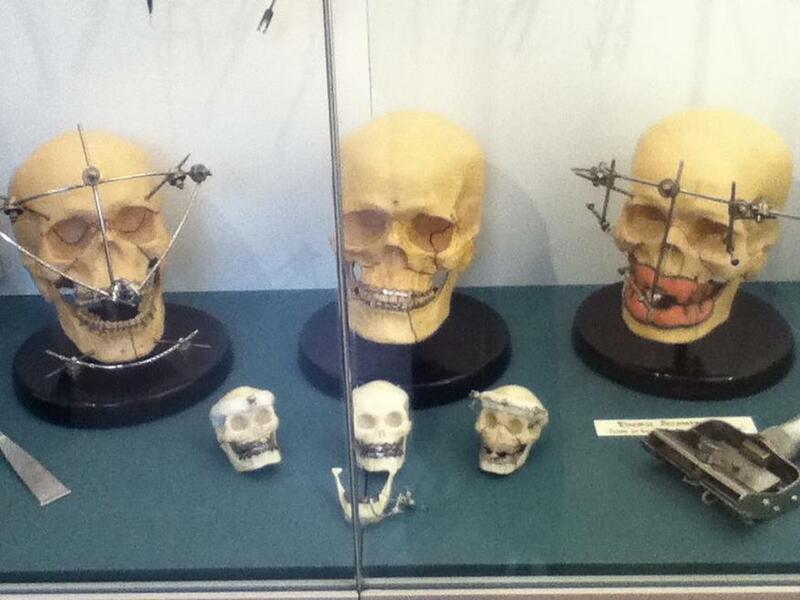 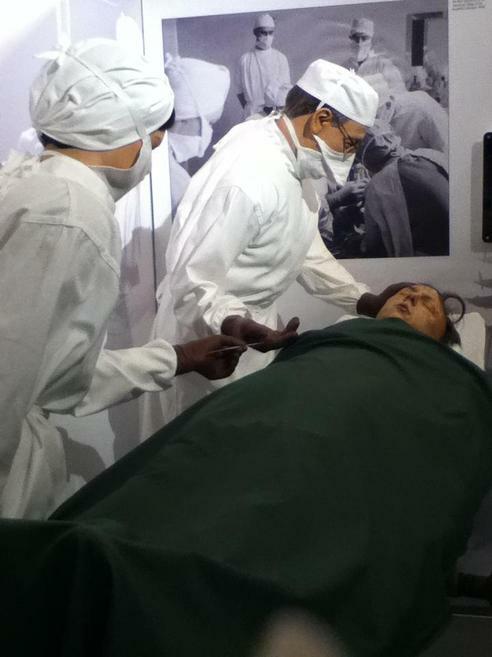 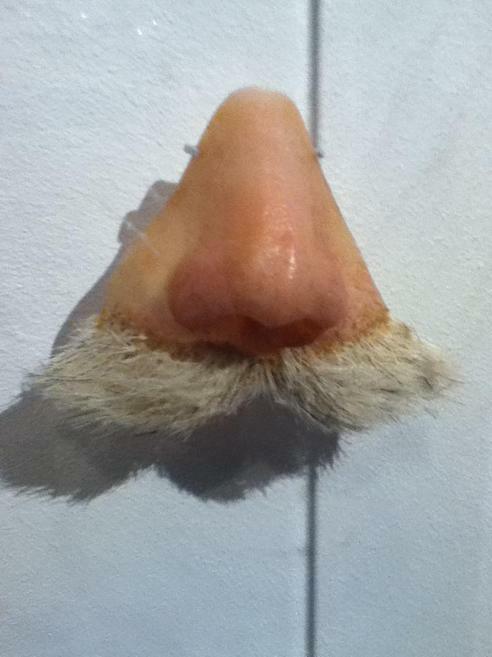 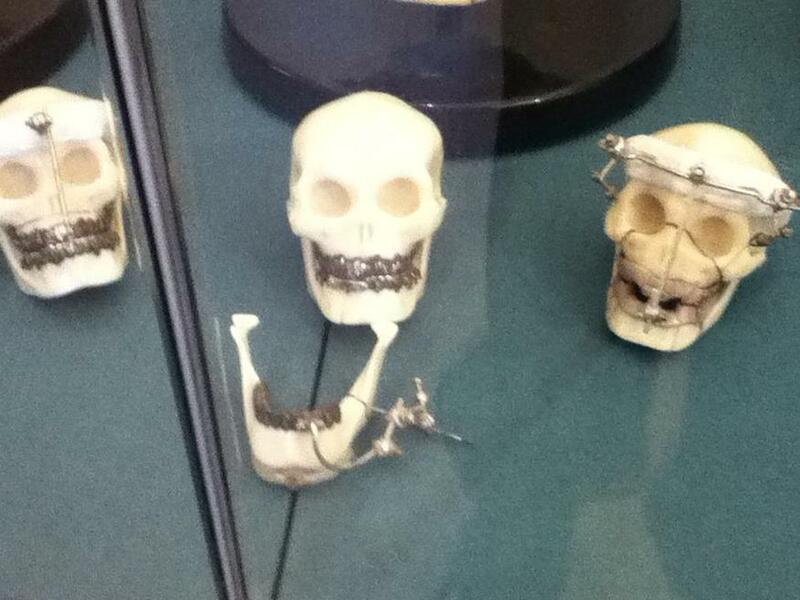 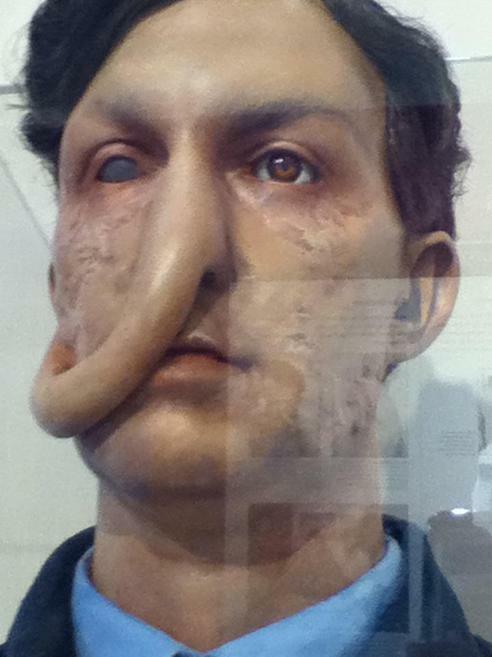 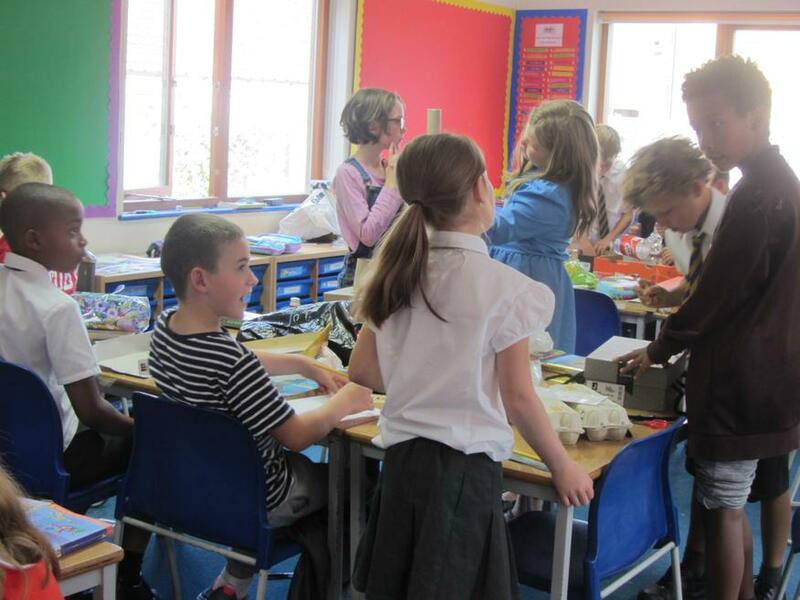 The children got a chance to learn about Sir Archibald McIndeo, his reconstructive surgery and the Guinea Pig Club. 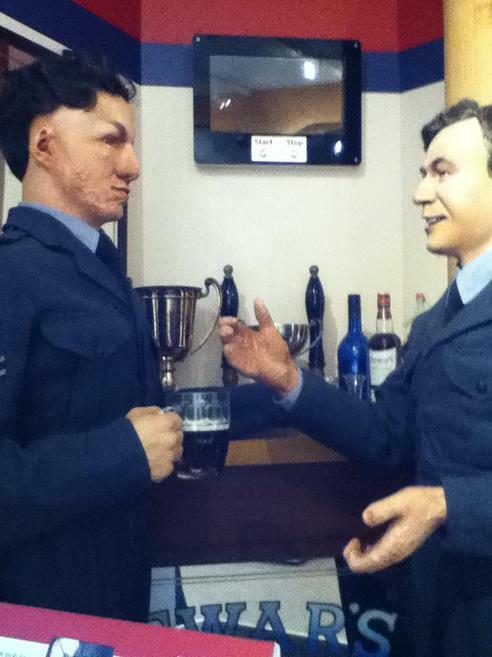 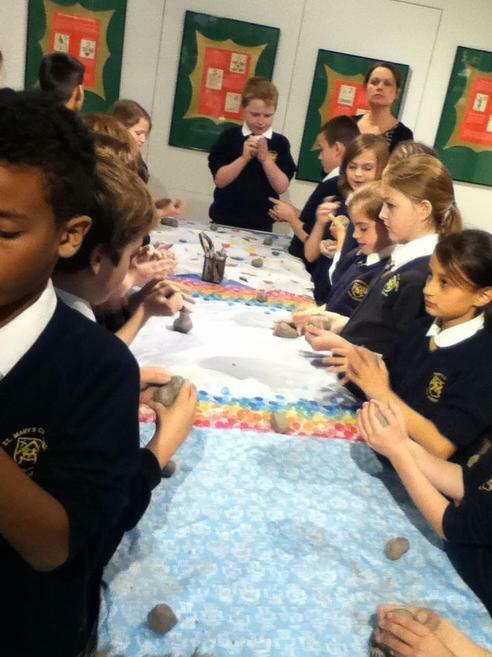 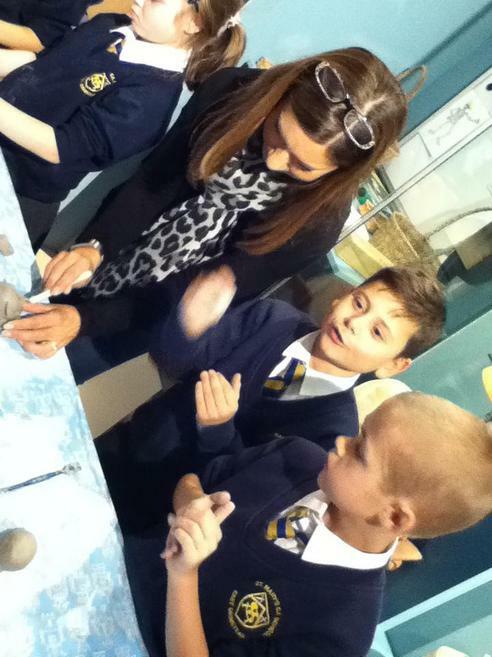 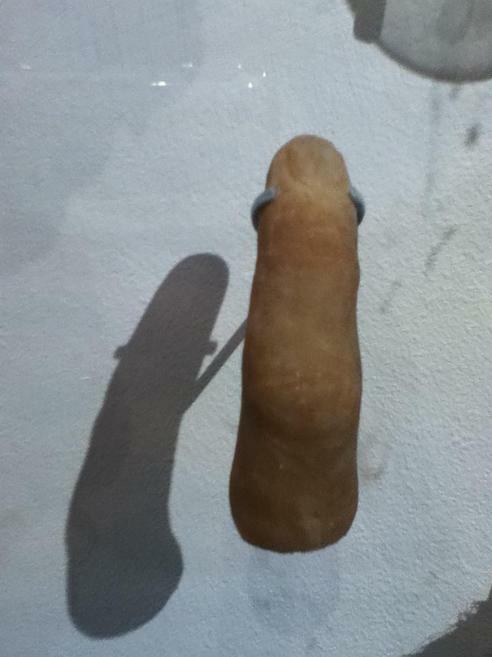 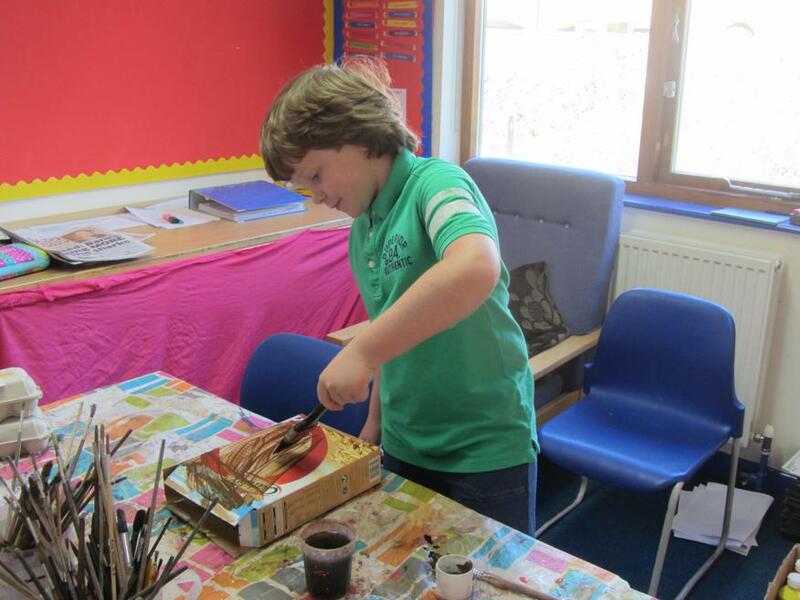 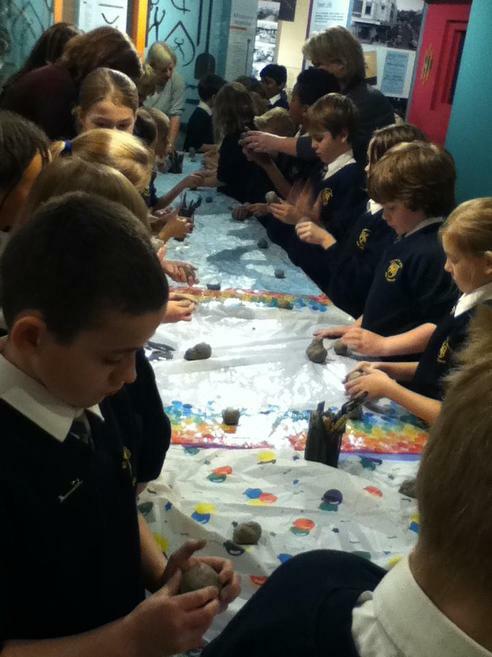 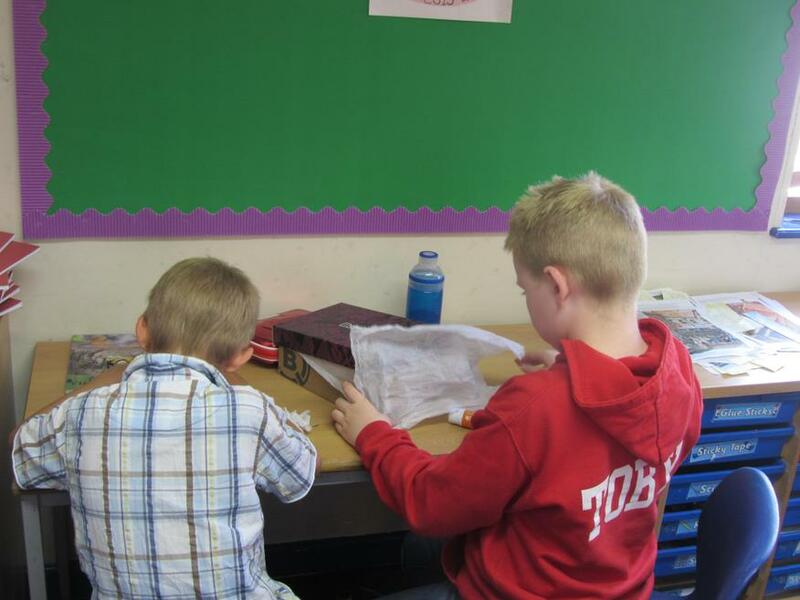 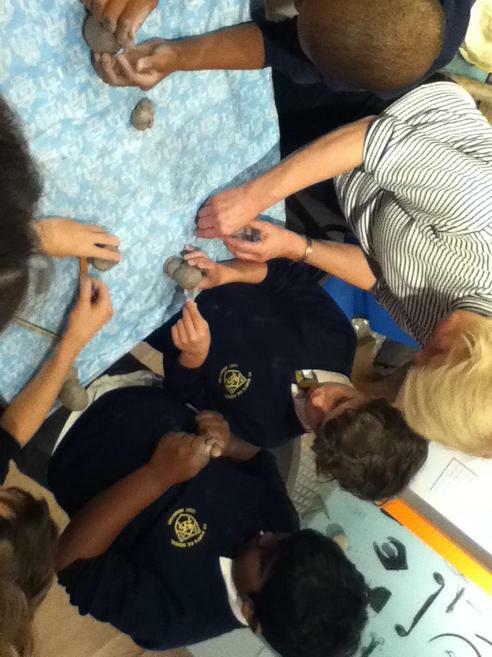 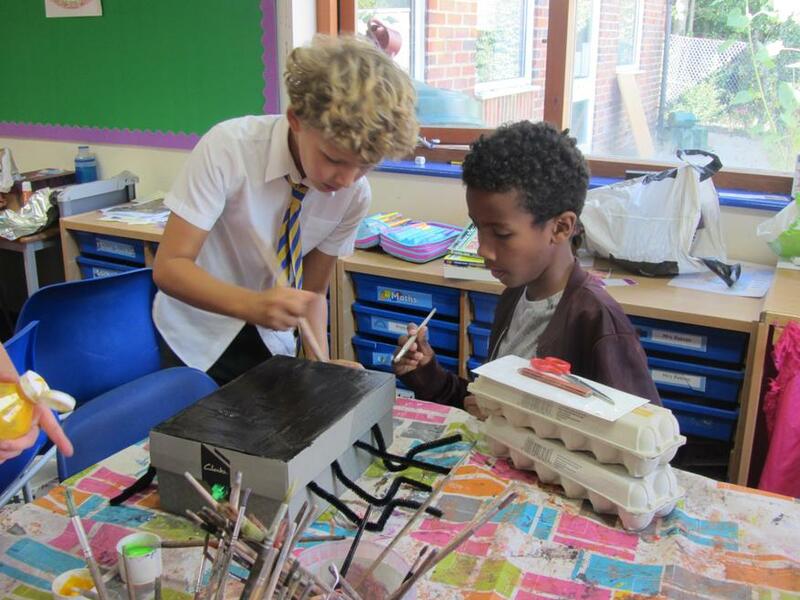 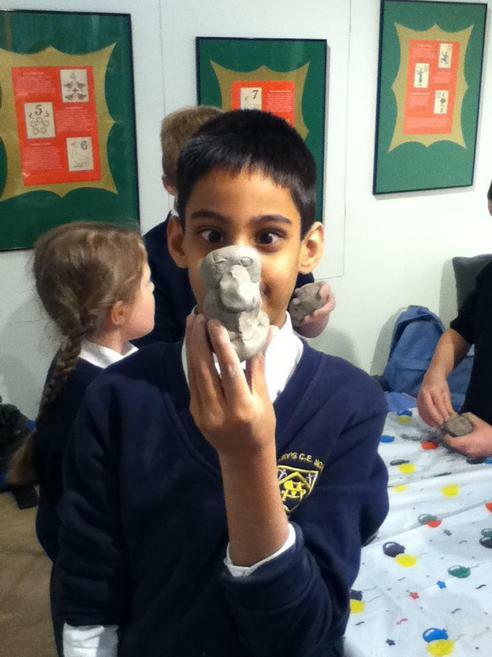 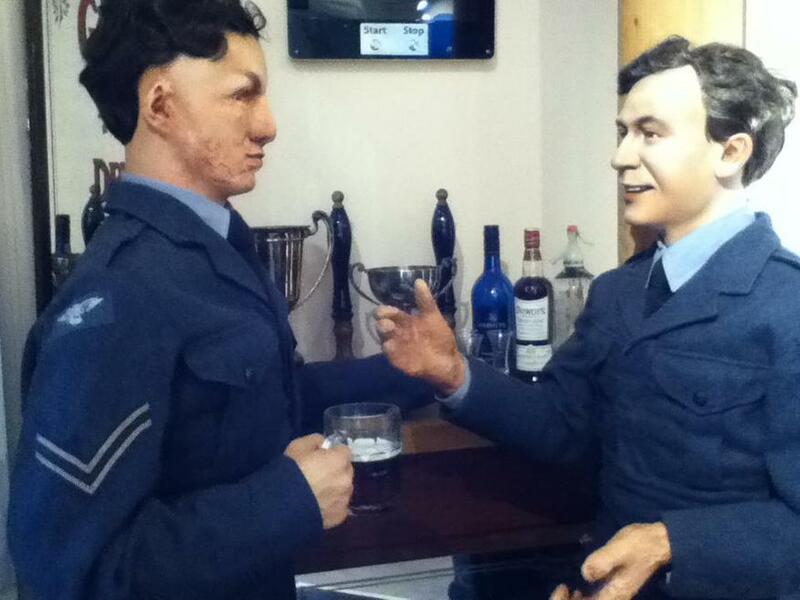 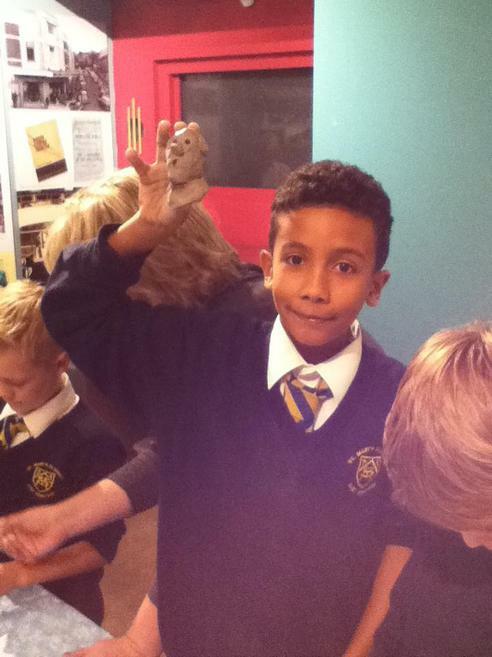 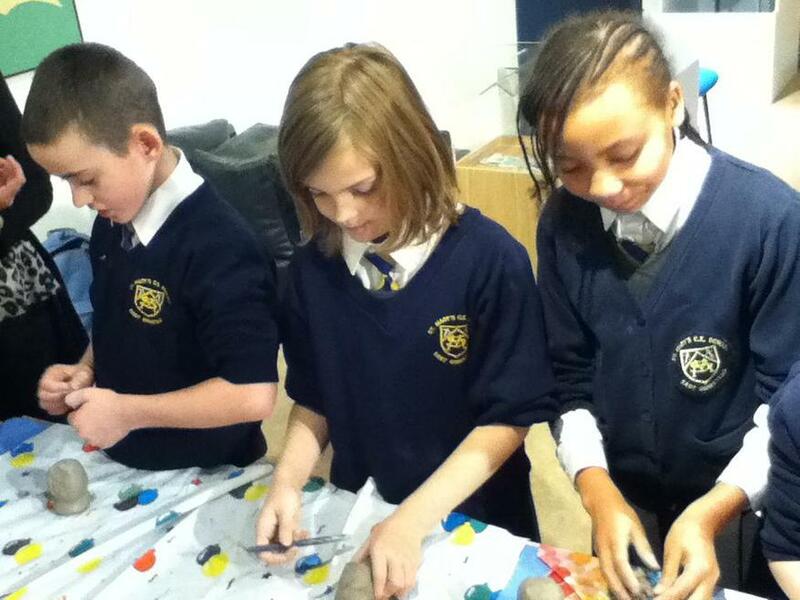 They also learned that the injured RAF pilots would have used clay during therapy to regain the use of their hands so Class 5 had a go at creating clay sculptures of themselves. 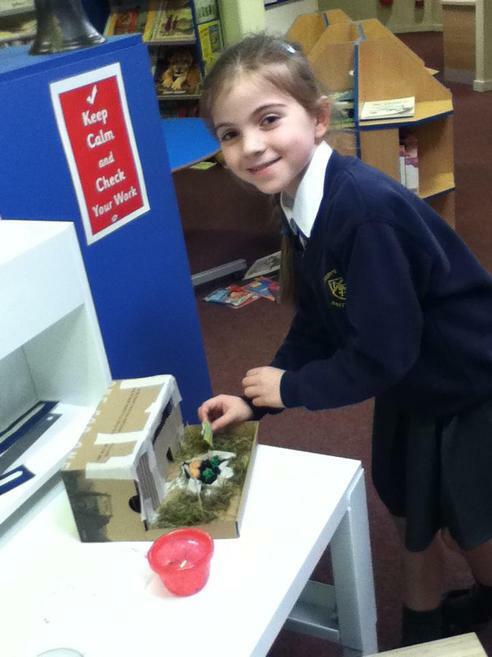 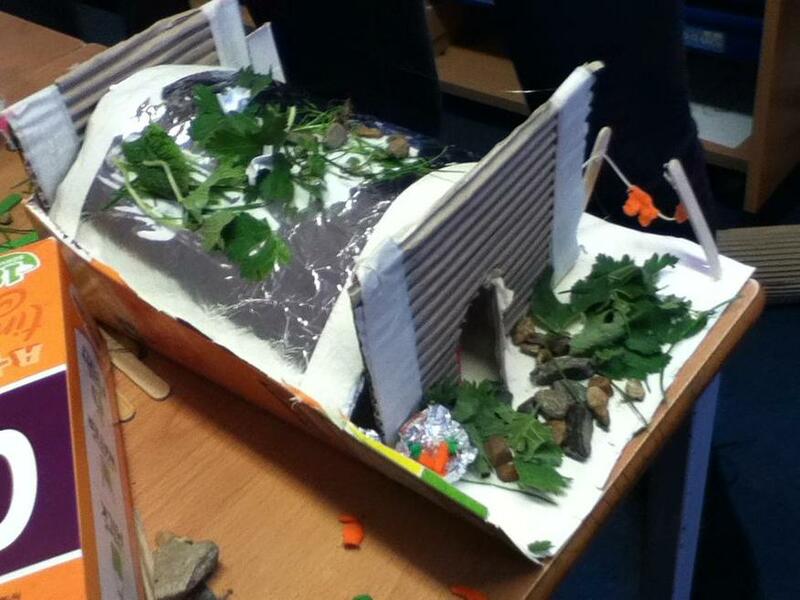 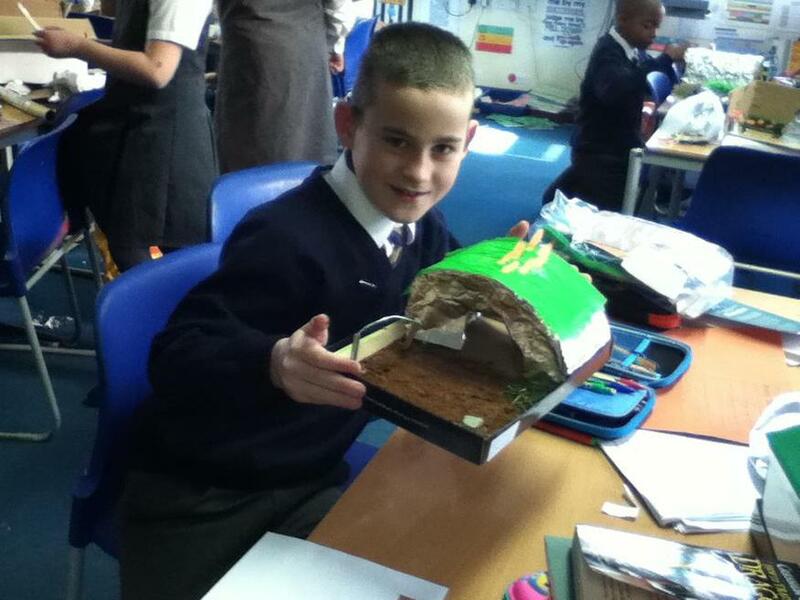 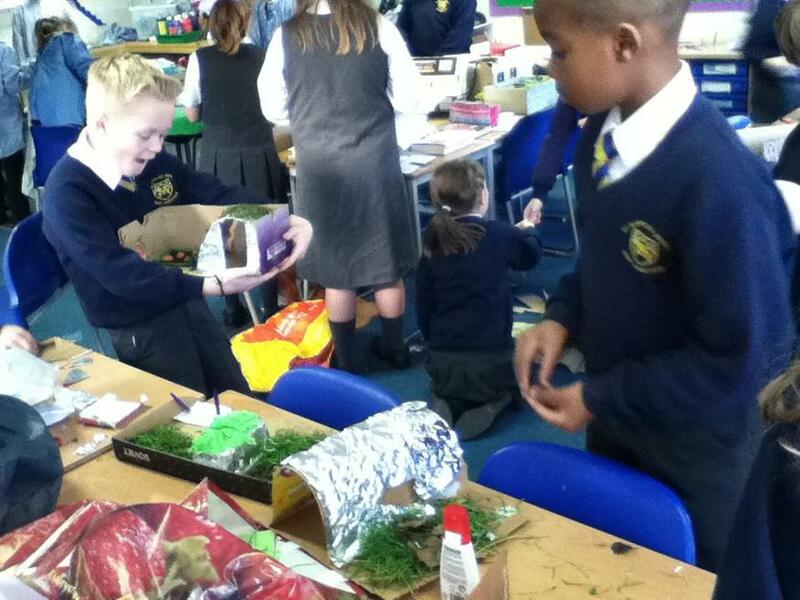 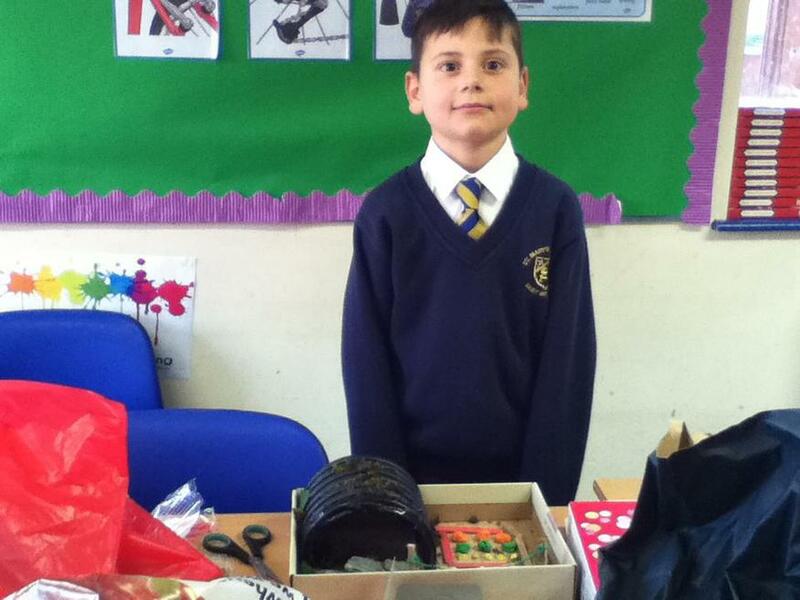 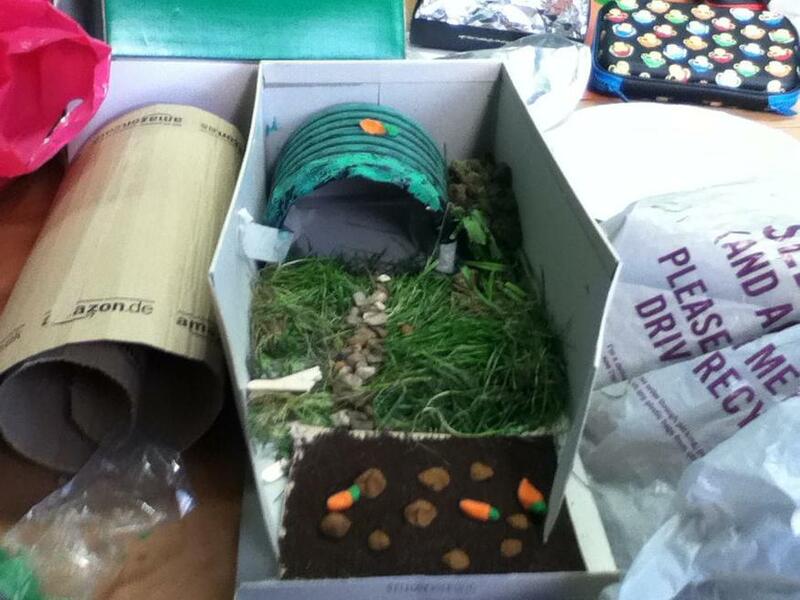 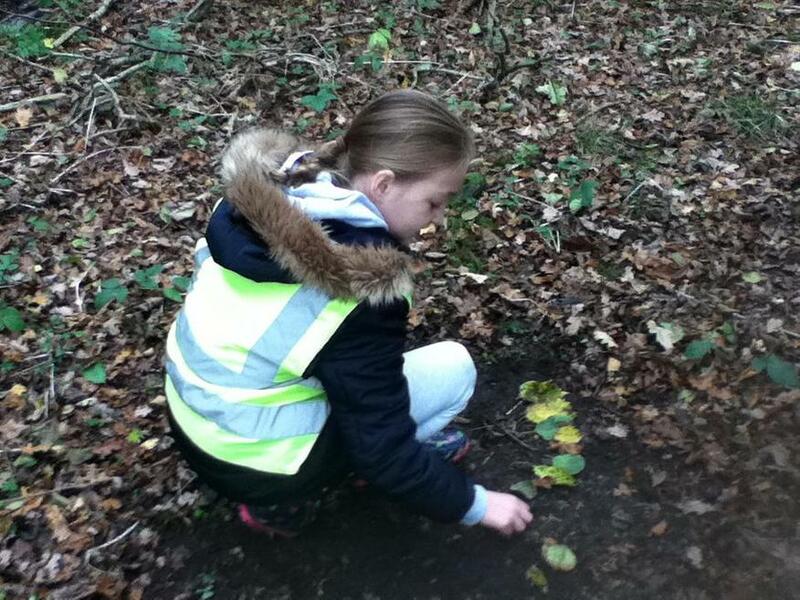 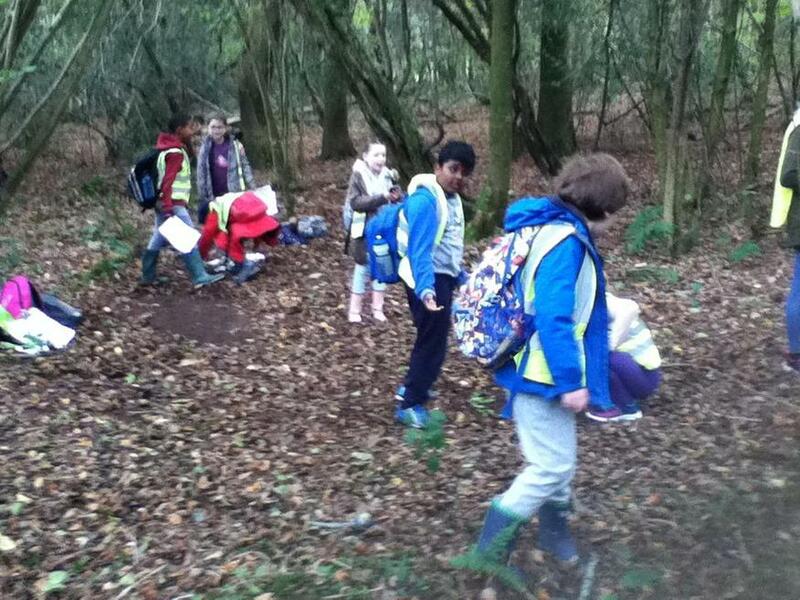 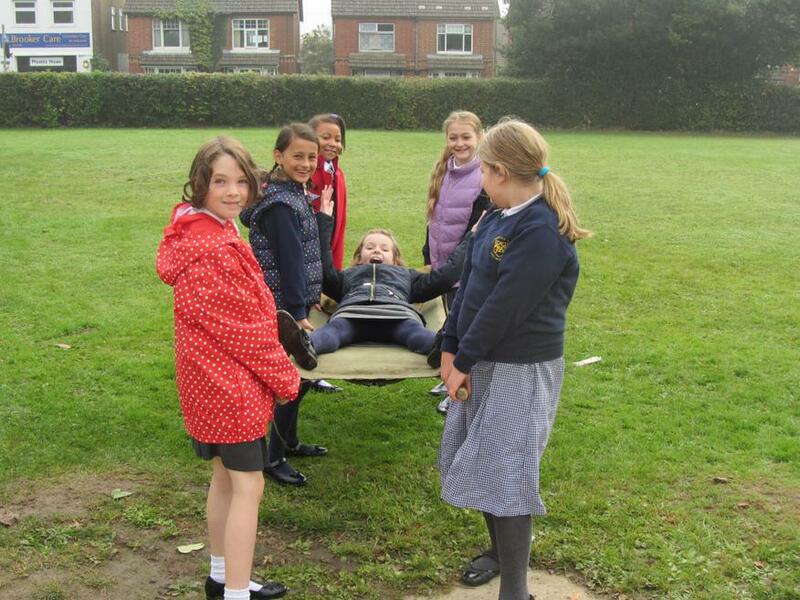 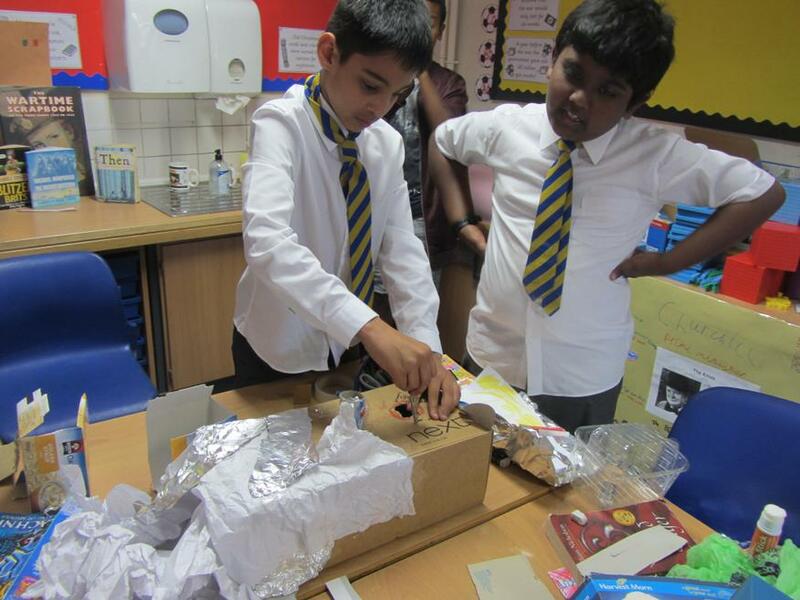 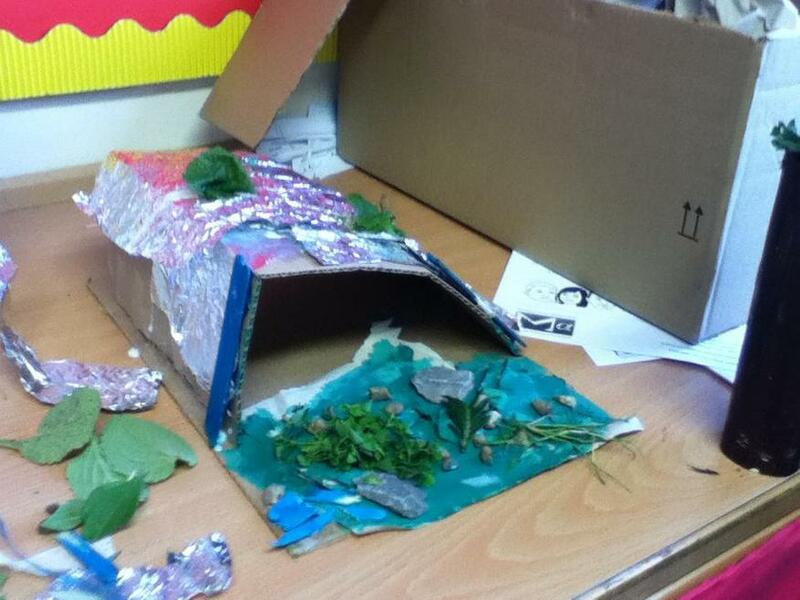 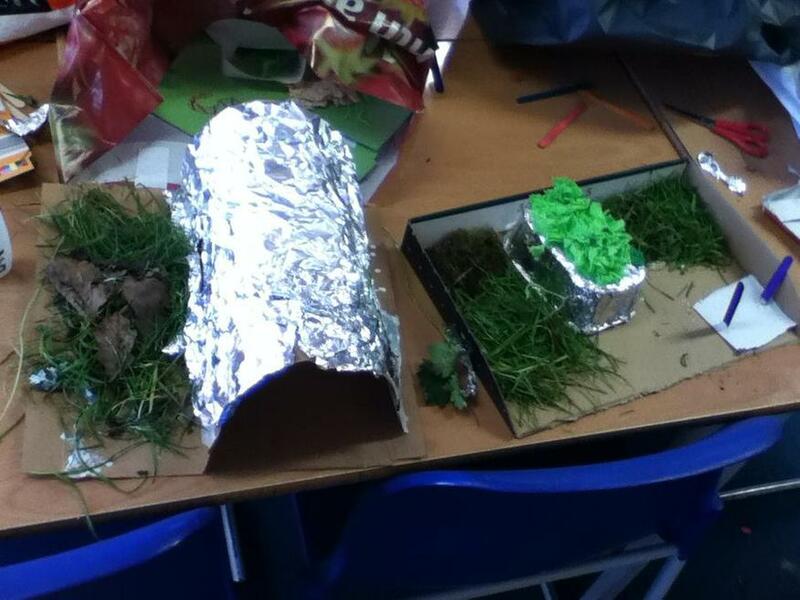 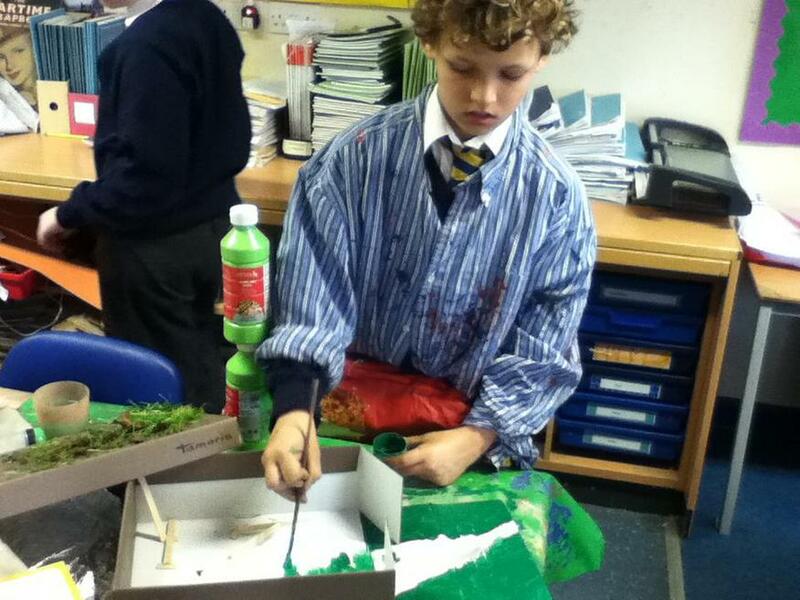 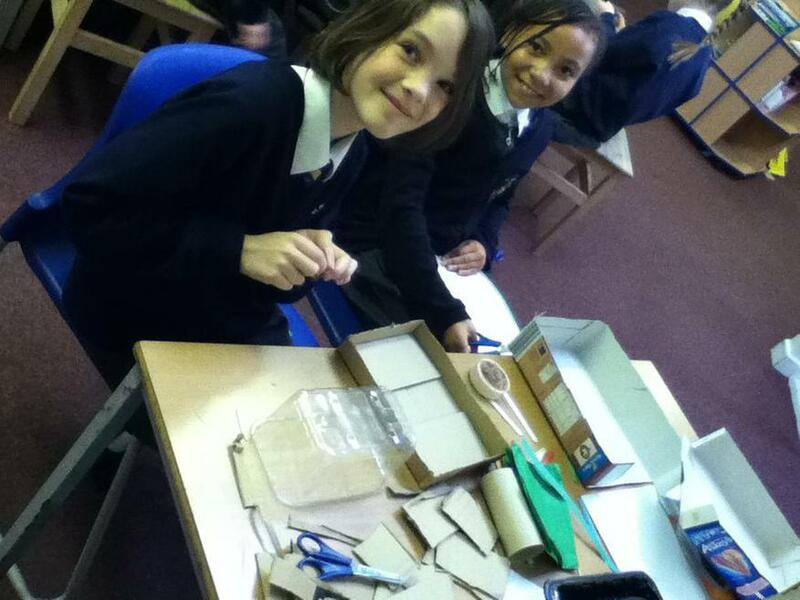 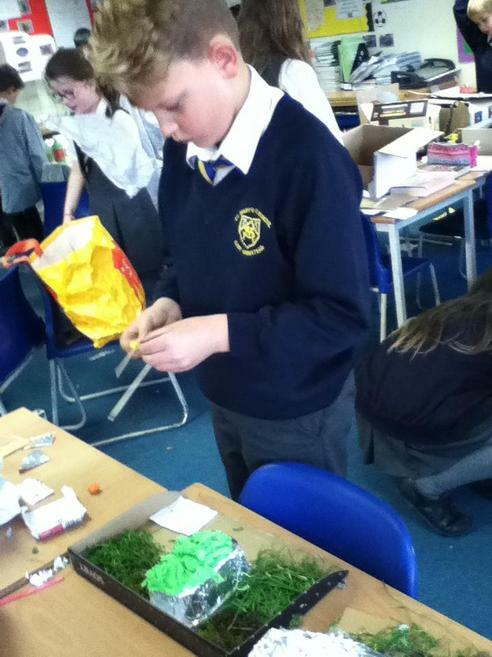 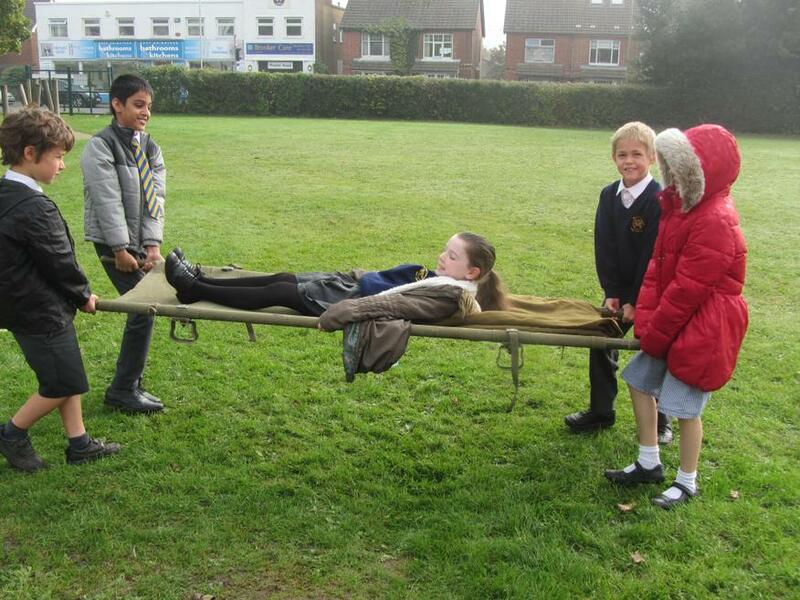 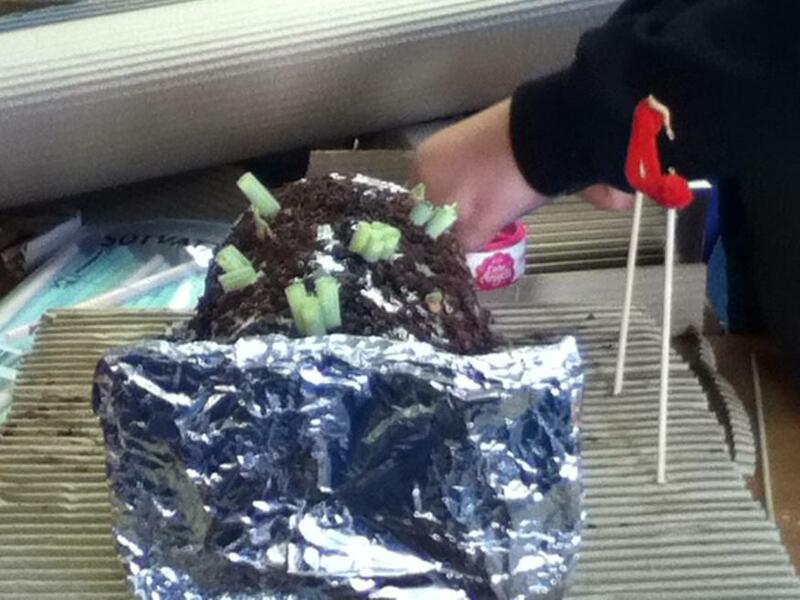 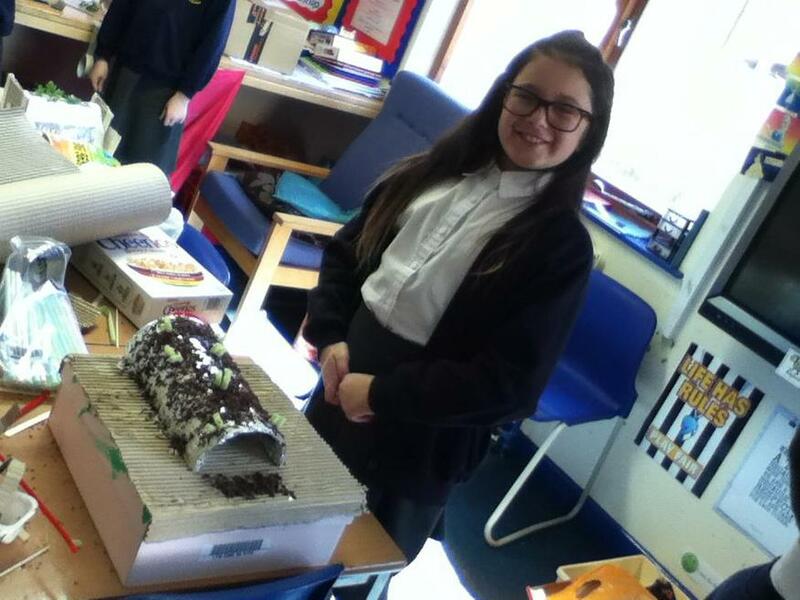 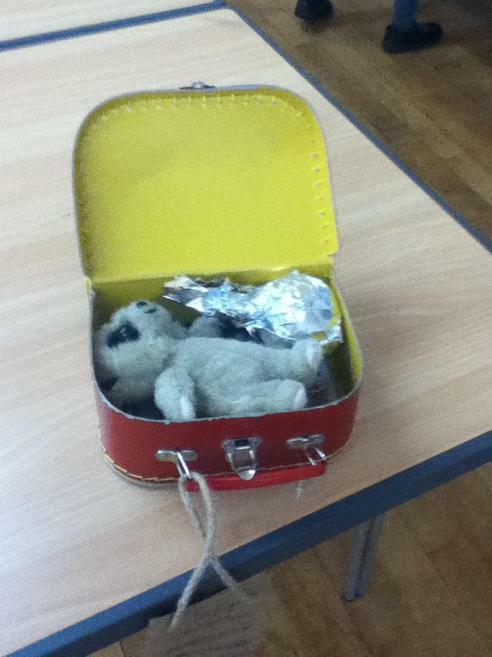 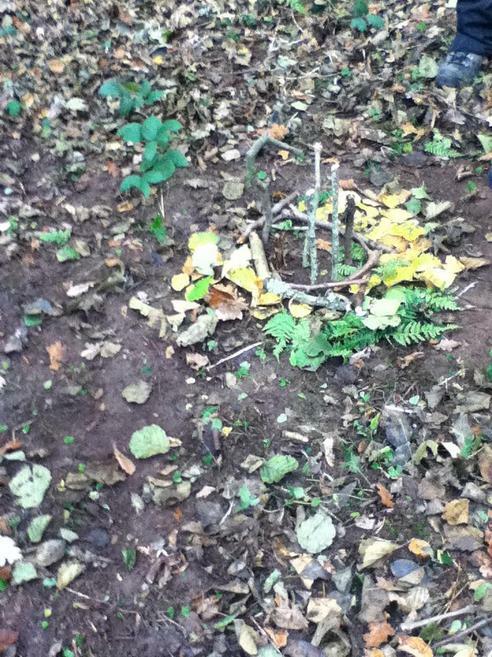 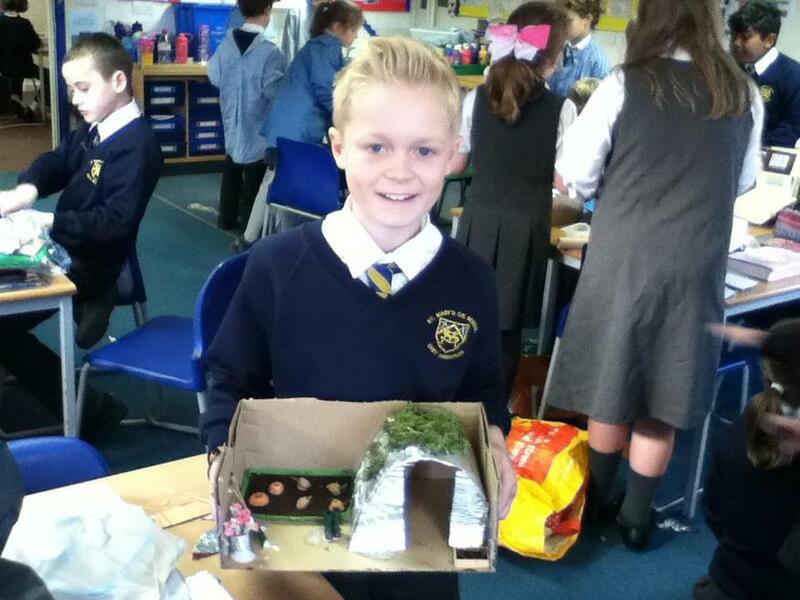 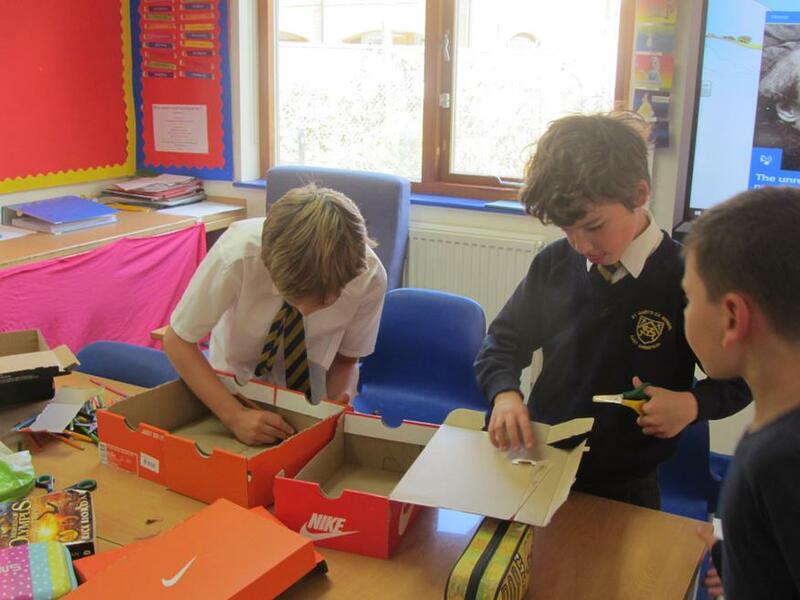 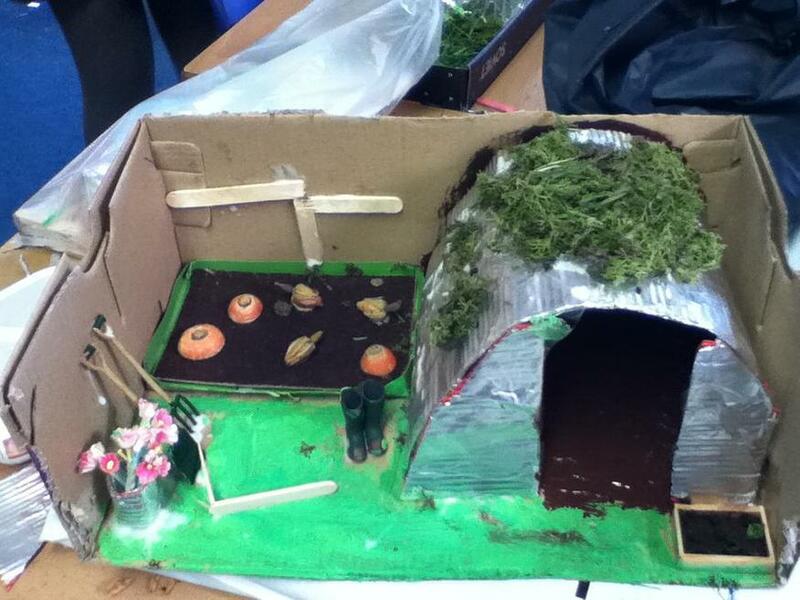 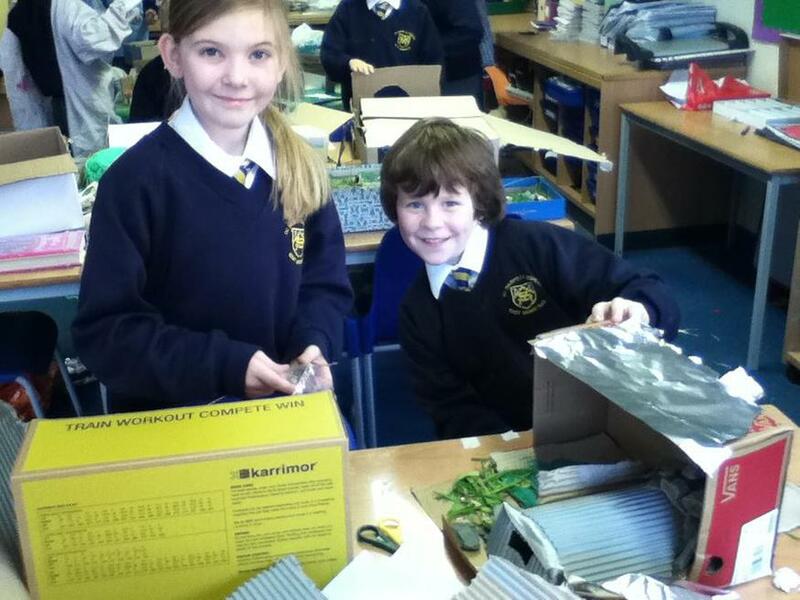 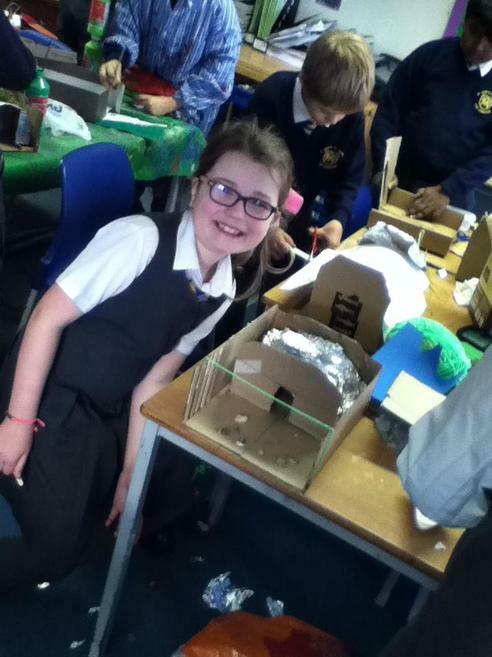 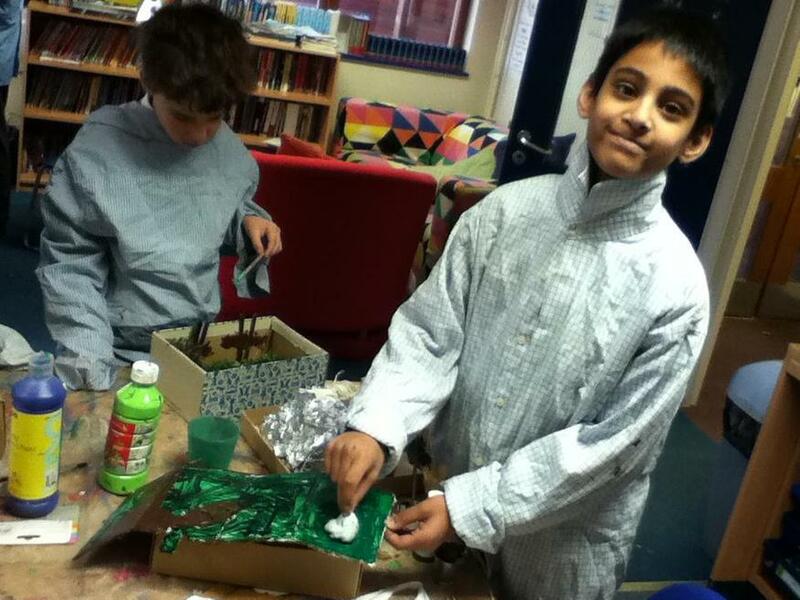 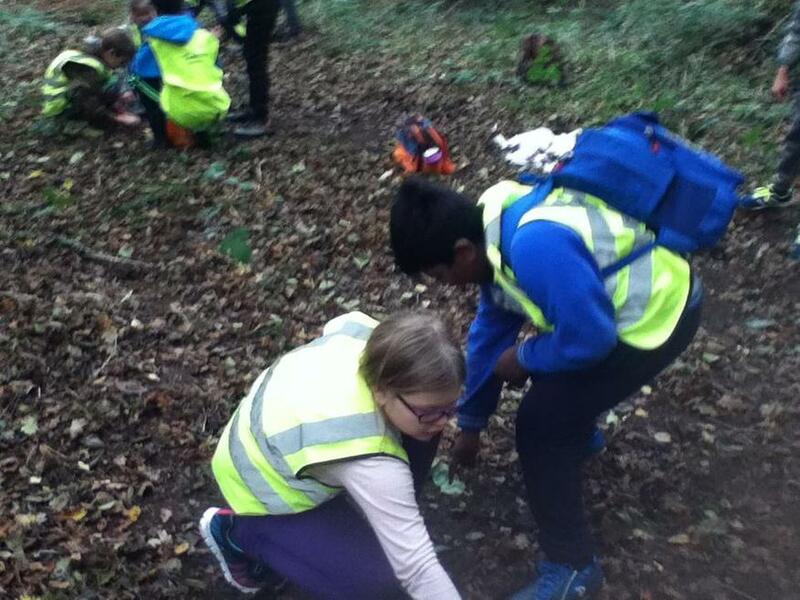 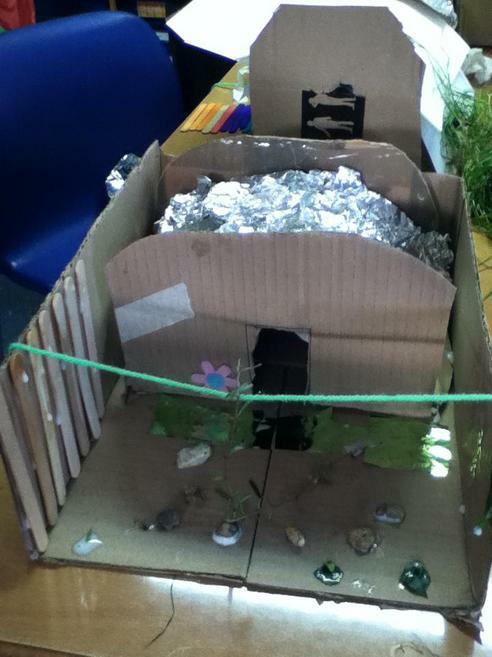 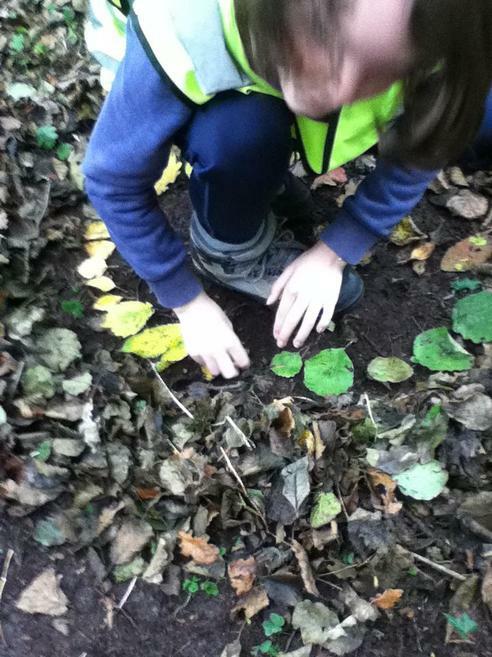 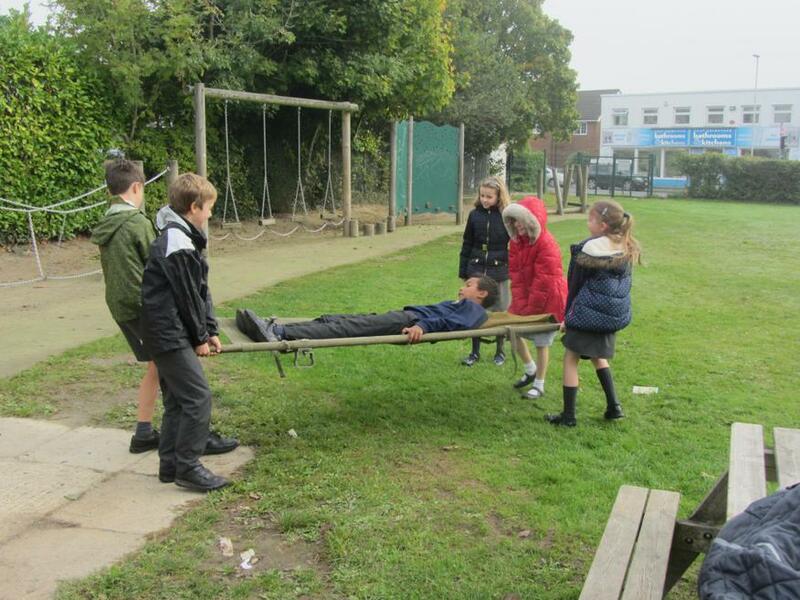 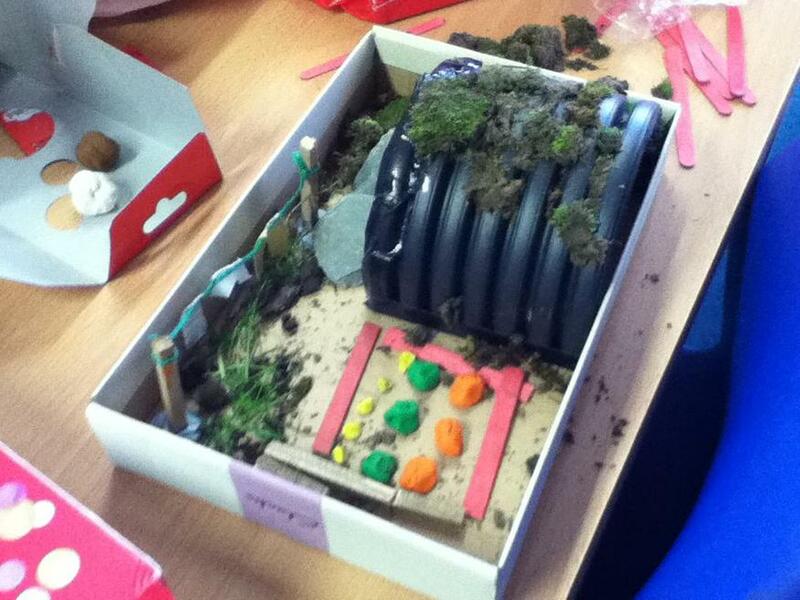 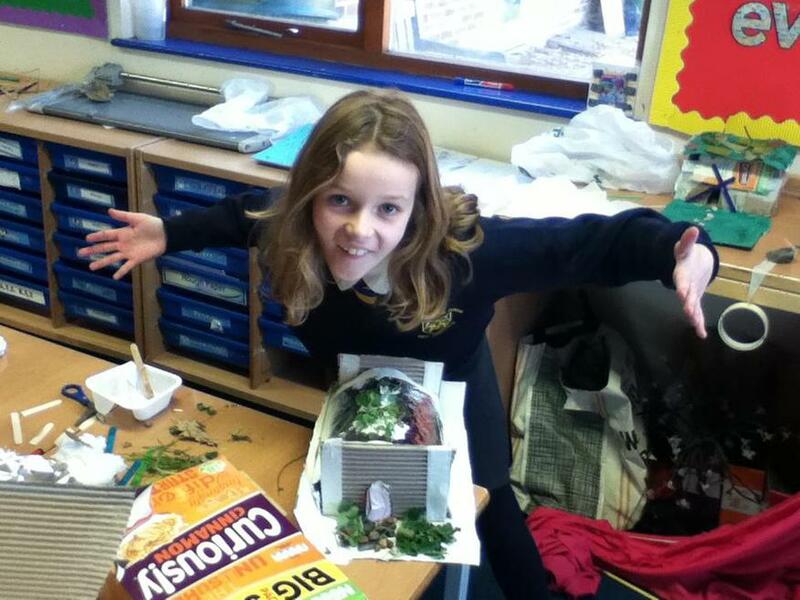 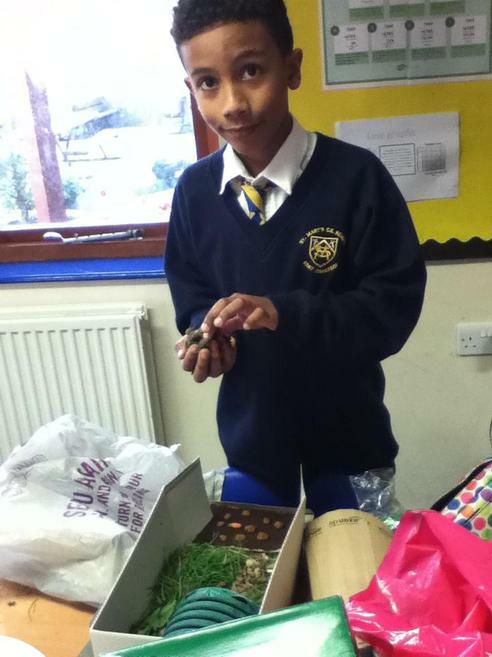 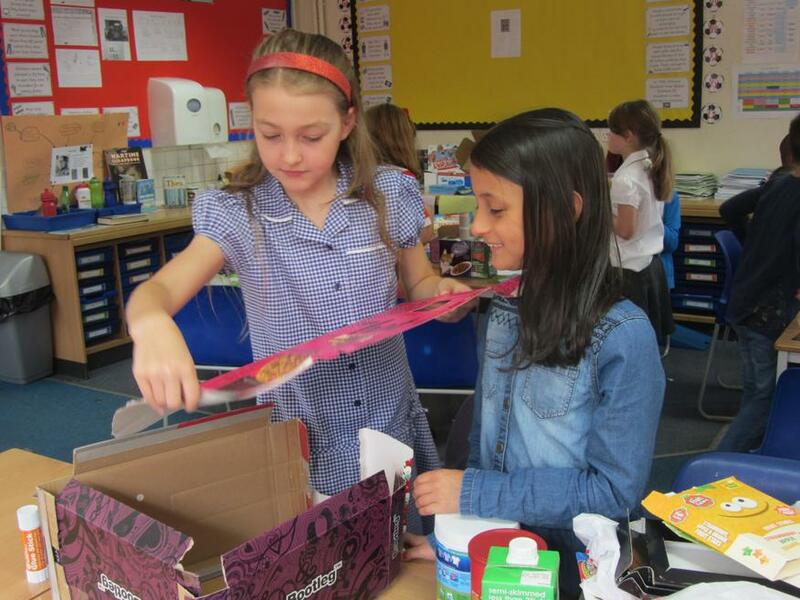 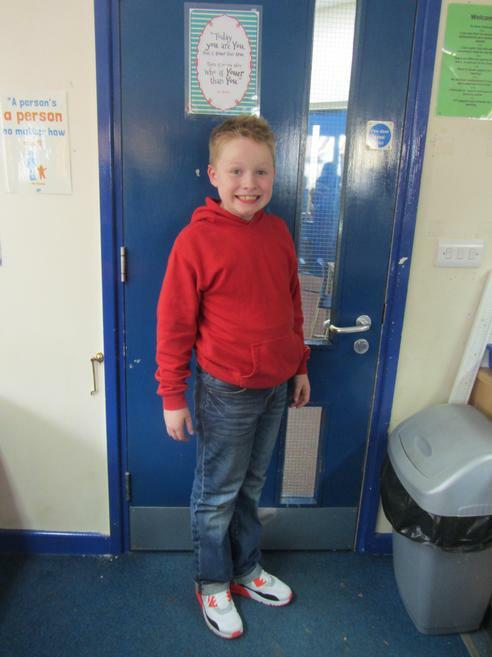 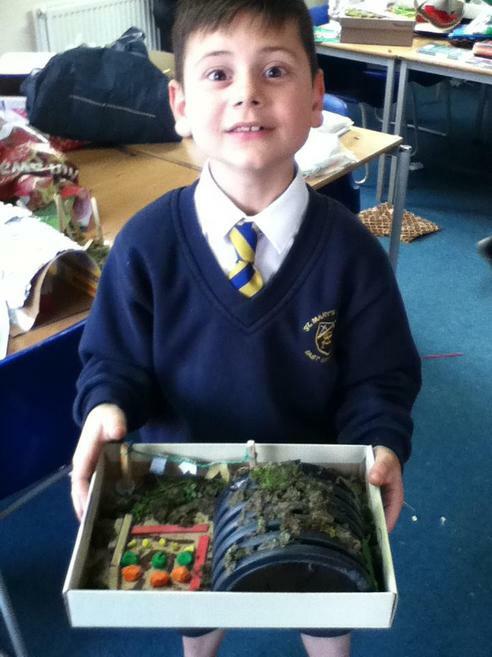 This week in Topic year 5 have been learning about Anderson shelters. 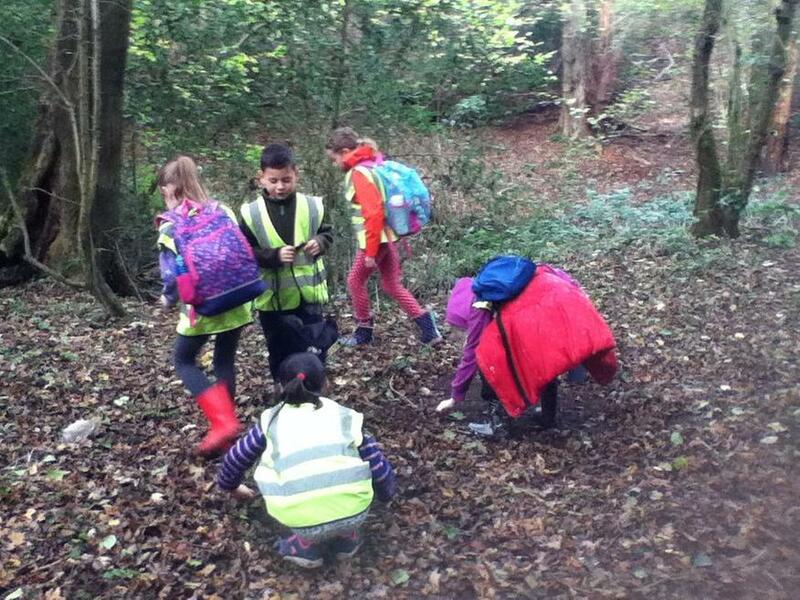 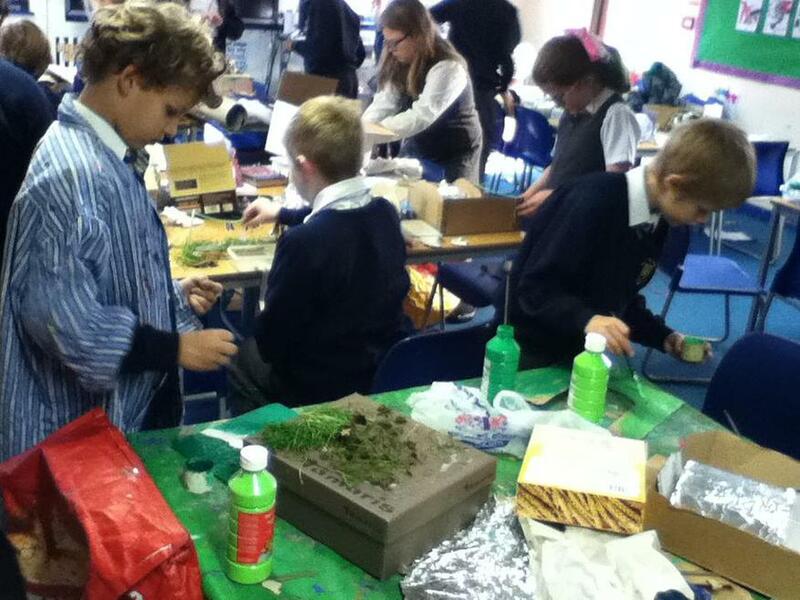 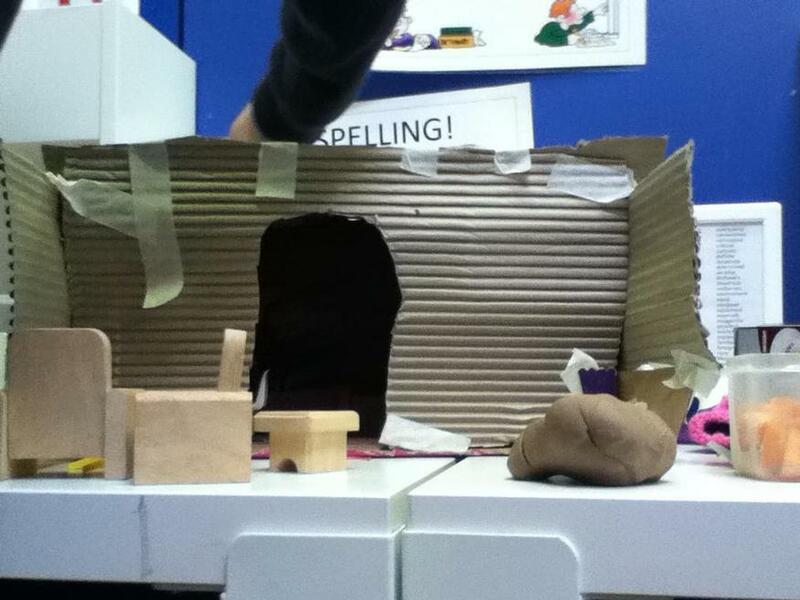 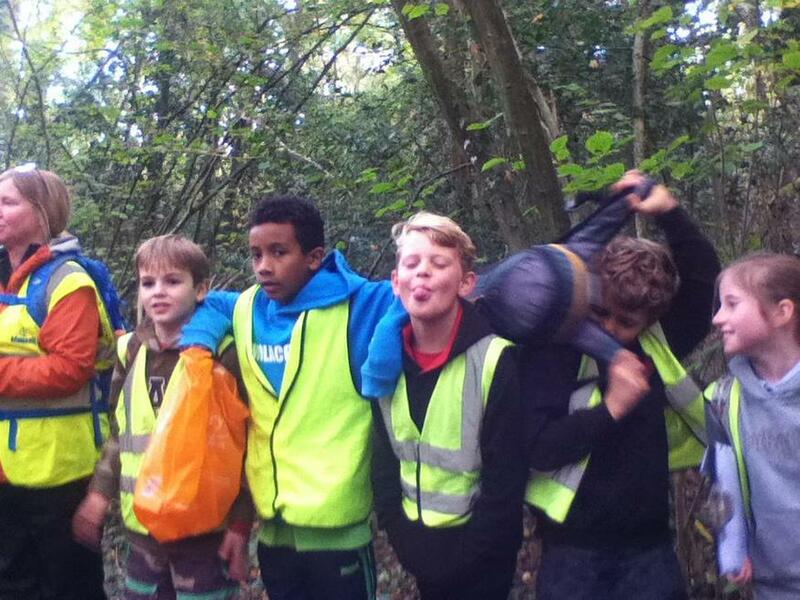 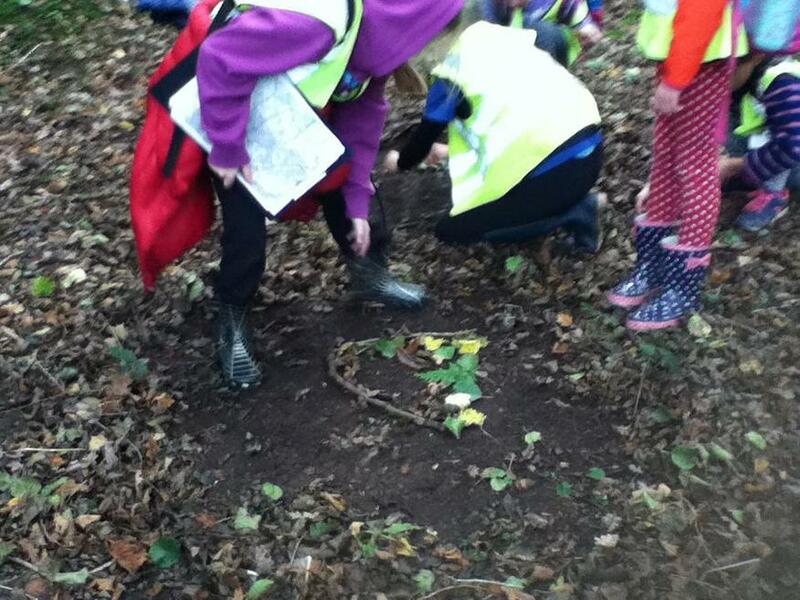 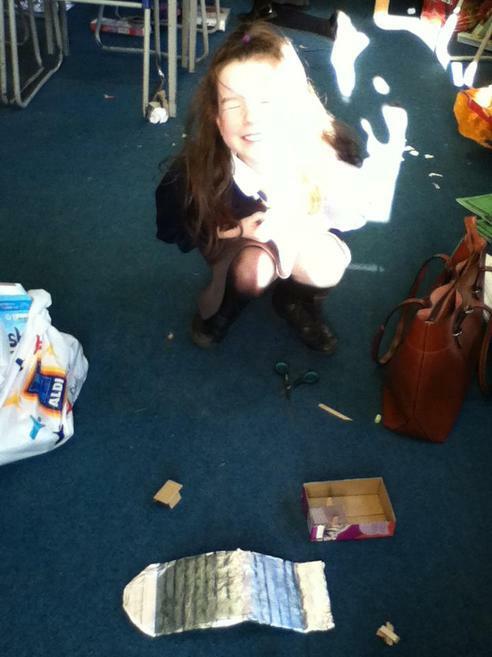 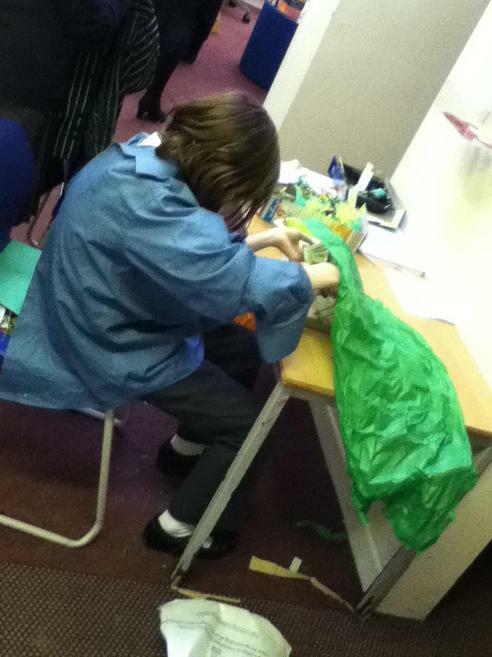 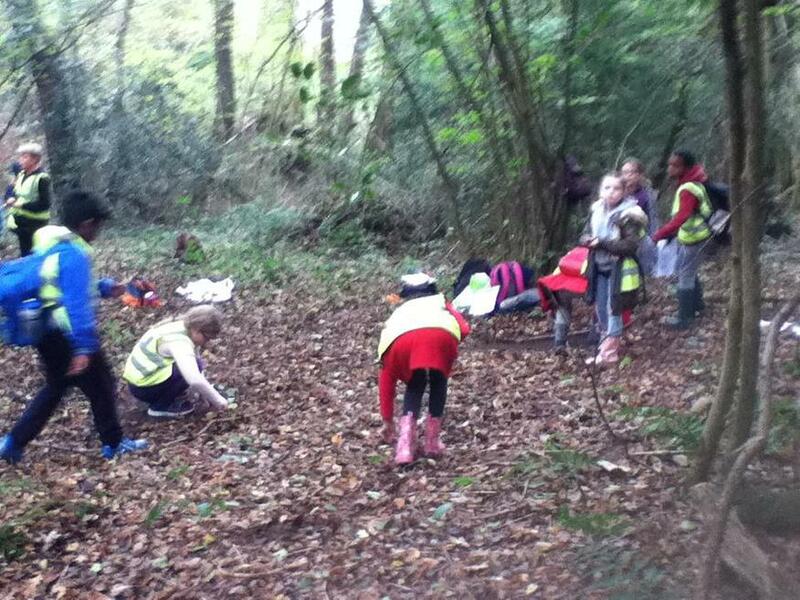 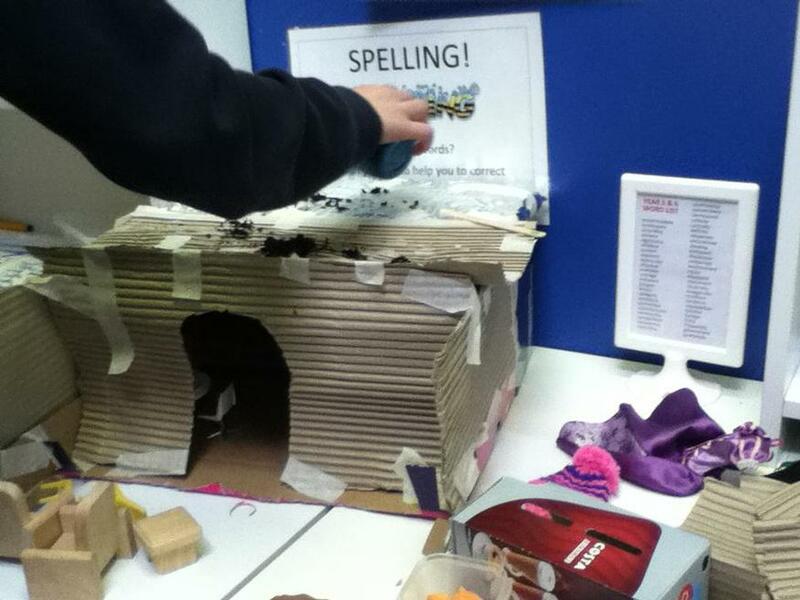 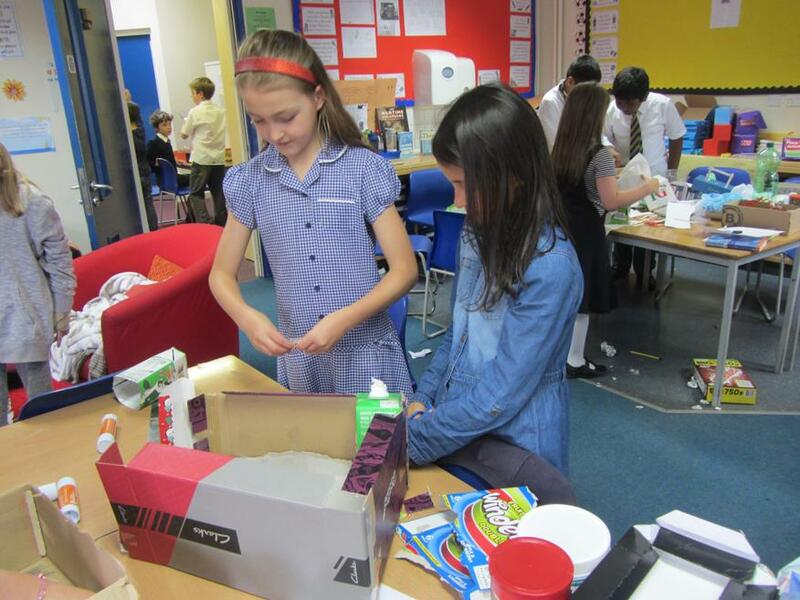 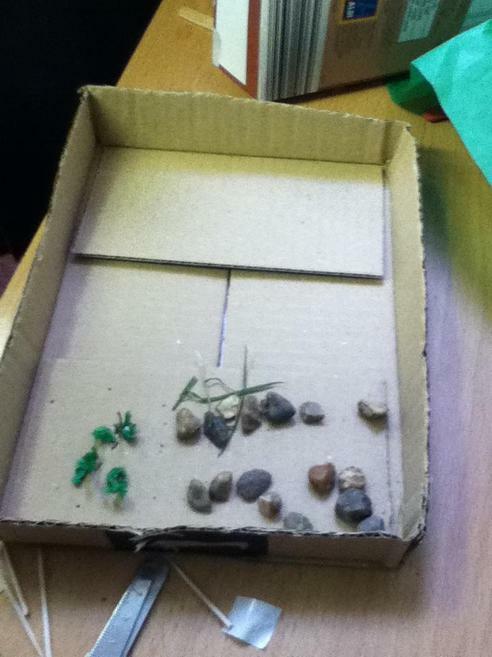 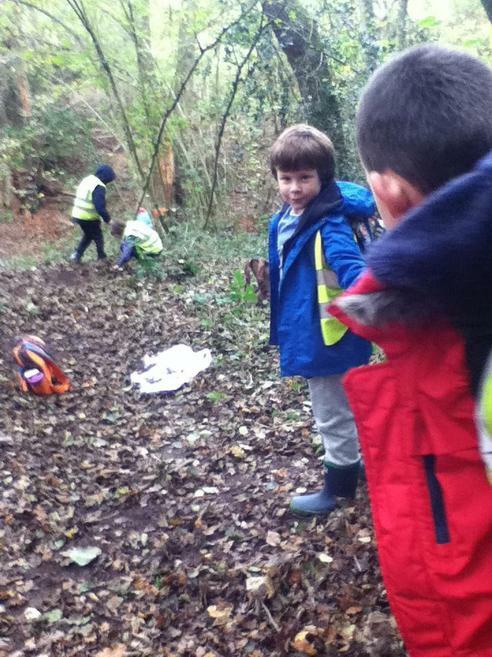 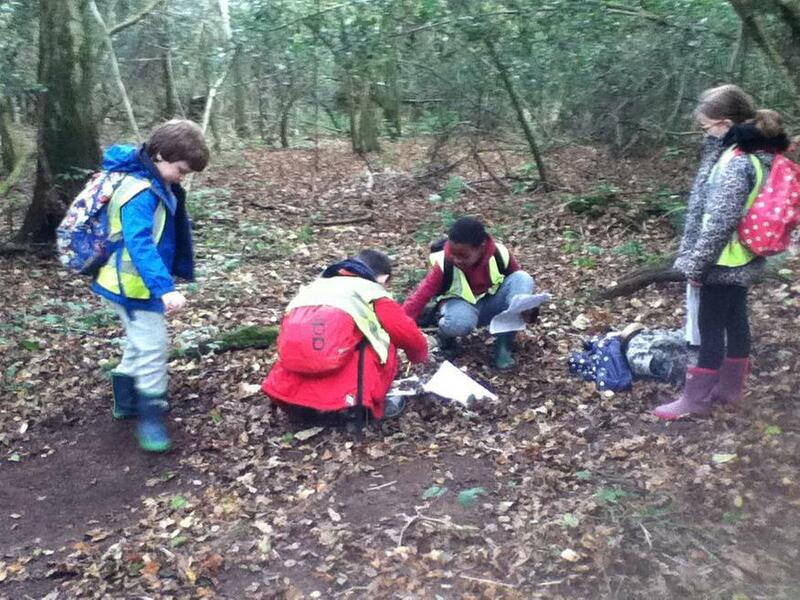 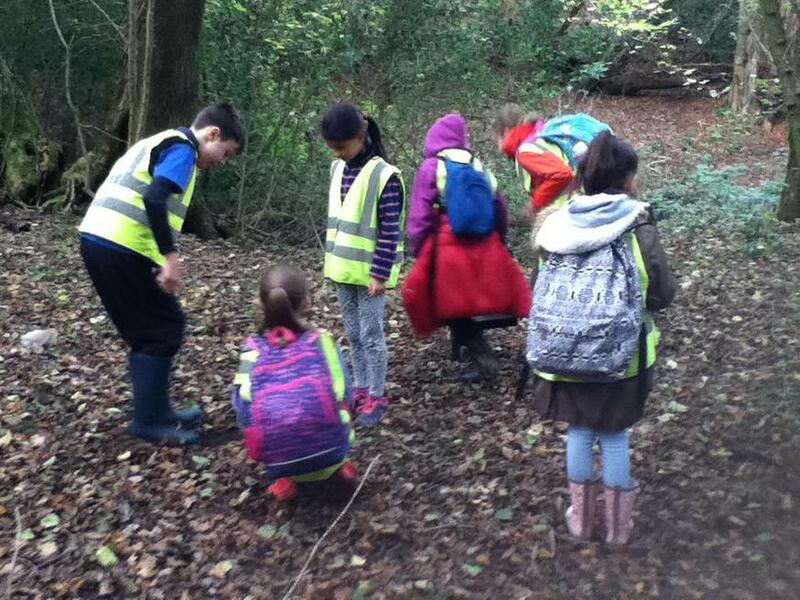 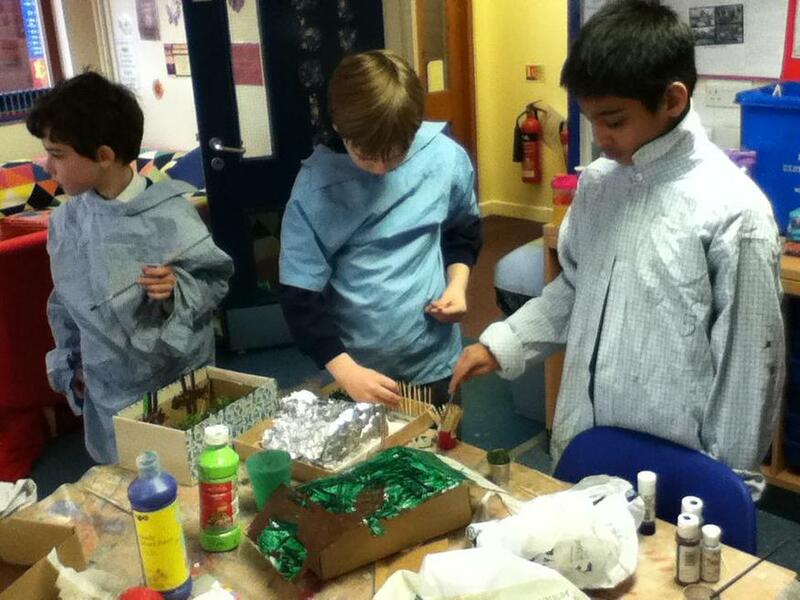 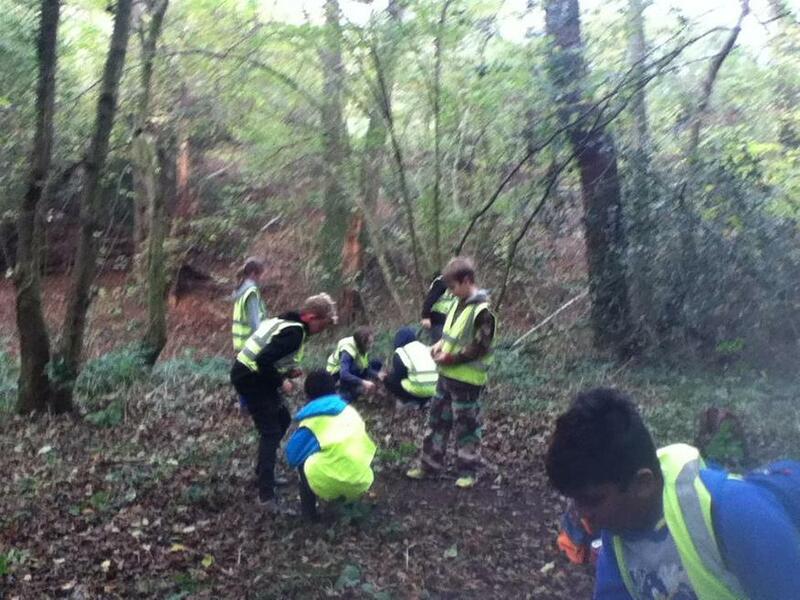 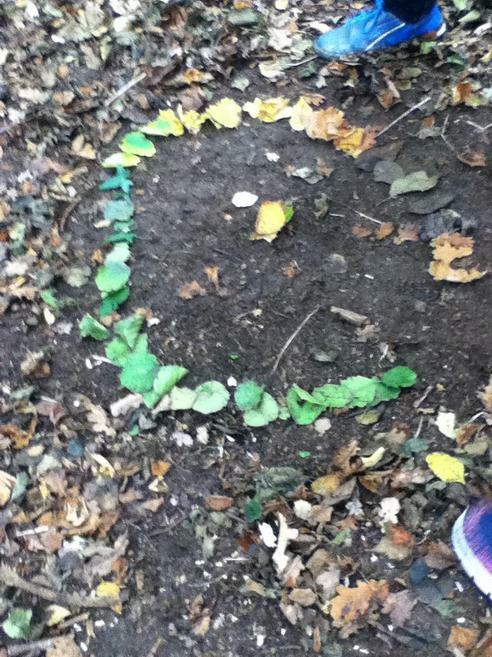 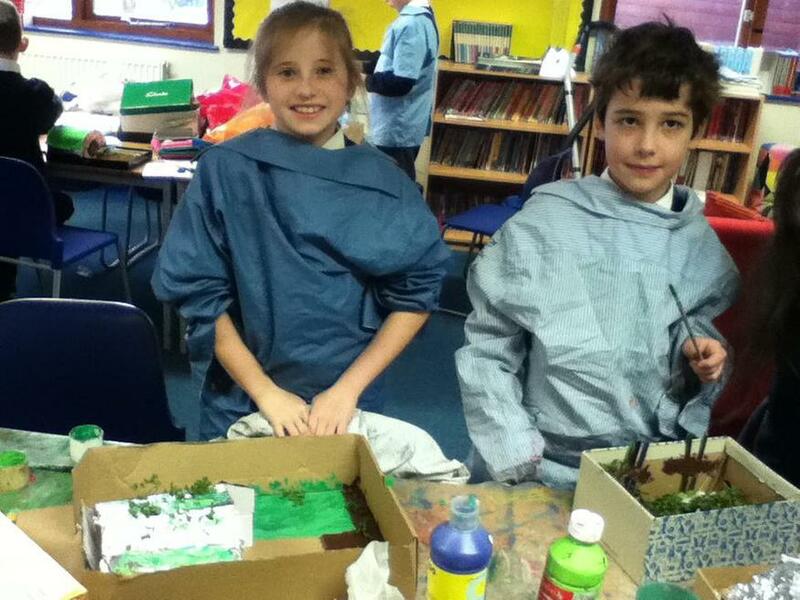 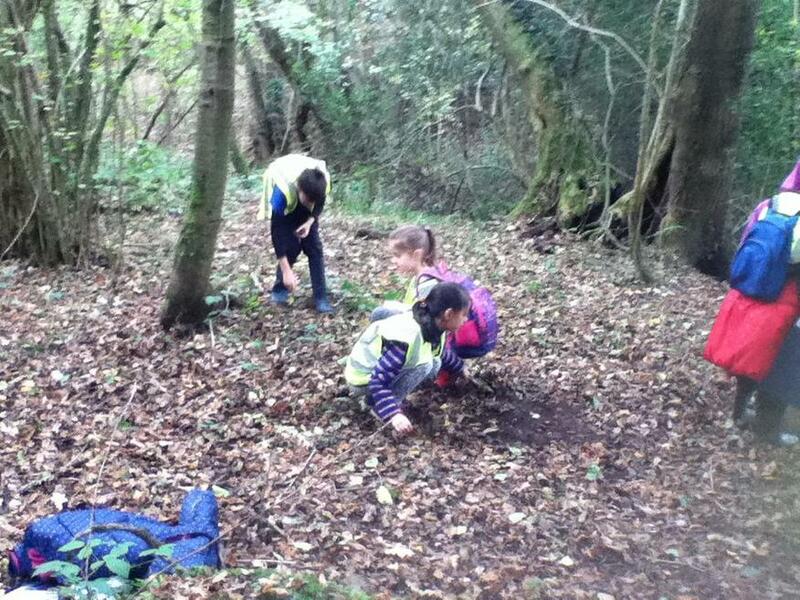 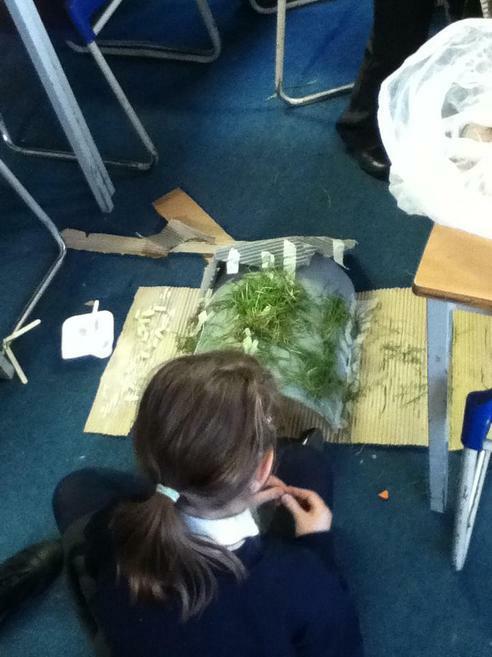 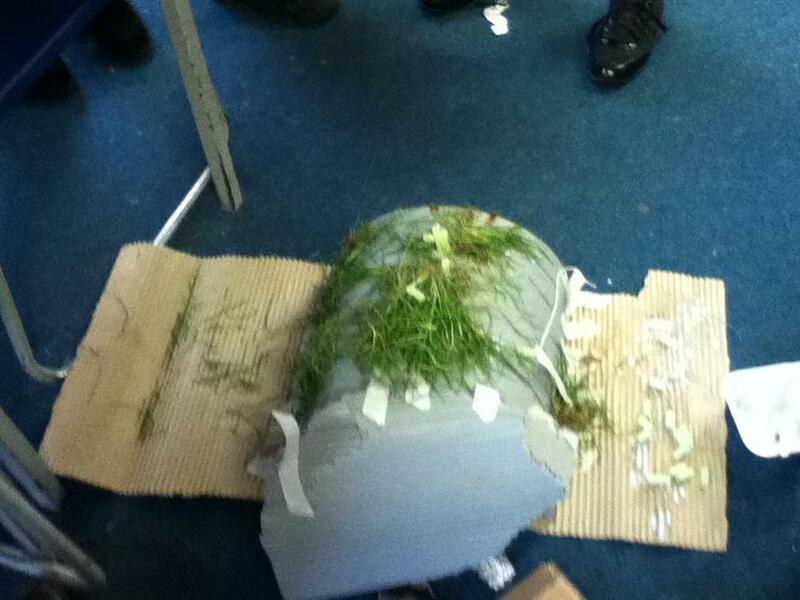 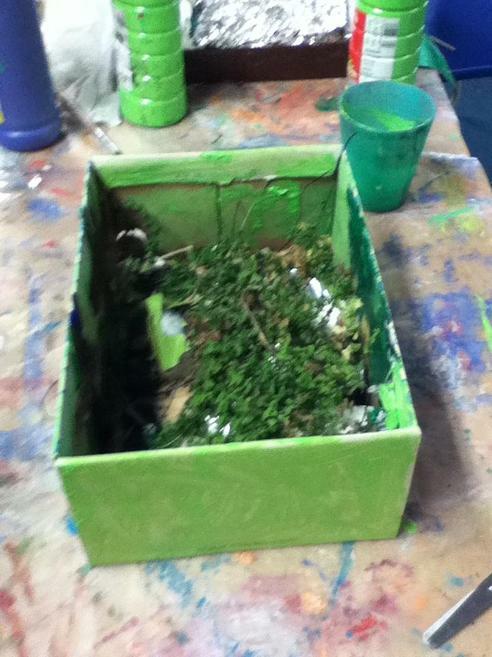 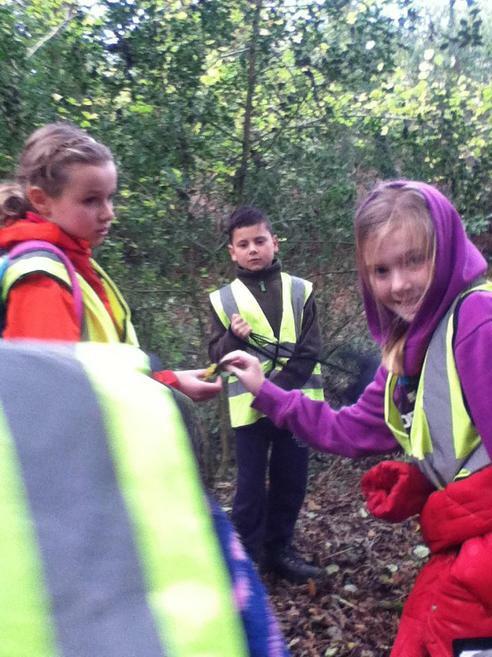 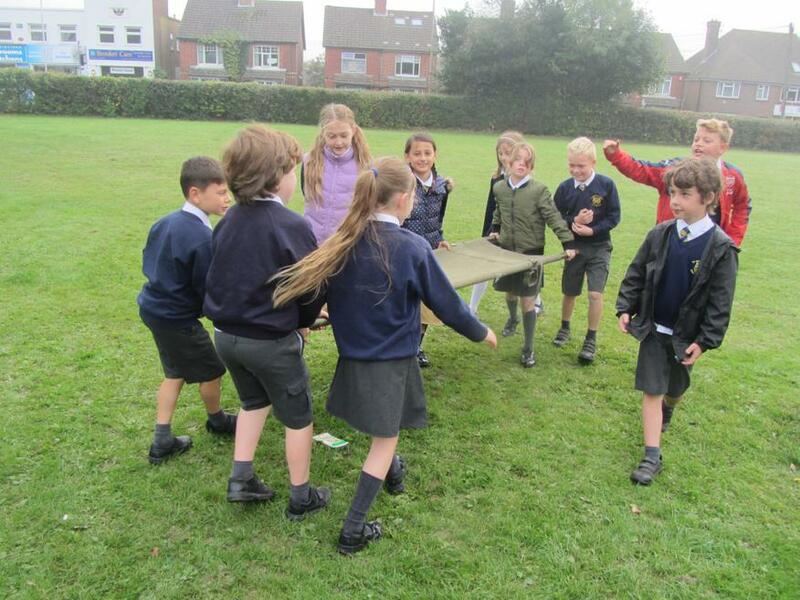 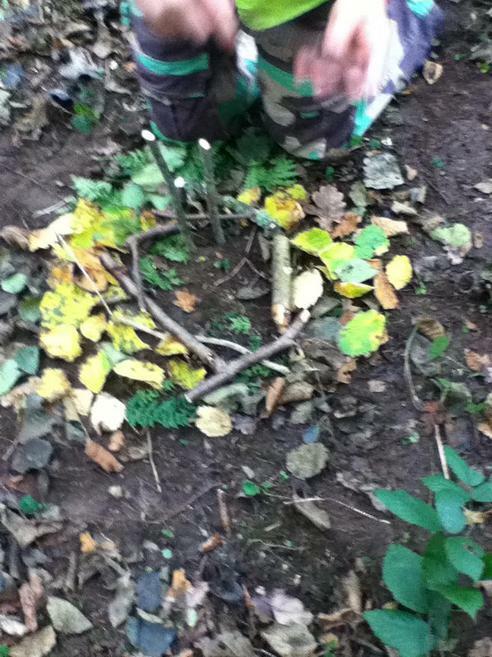 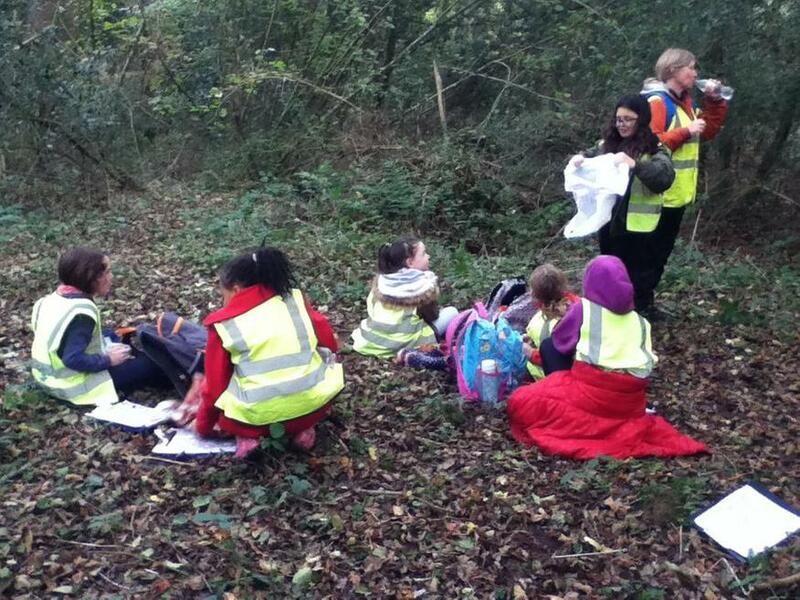 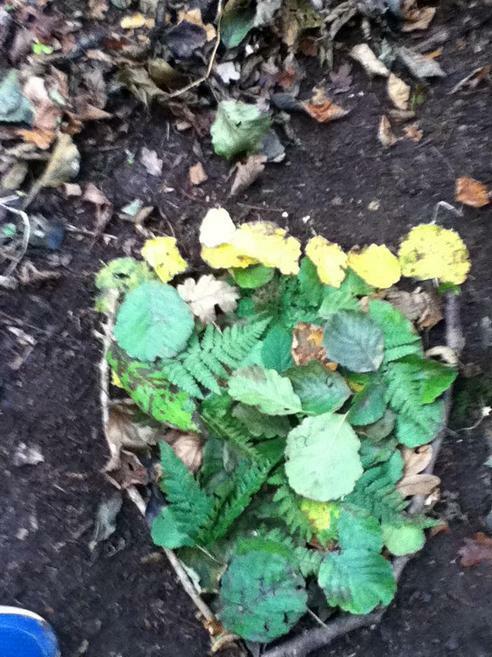 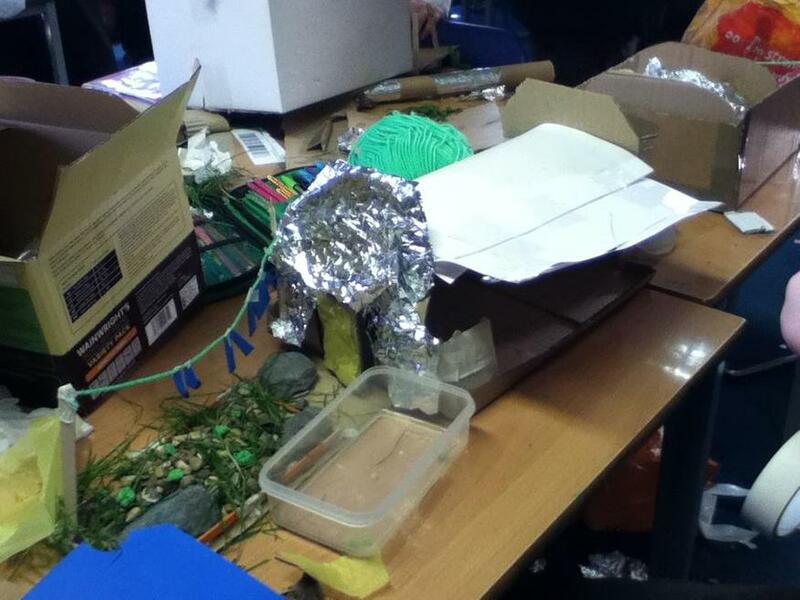 The children were tasked with creating their very own shelter, in which they had to plan in advance and build. 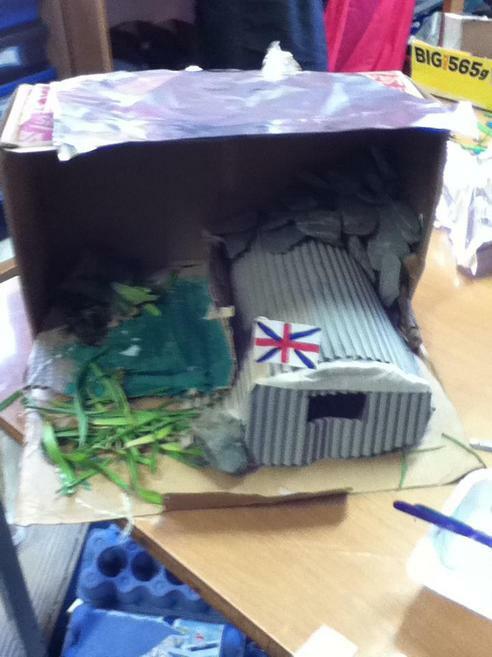 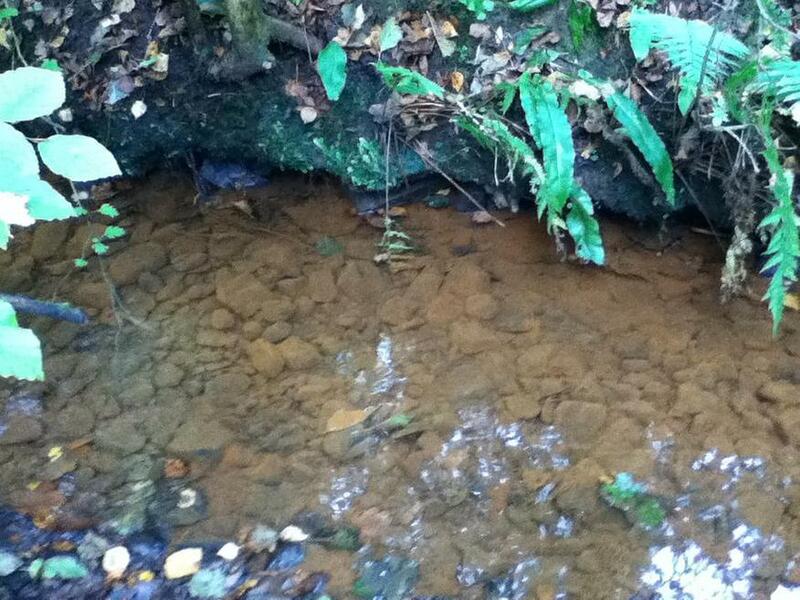 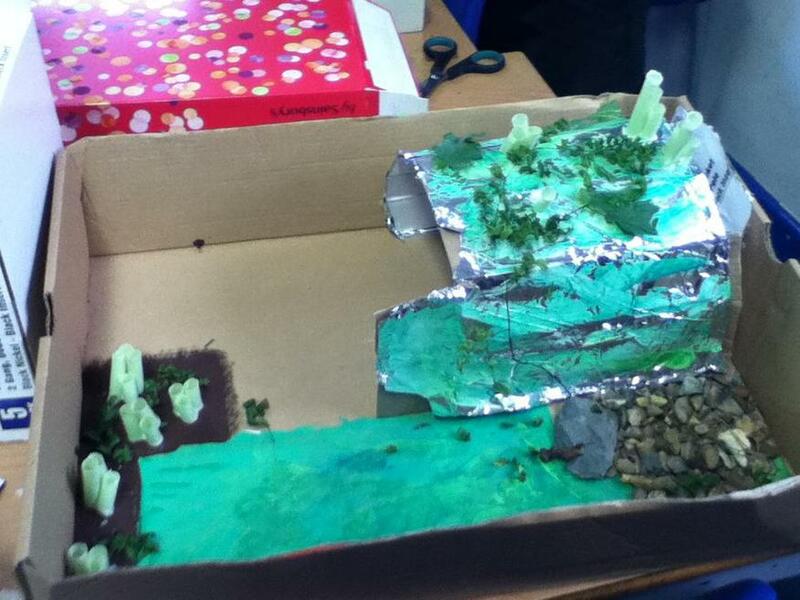 The children have really enjoyed learning this topic and the outcome has been fantastic. 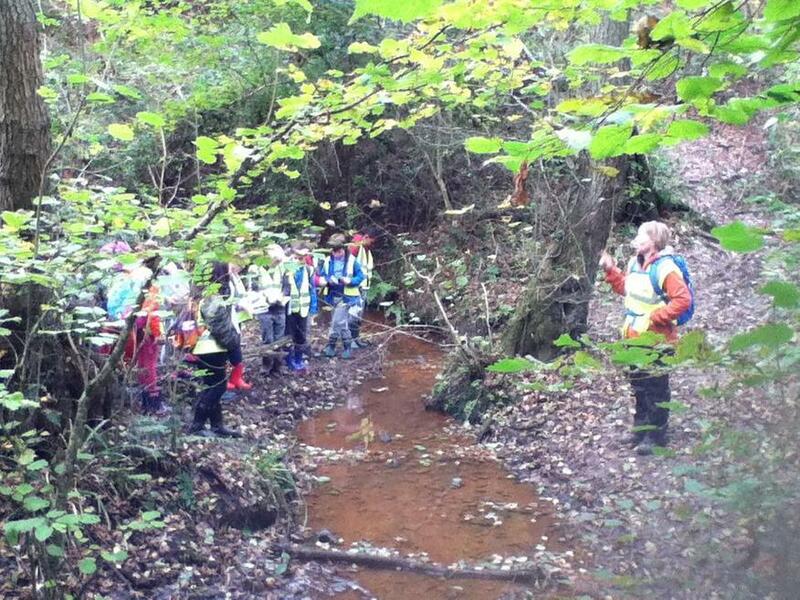 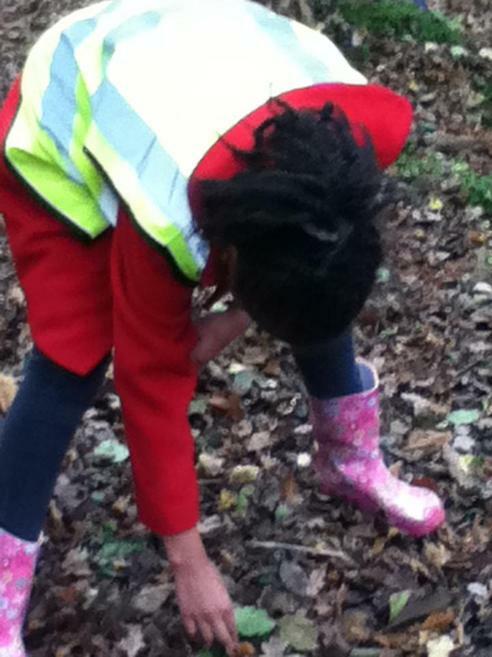 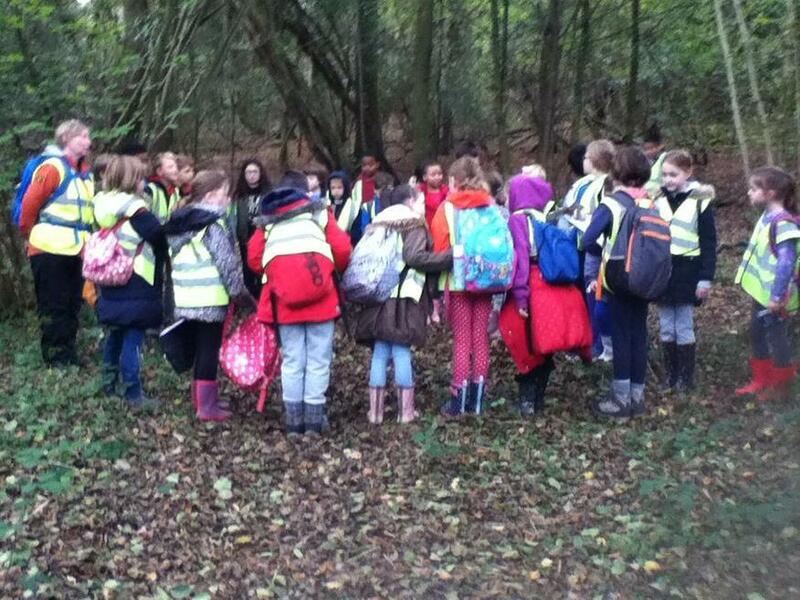 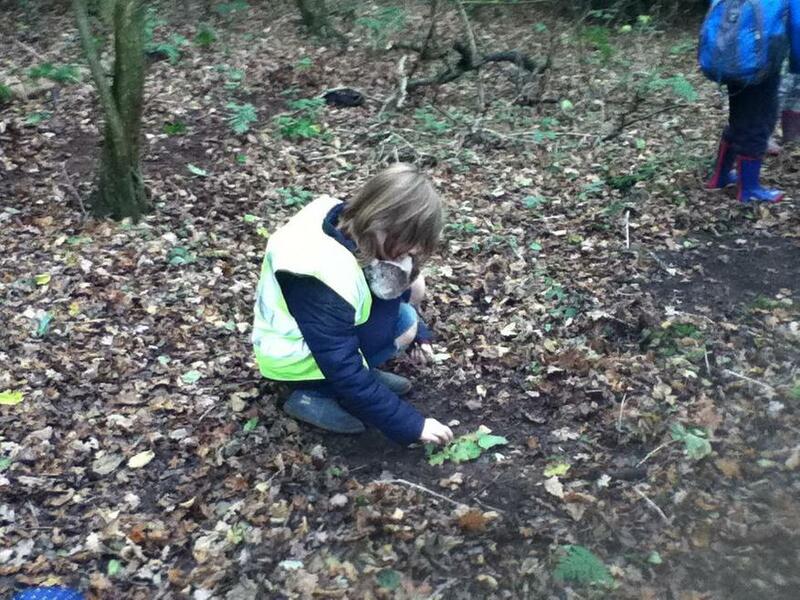 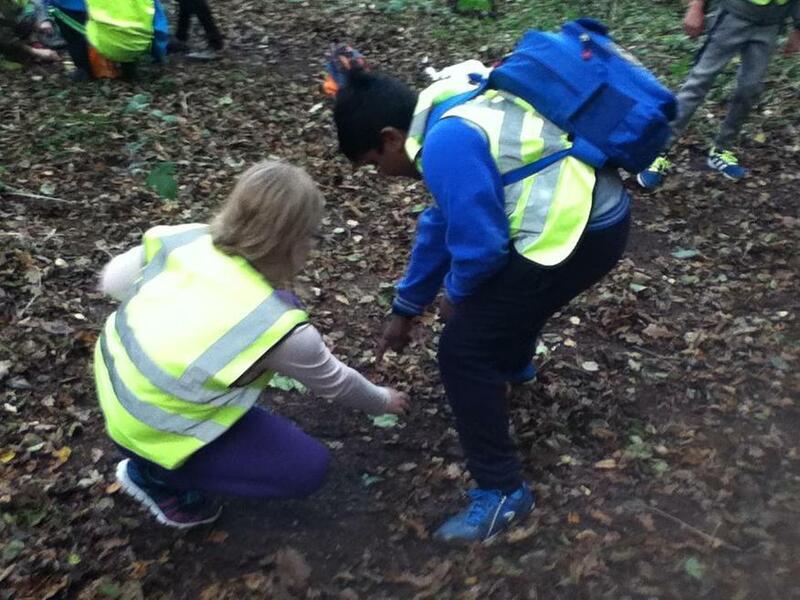 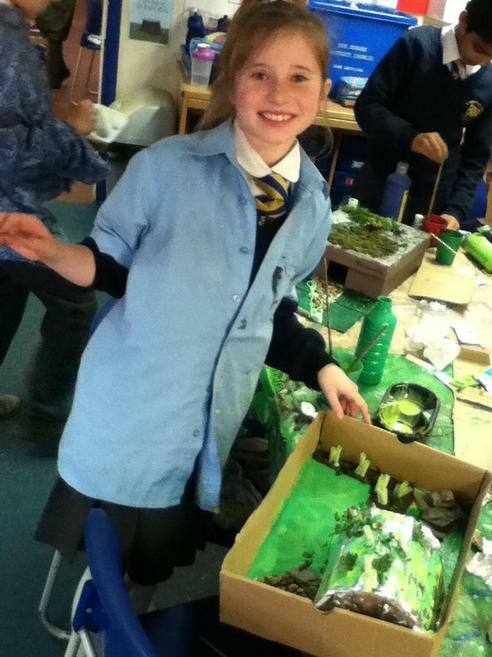 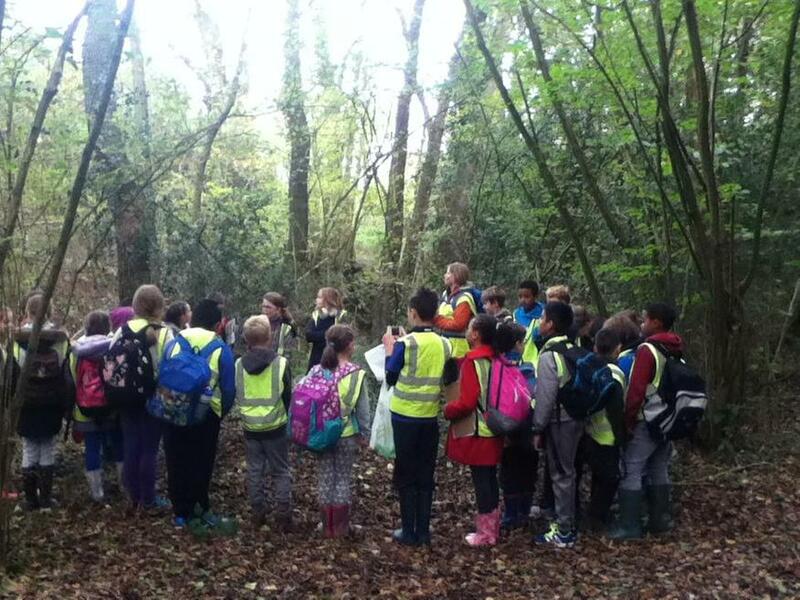 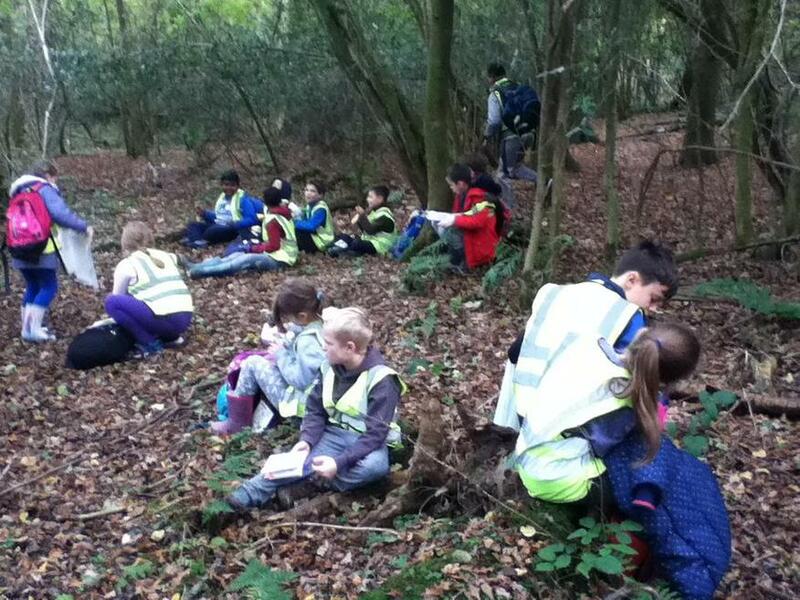 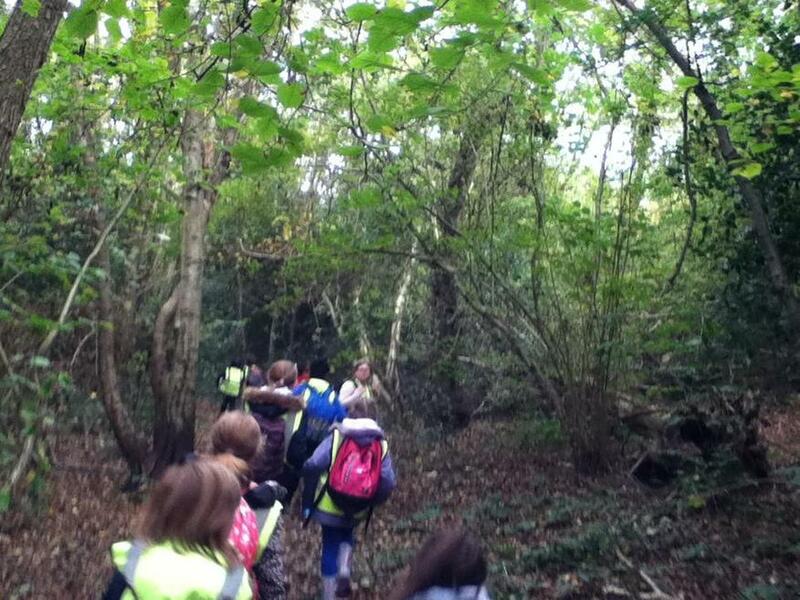 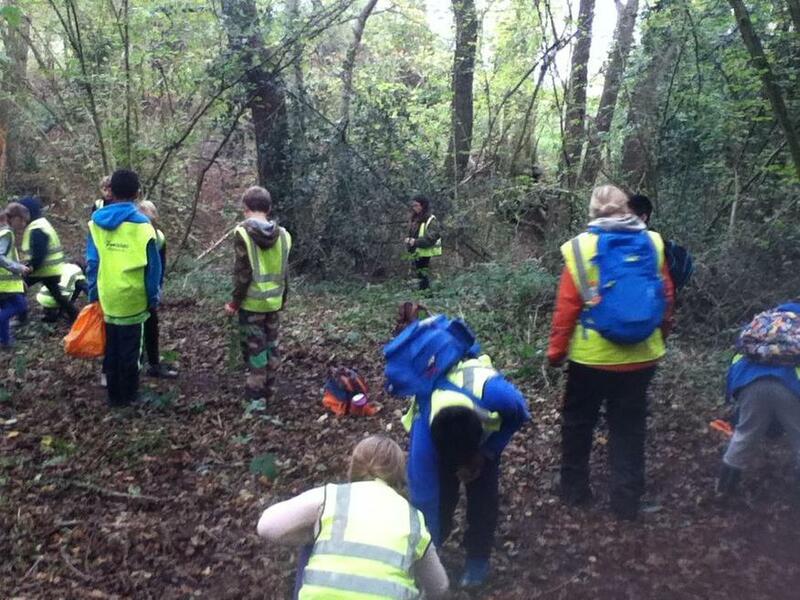 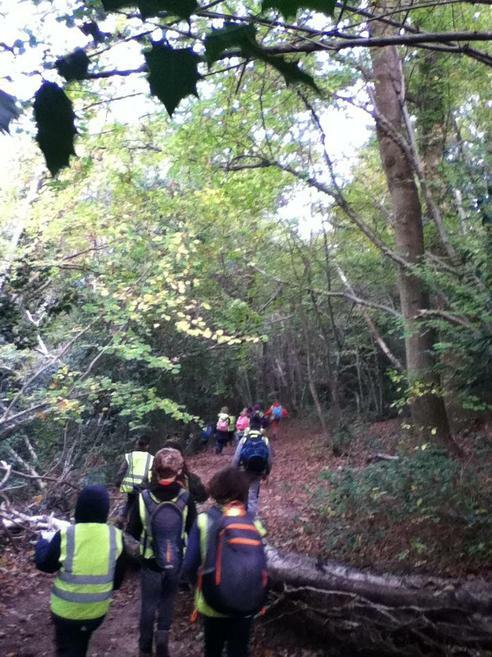 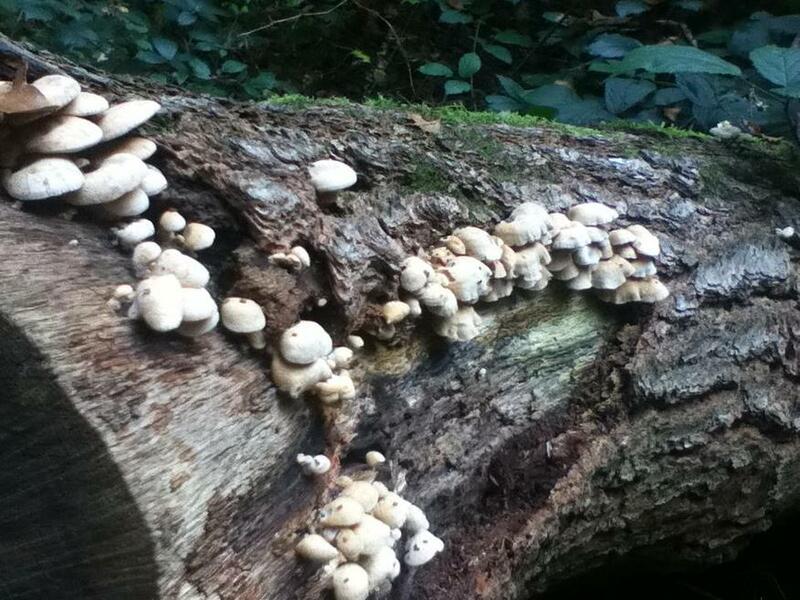 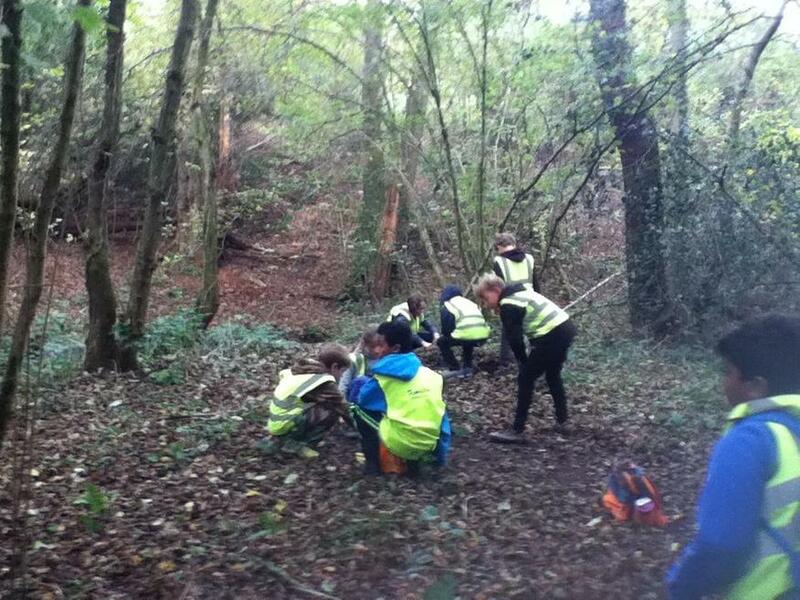 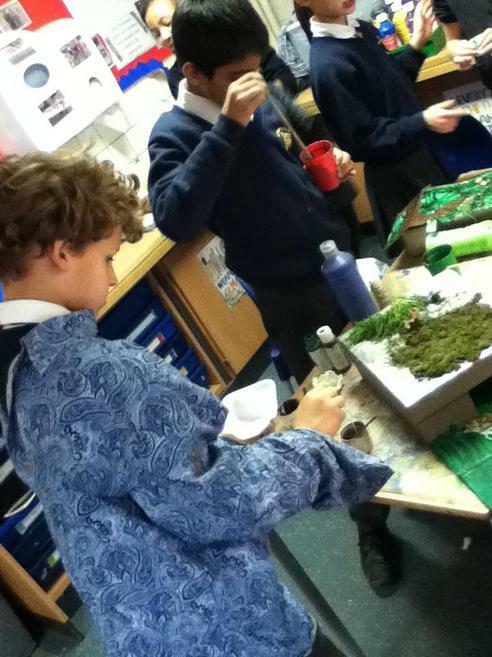 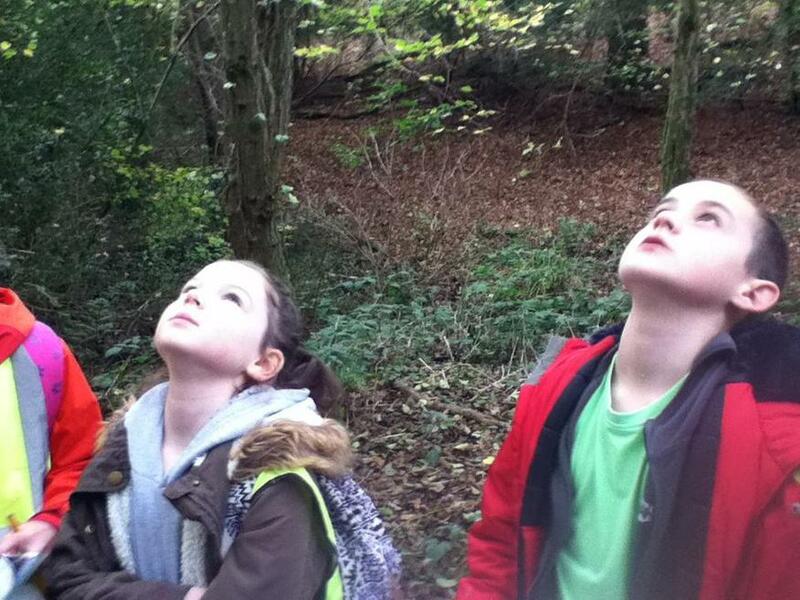 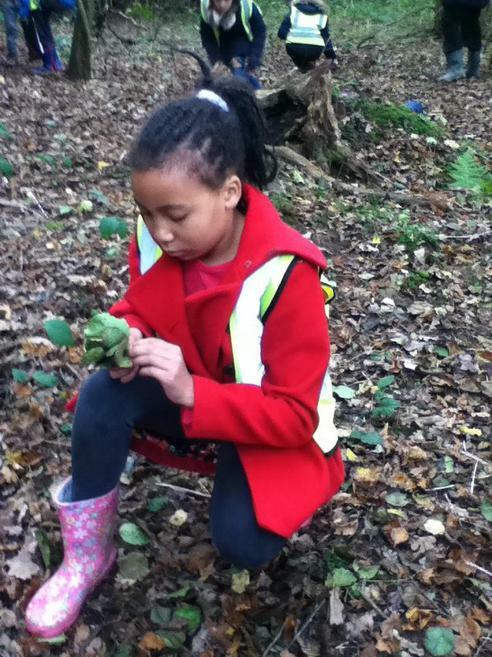 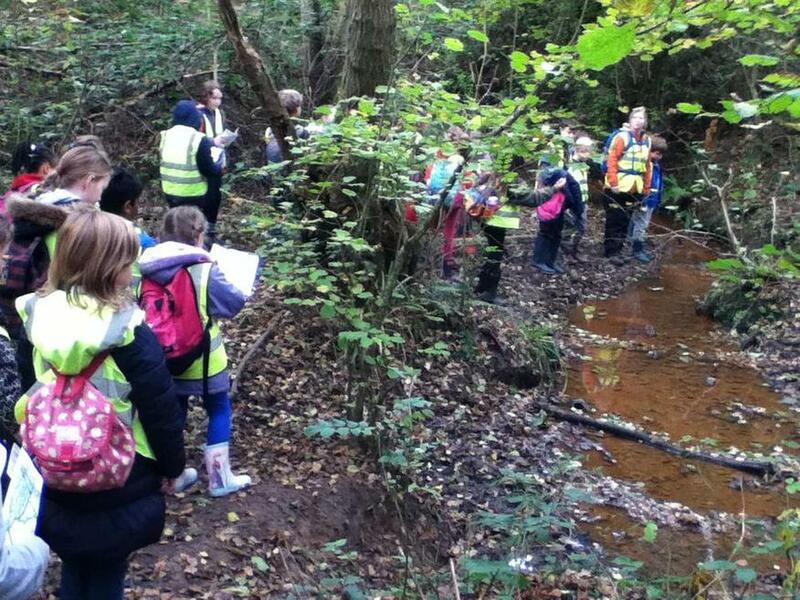 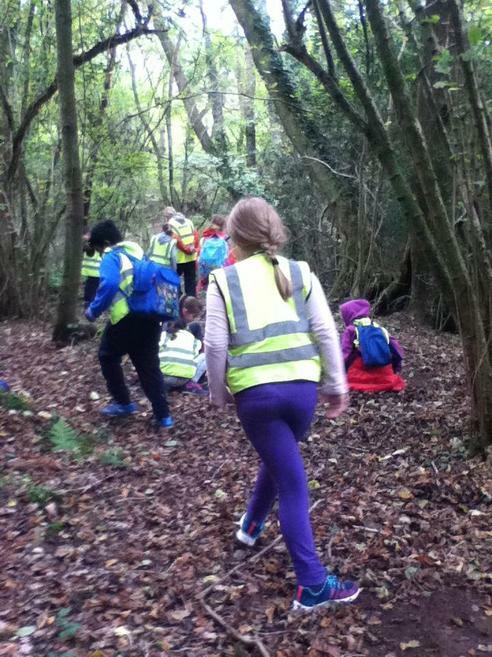 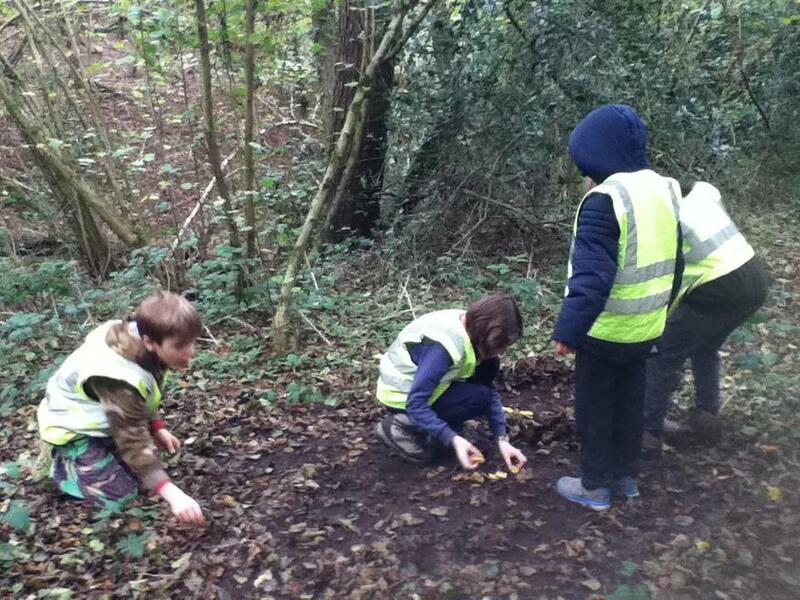 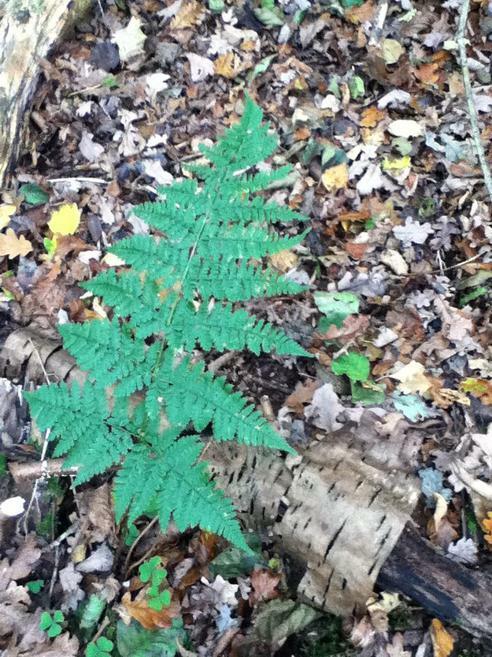 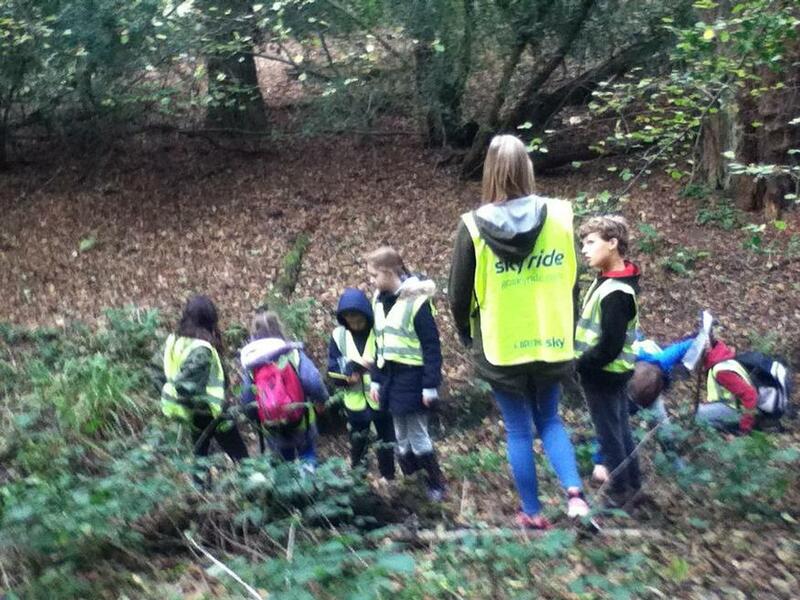 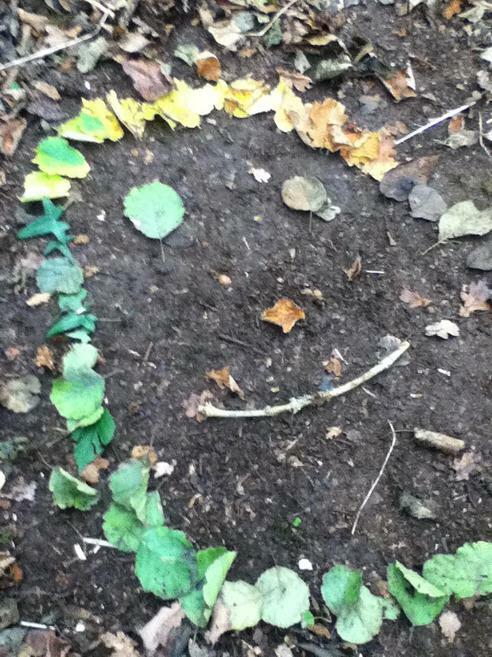 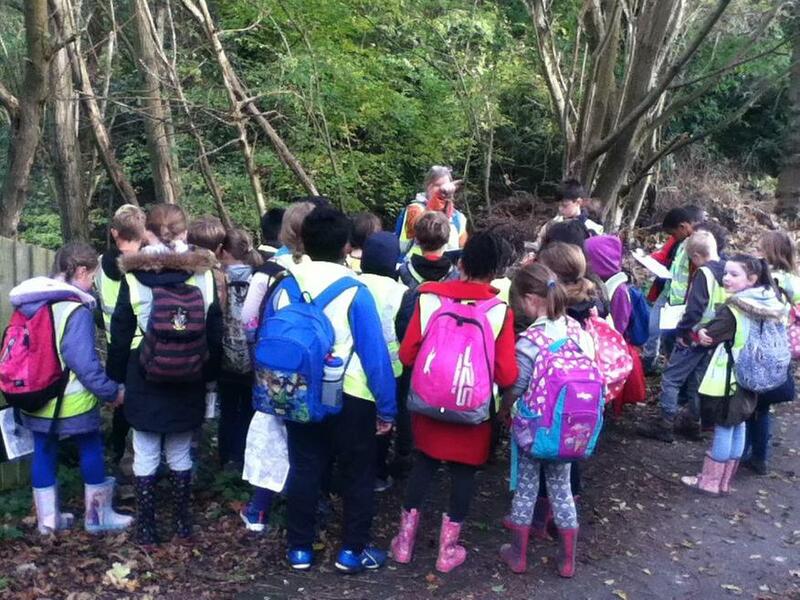 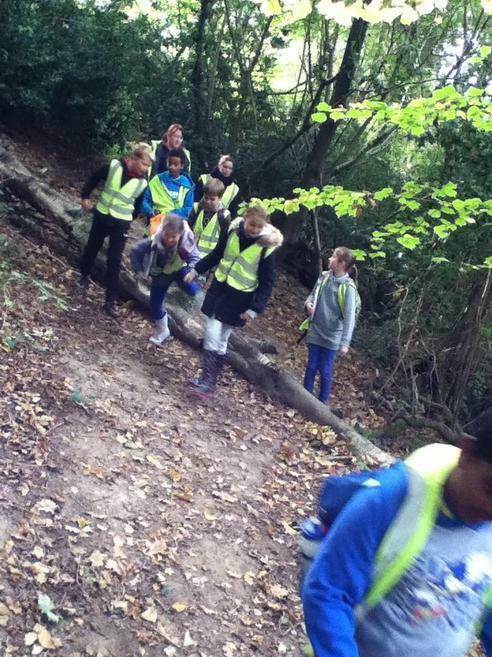 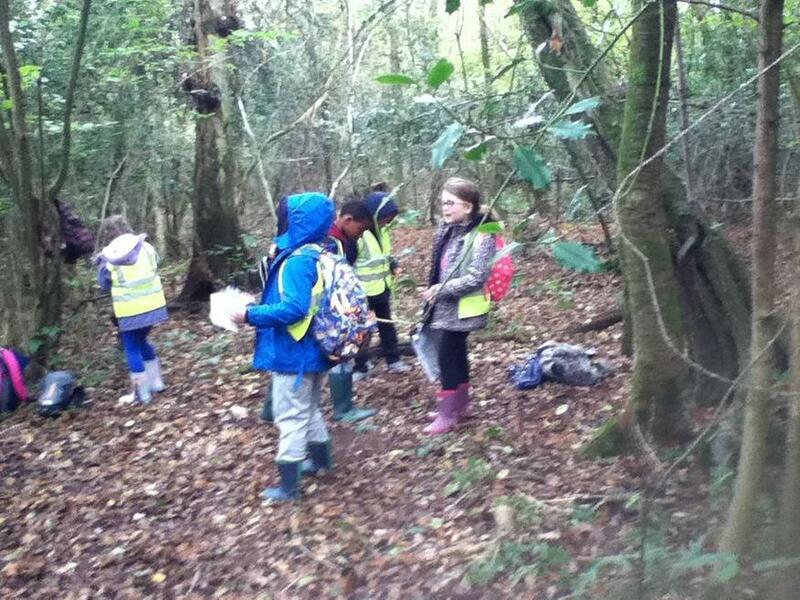 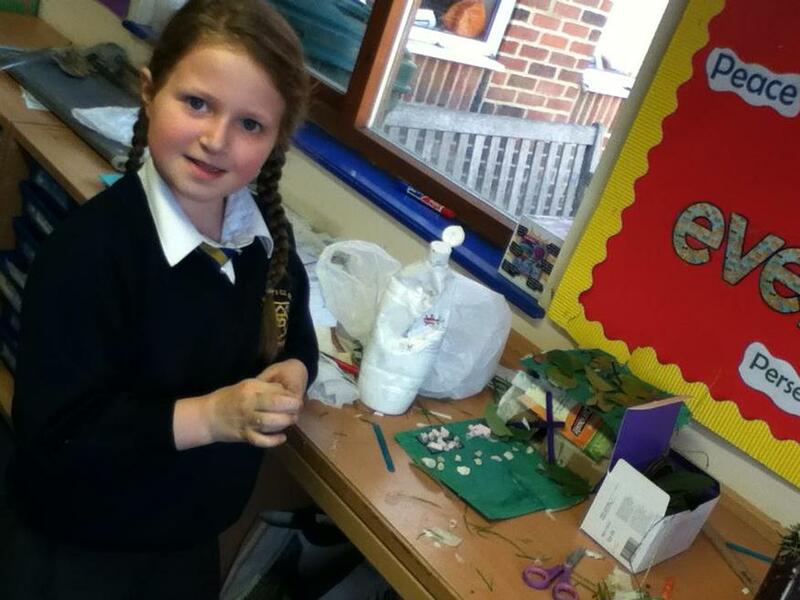 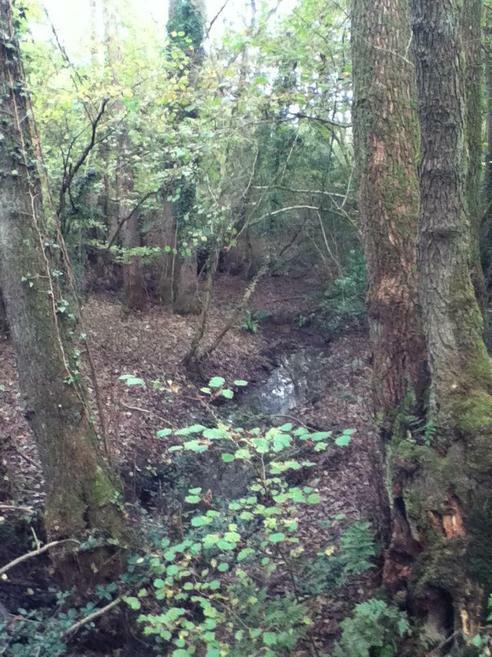 This term we have been working with Rachel from the High Weald trust. 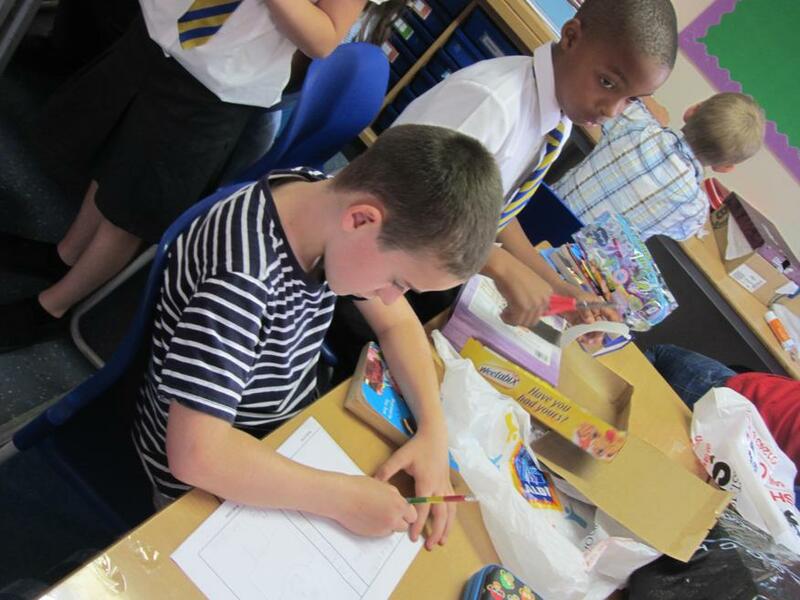 We started with a morning mapping workshop at the start of the term, where the children got to grips with how maps work. 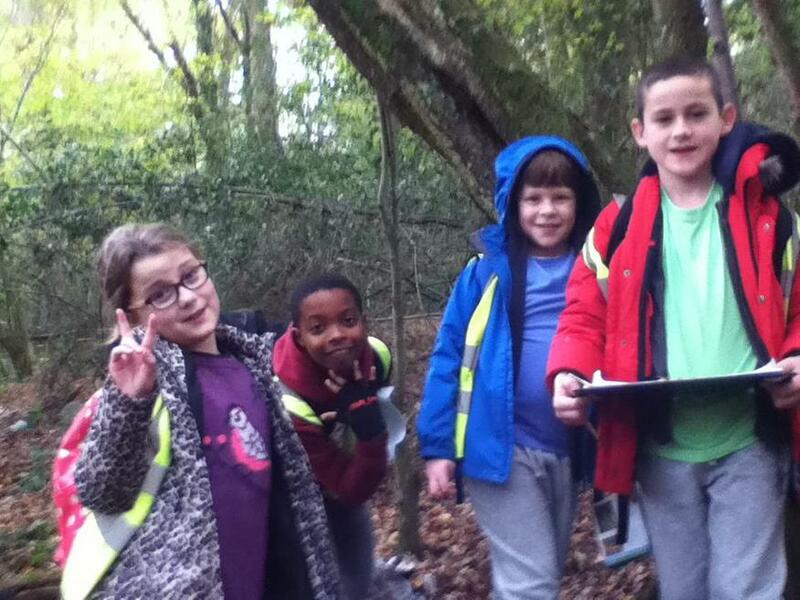 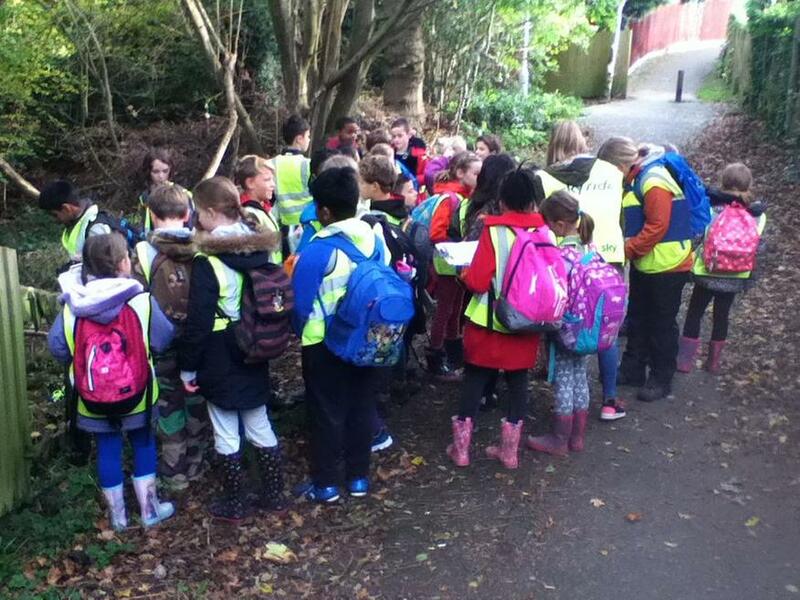 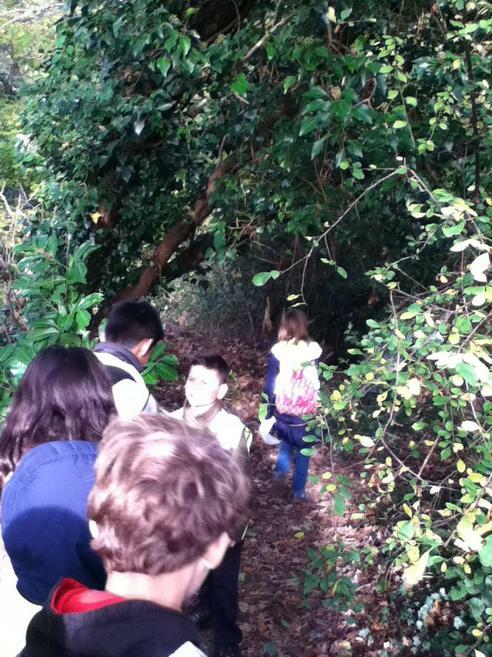 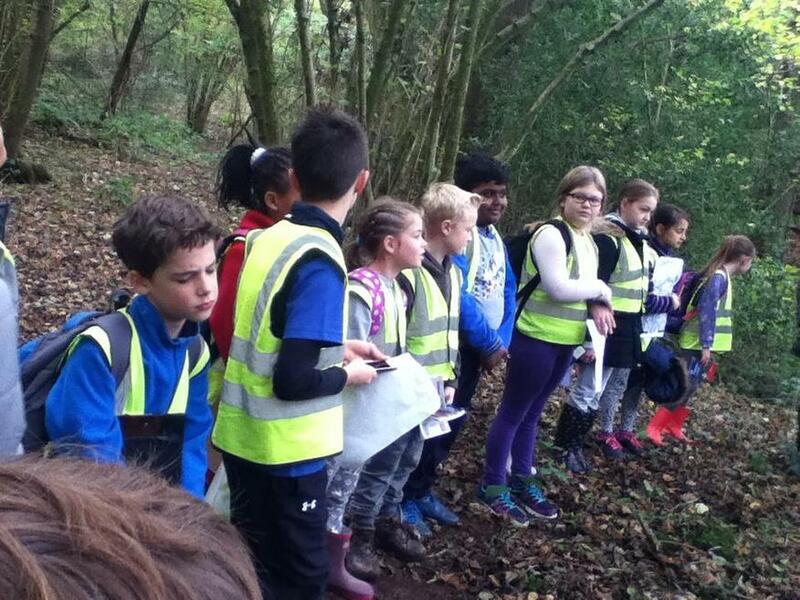 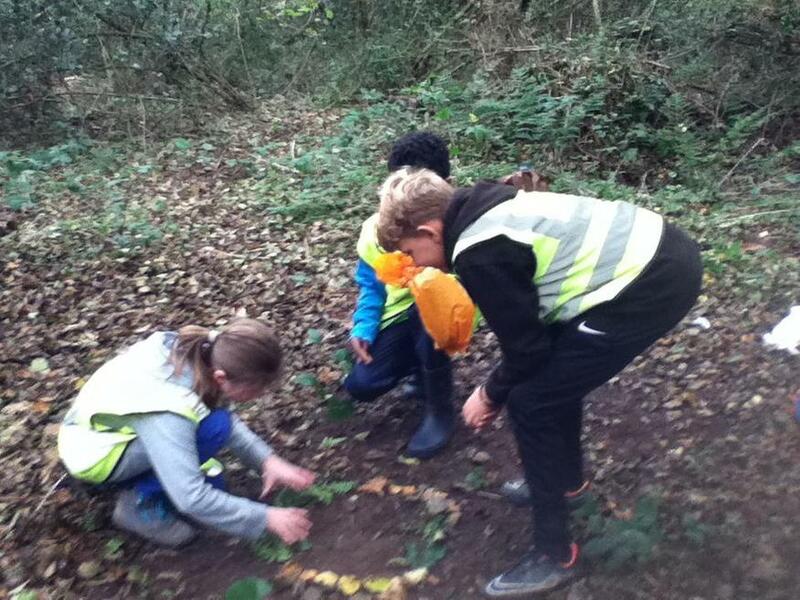 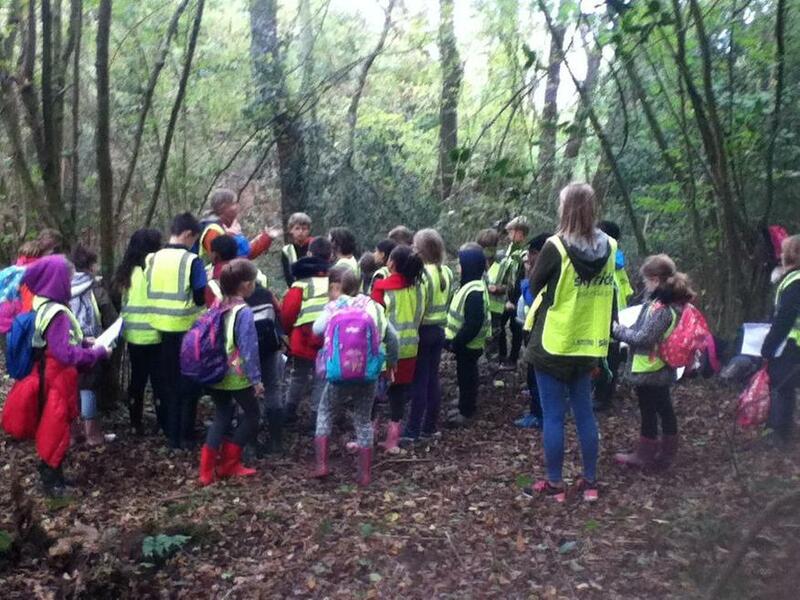 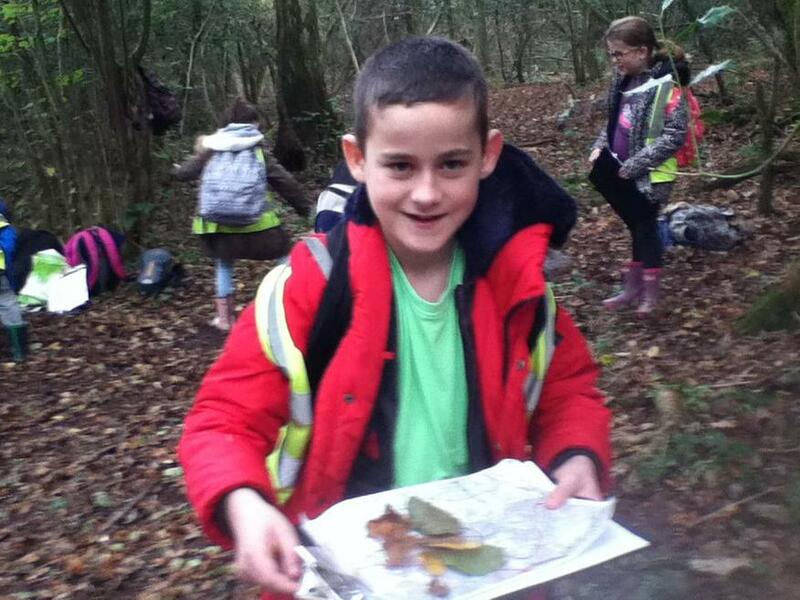 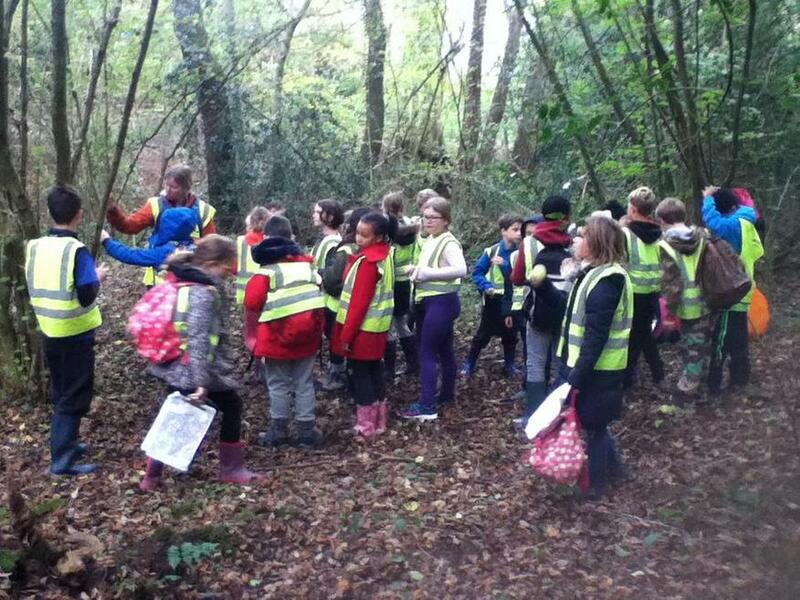 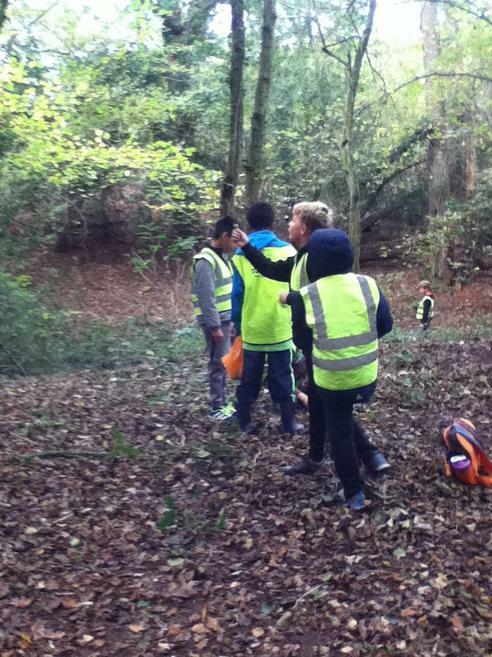 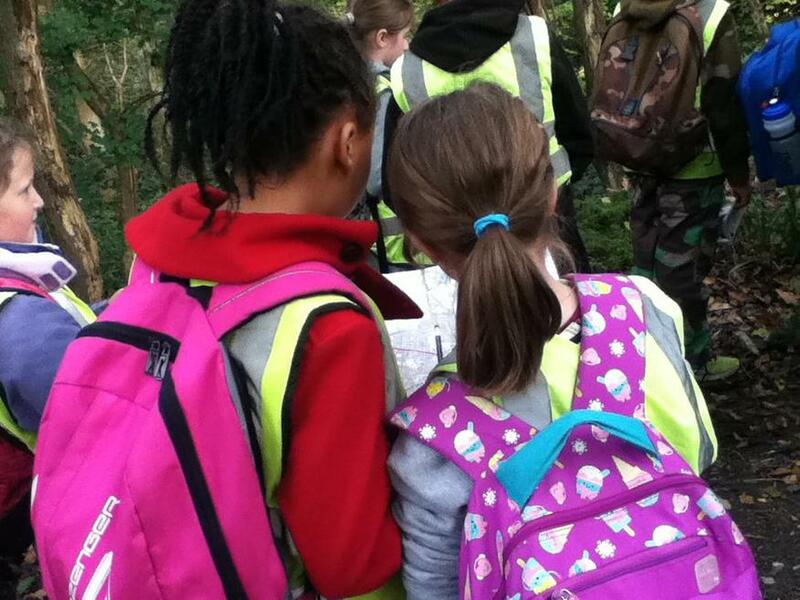 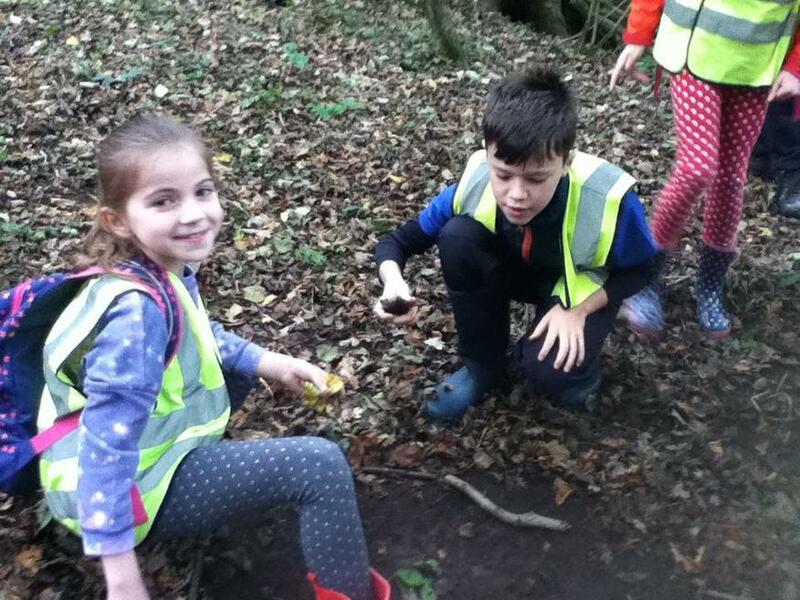 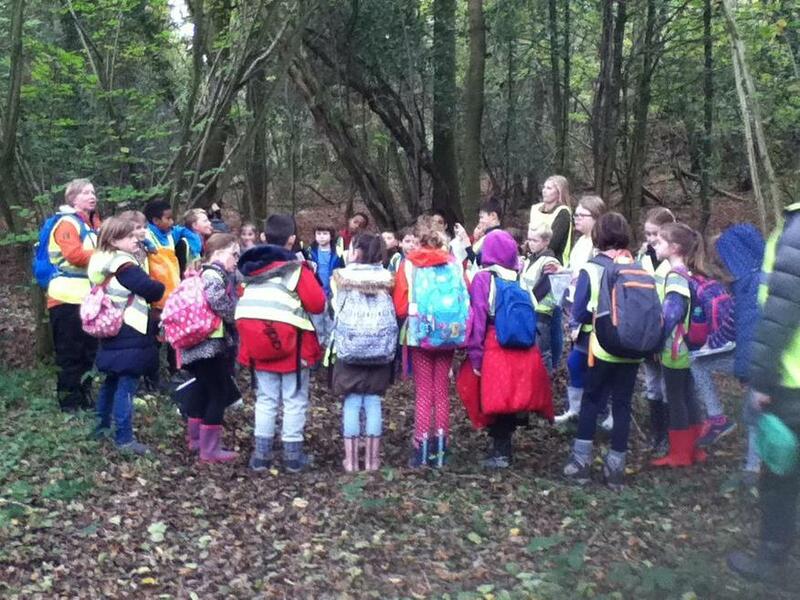 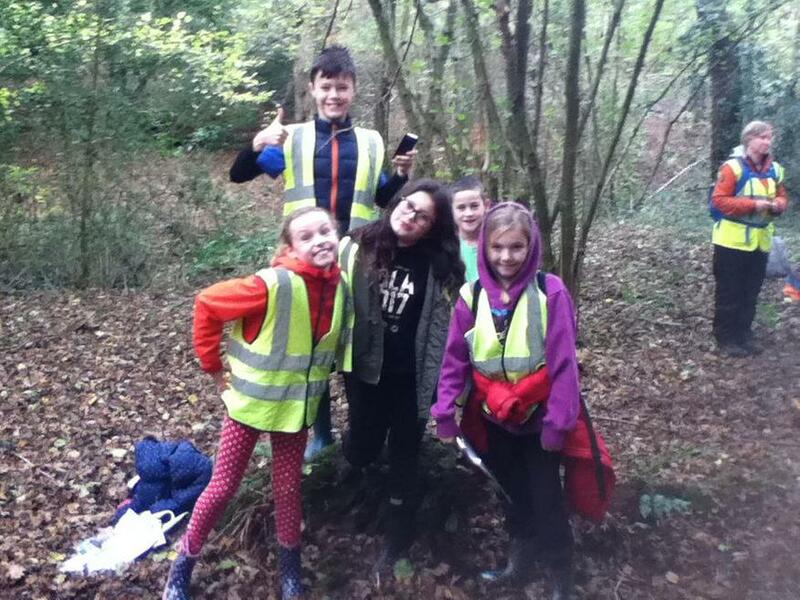 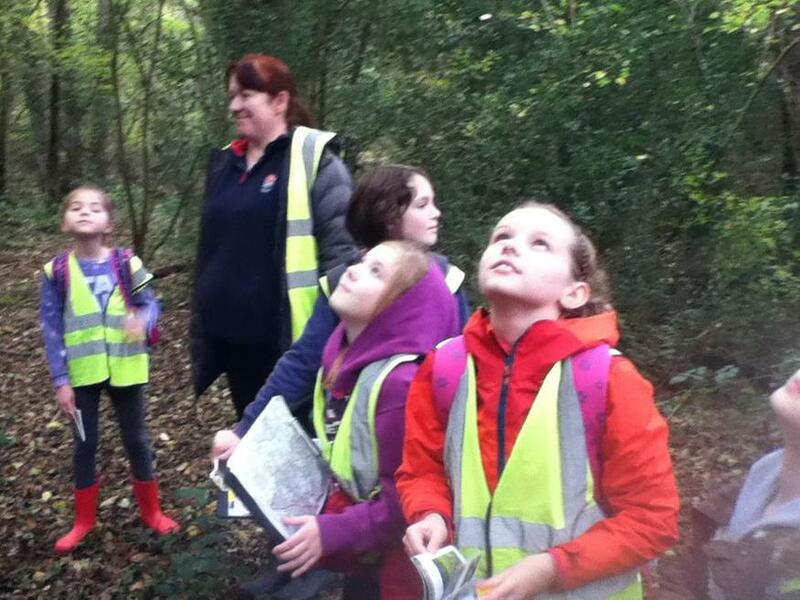 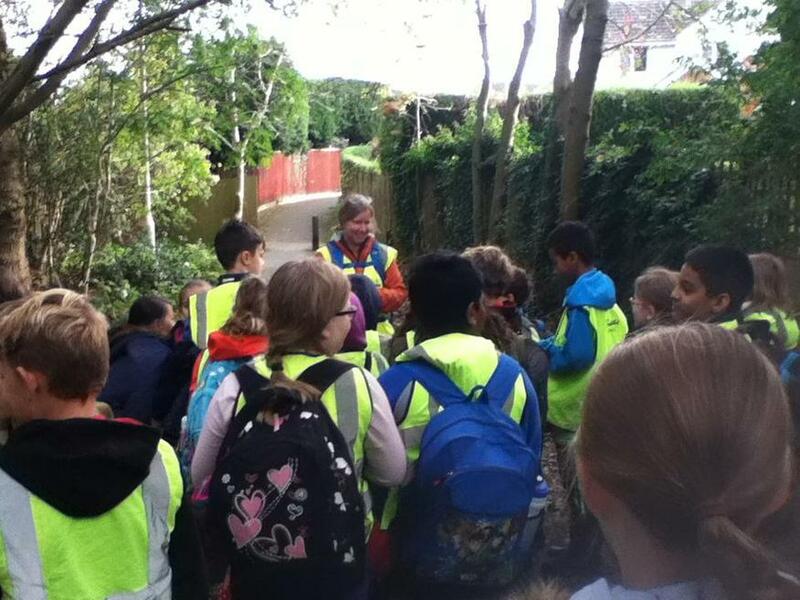 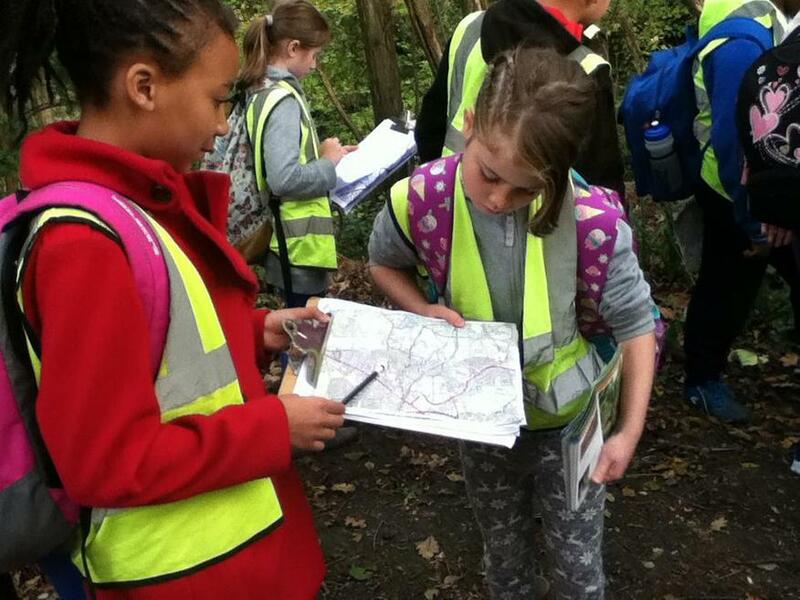 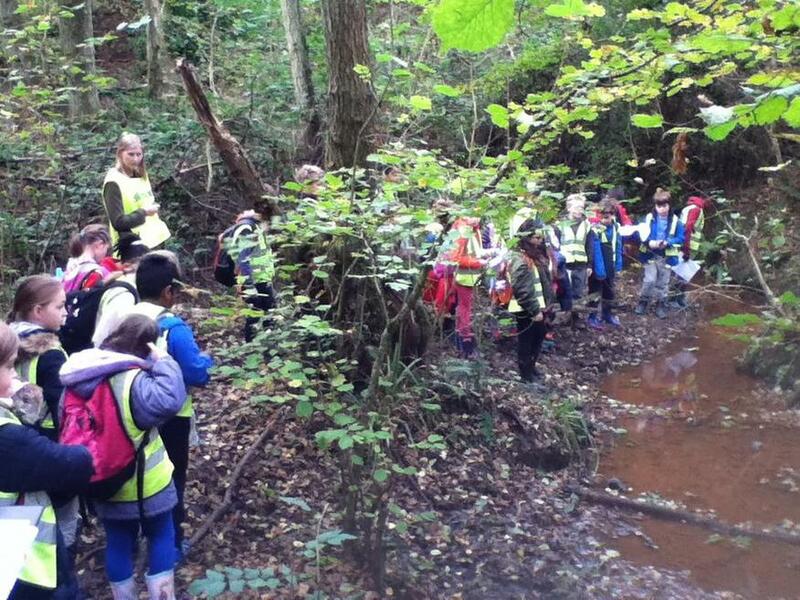 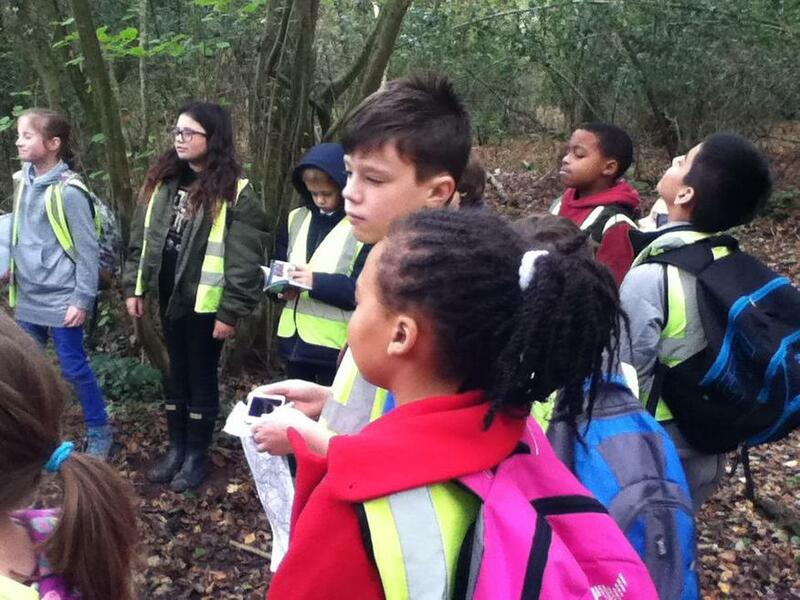 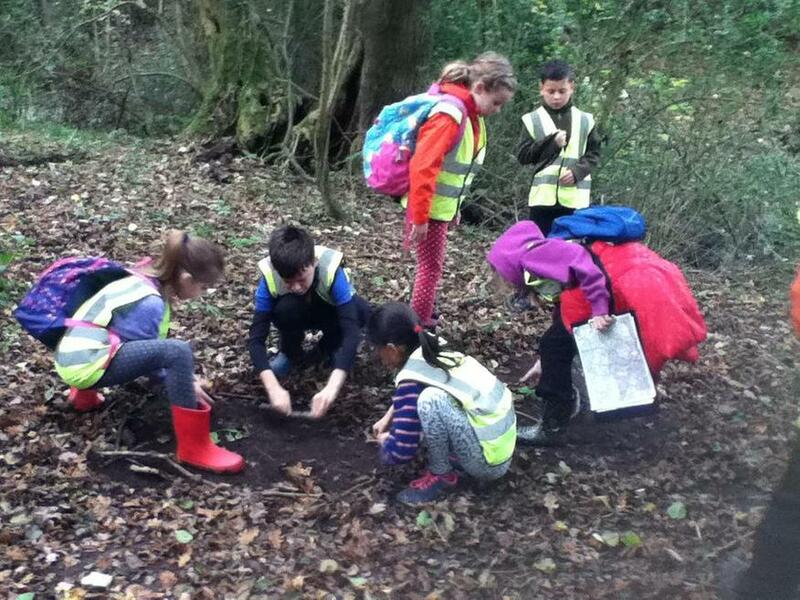 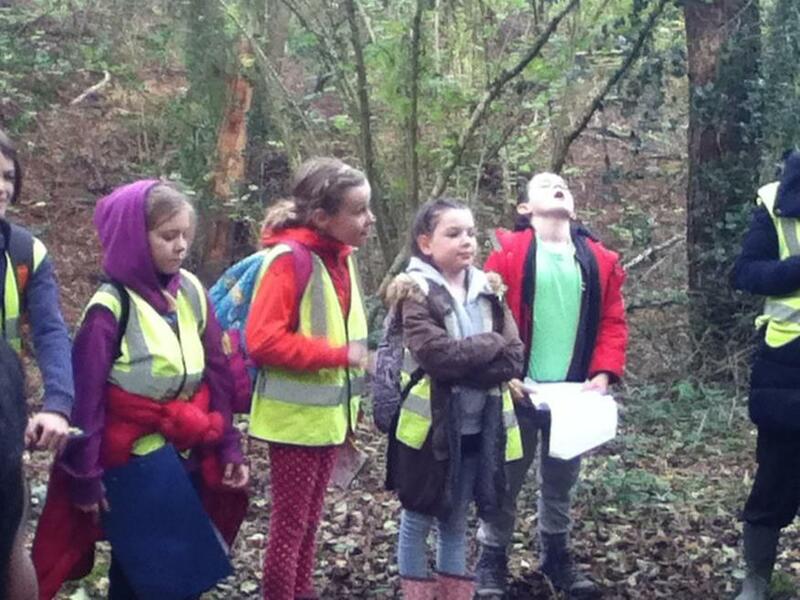 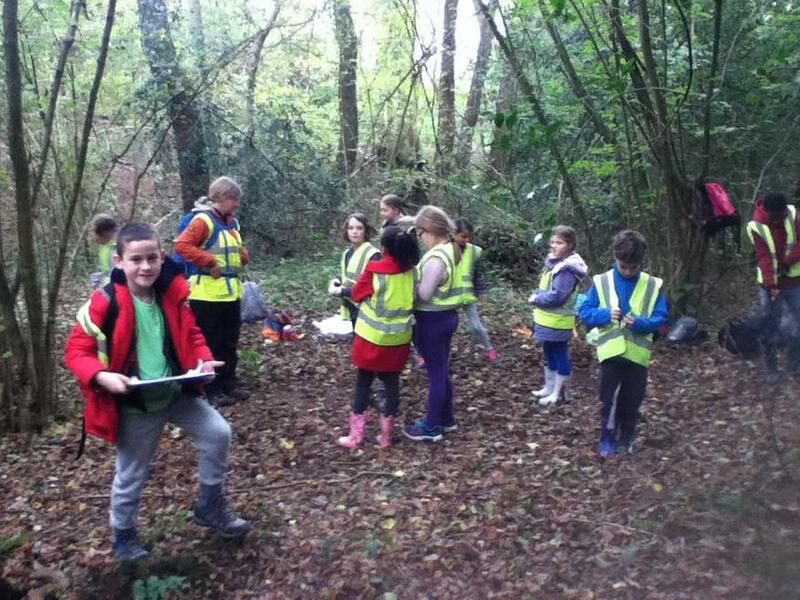 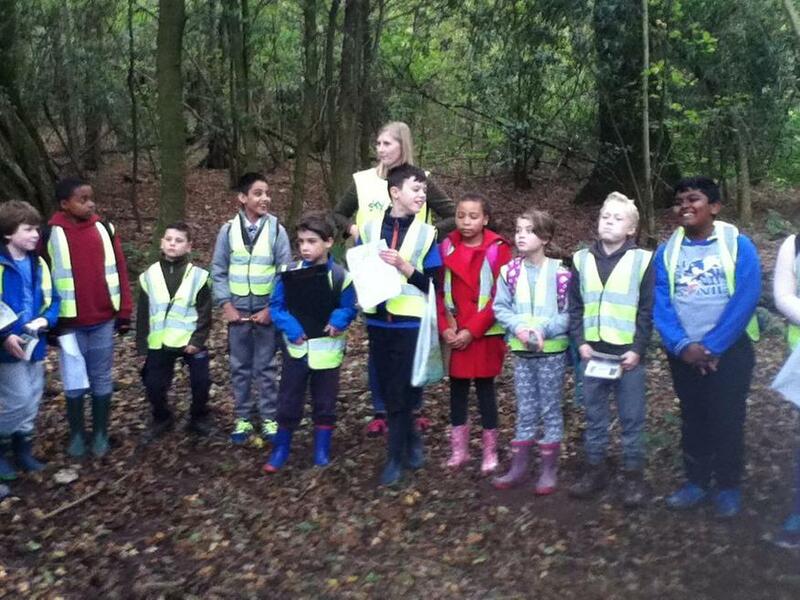 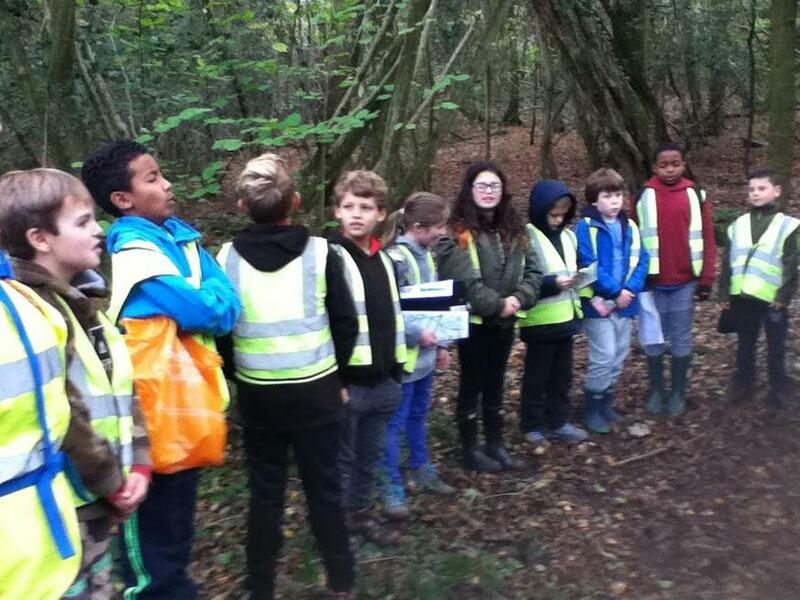 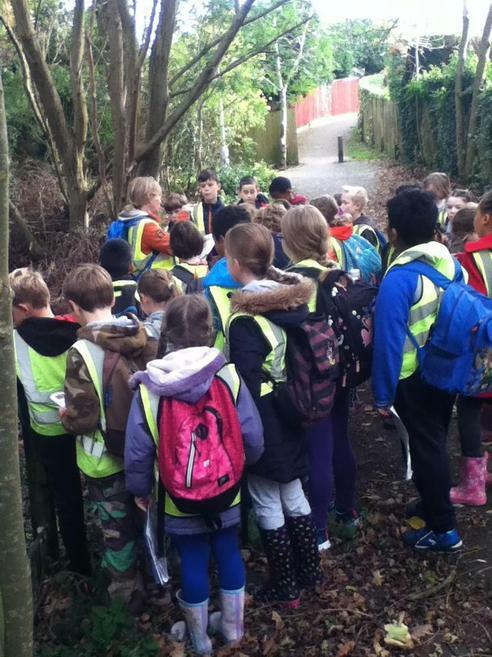 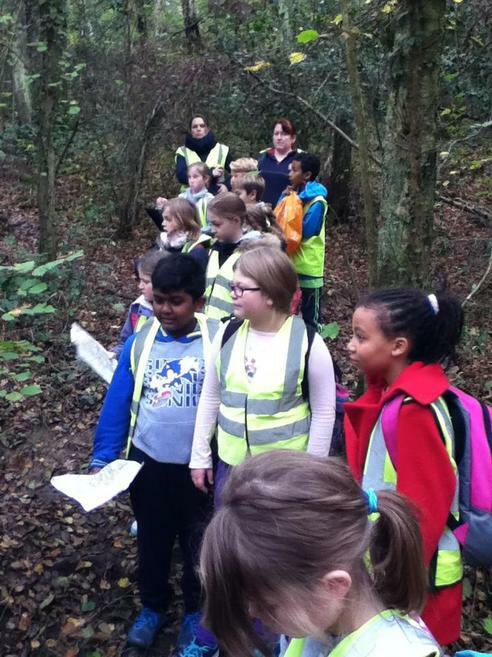 They mapped an area around the school, looked at different types of maps, learnt how to read an OS map key and plotted a possible route for our Welly Walk. 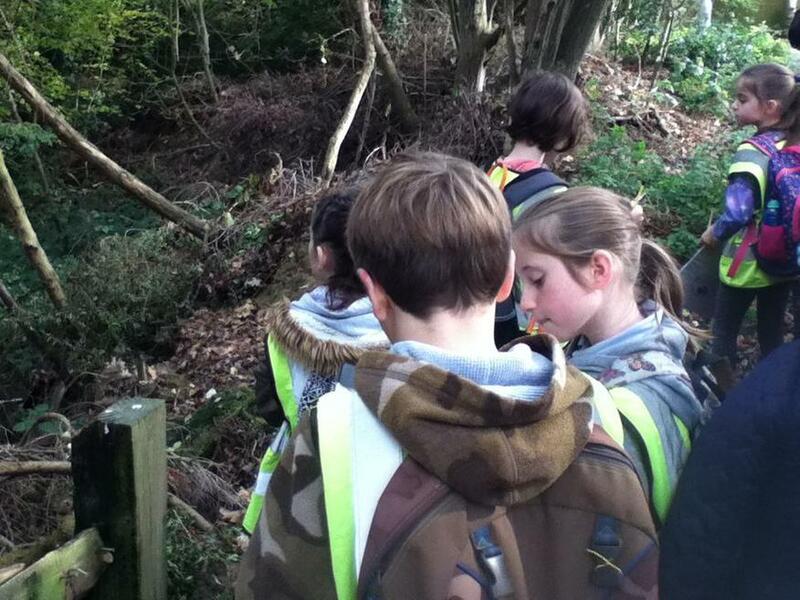 Rachel then took our ideas and came back on Wednesday with a route. 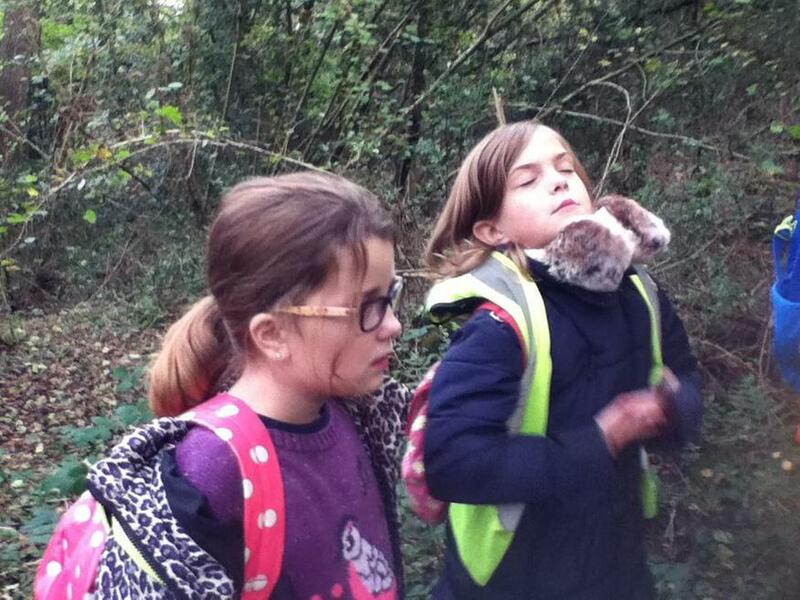 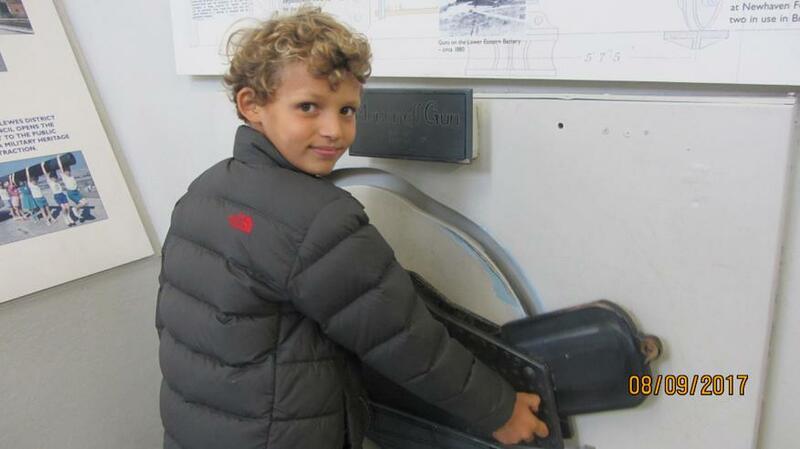 We were out and about our local area for a couple of hours and we had a lot of fun! 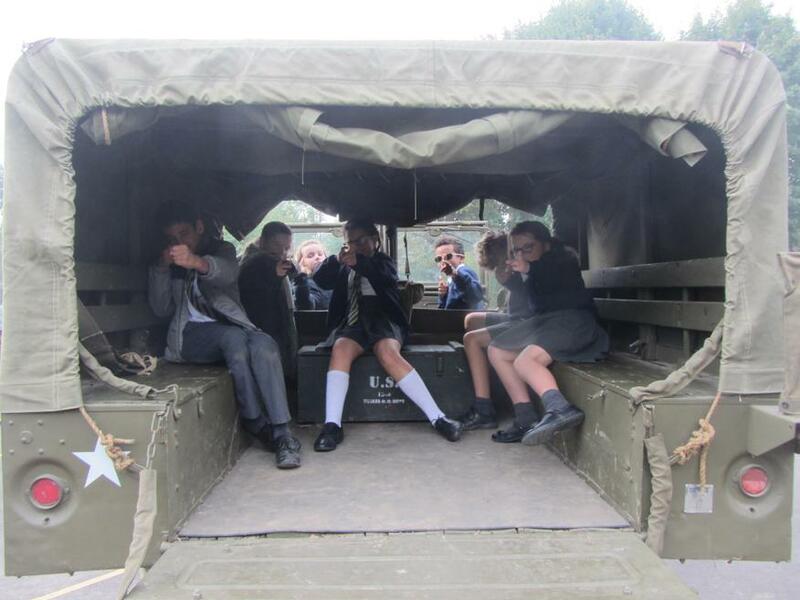 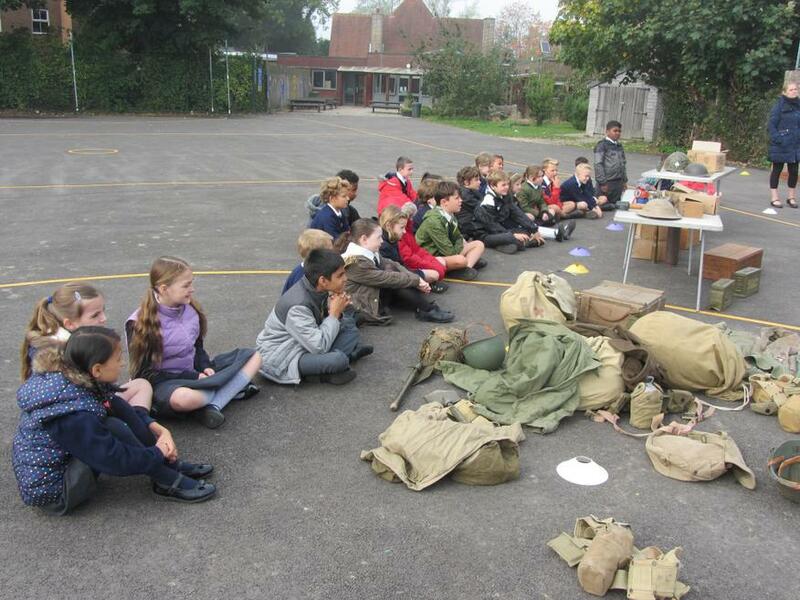 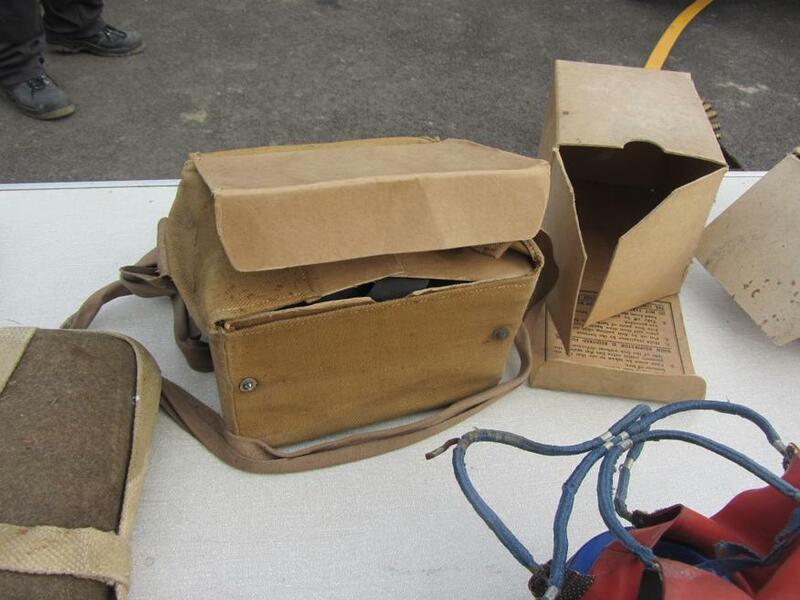 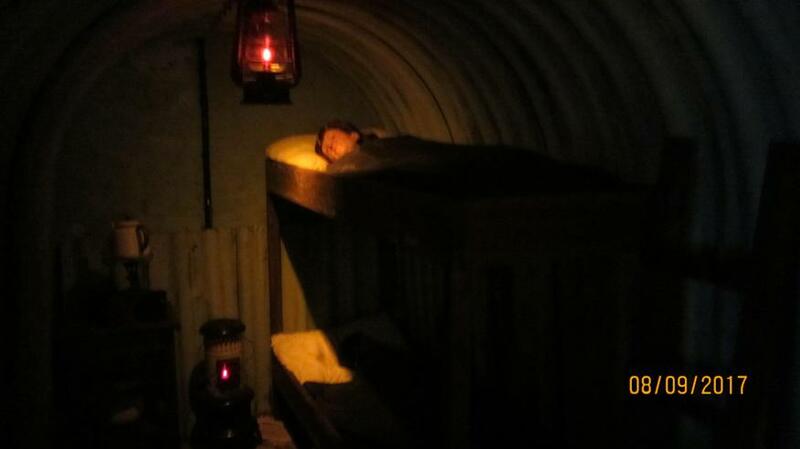 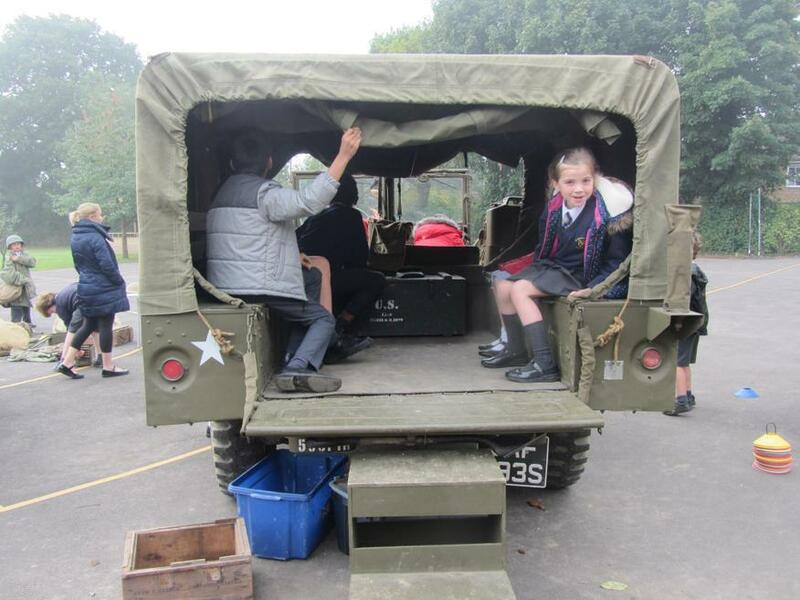 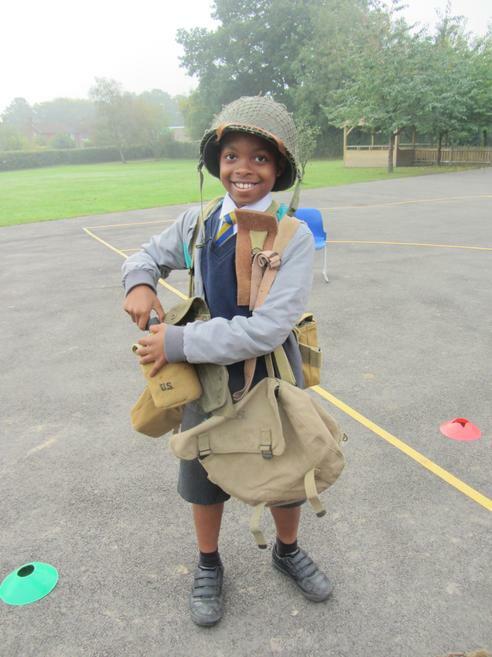 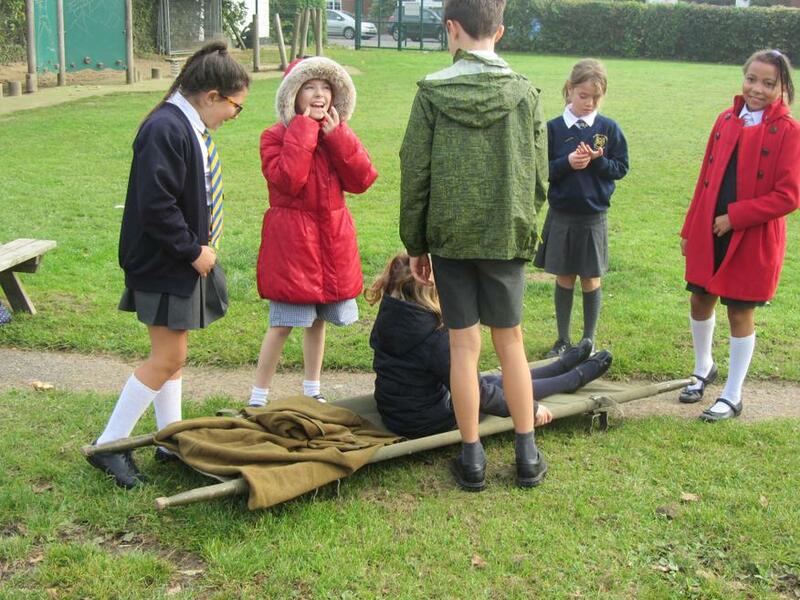 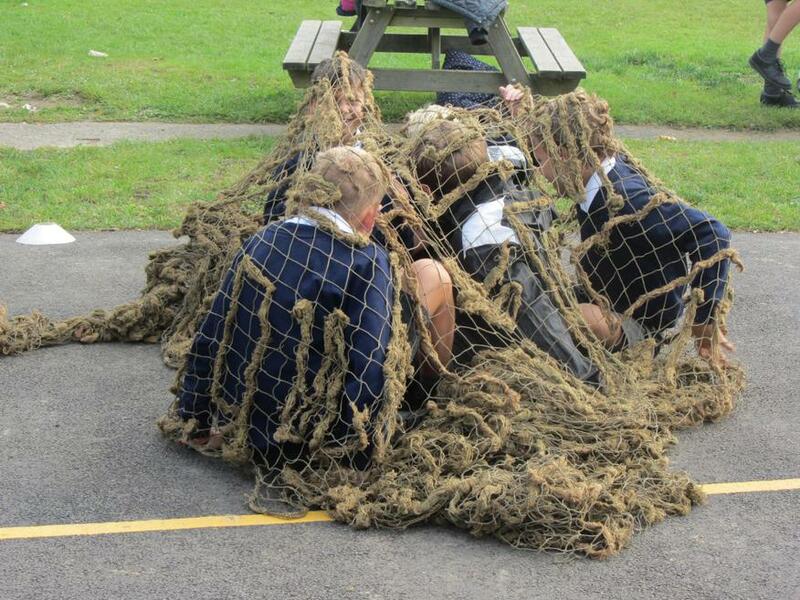 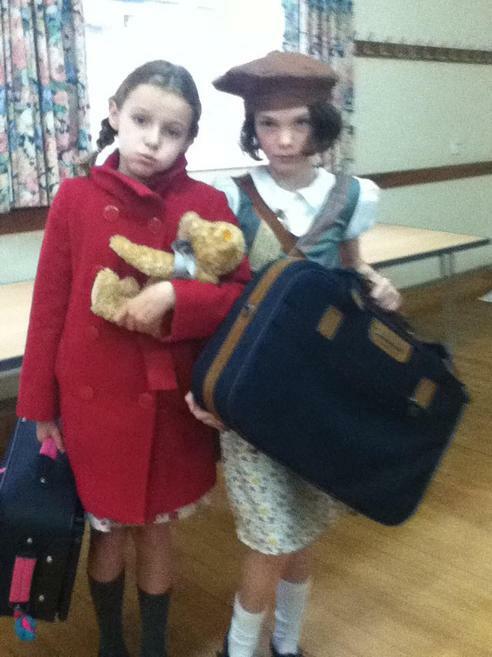 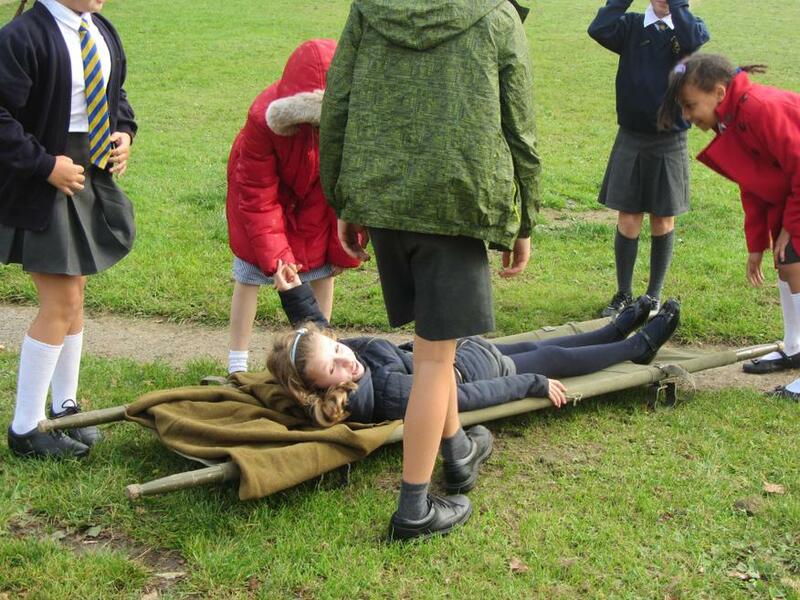 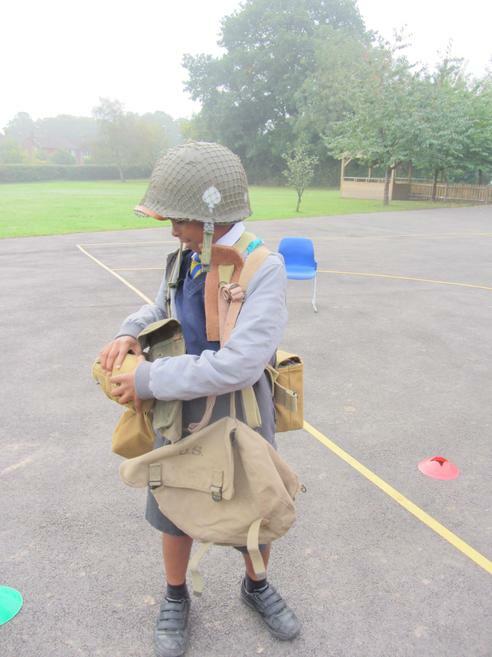 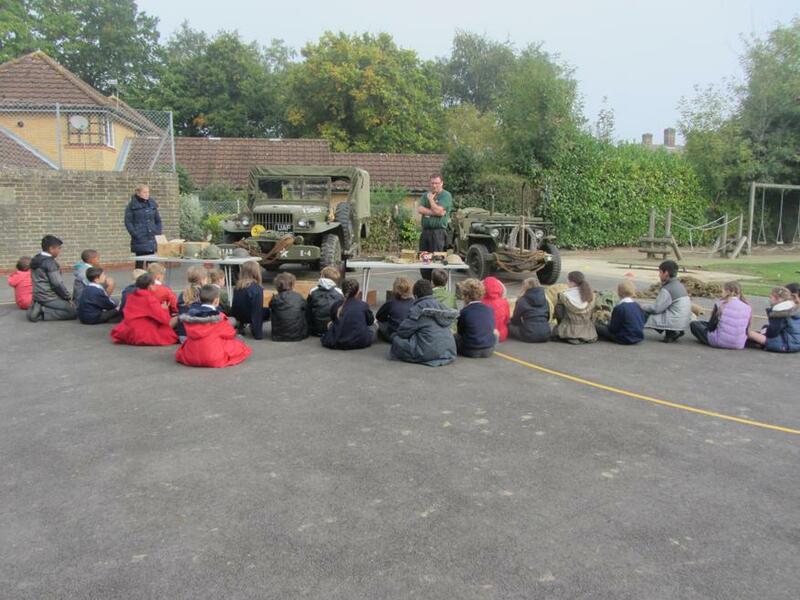 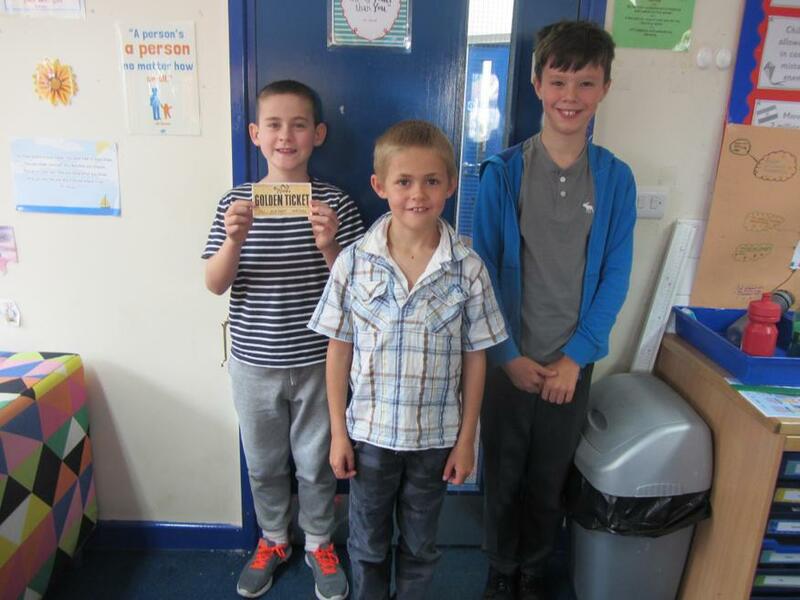 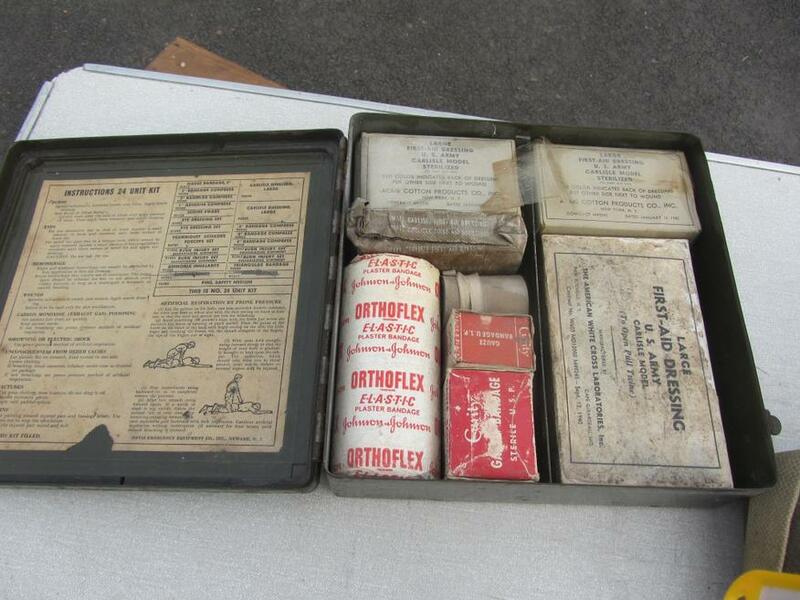 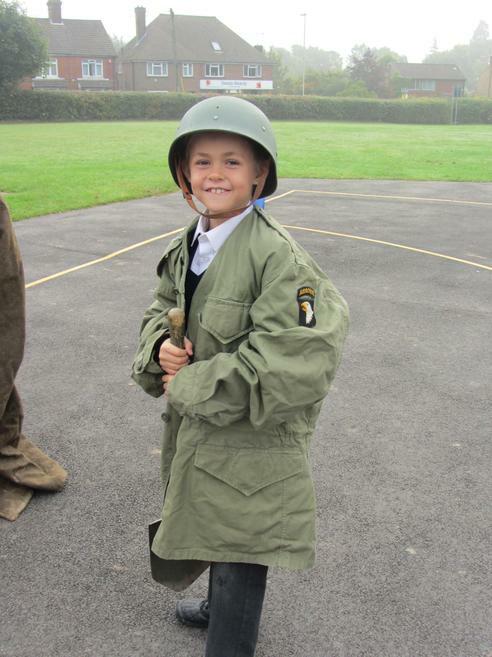 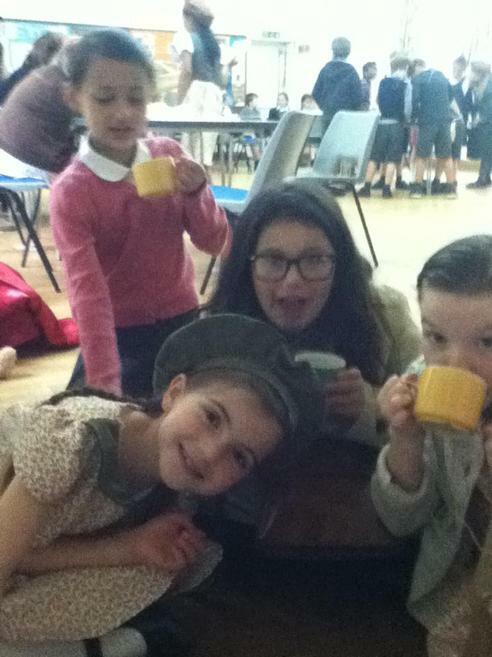 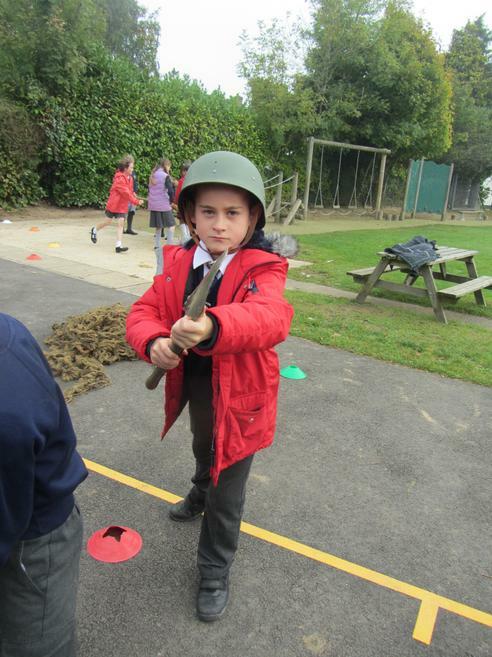 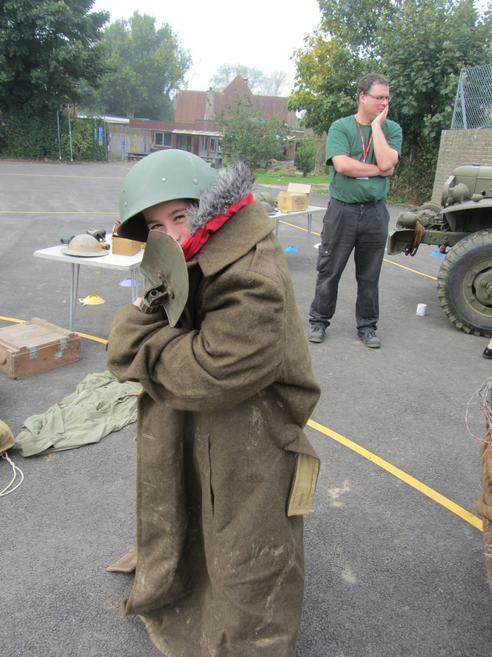 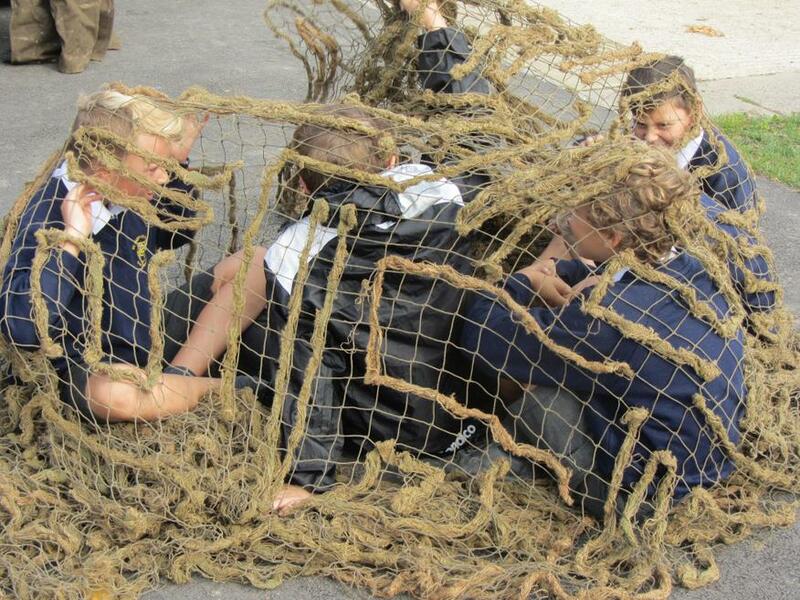 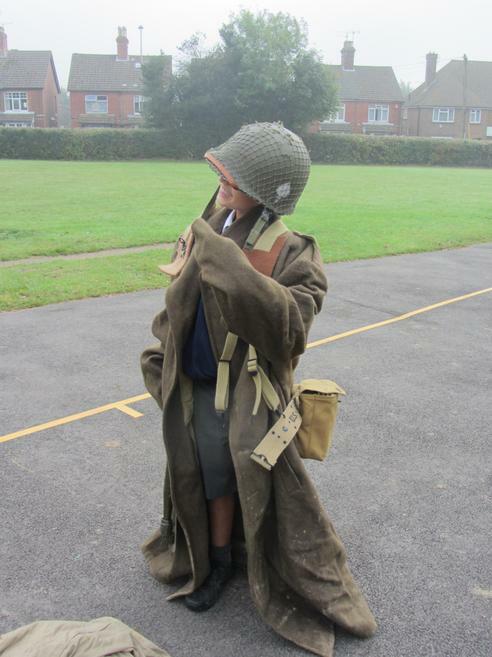 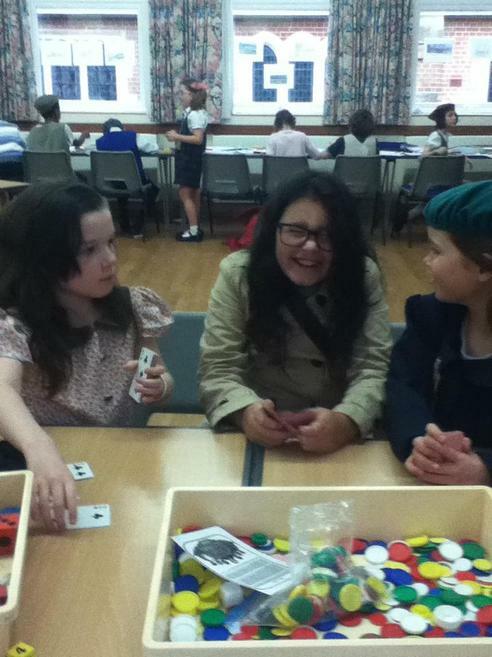 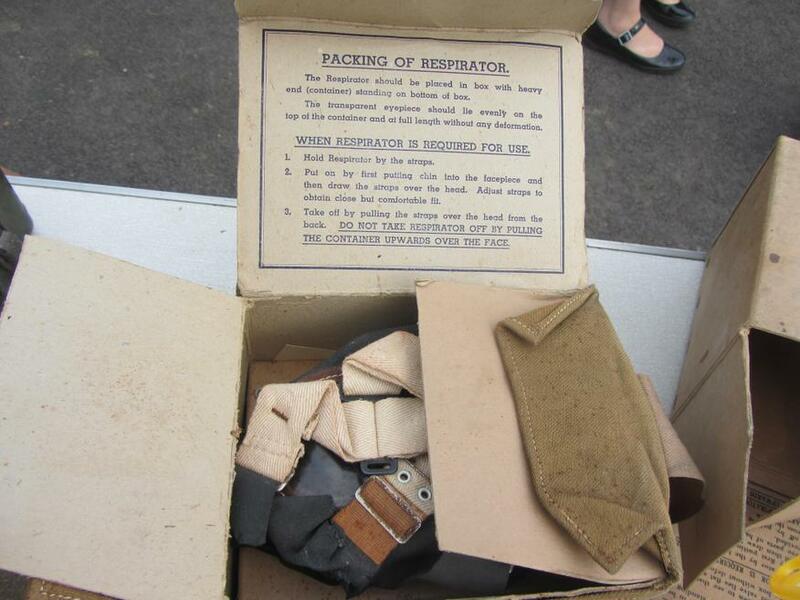 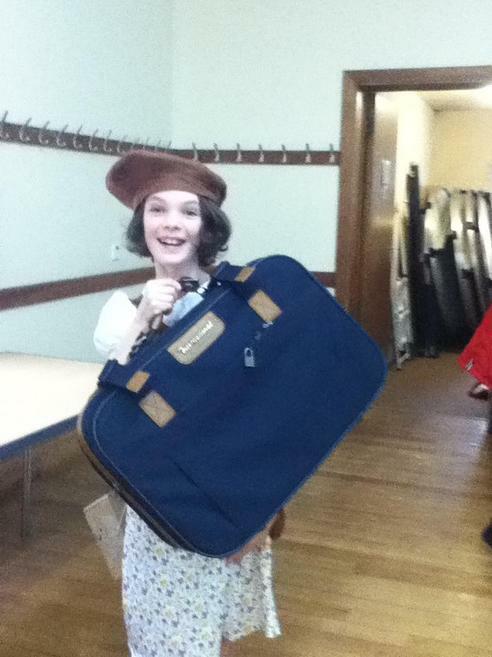 We have had a fantastic day being evacuated as part of our World War 2 topic. 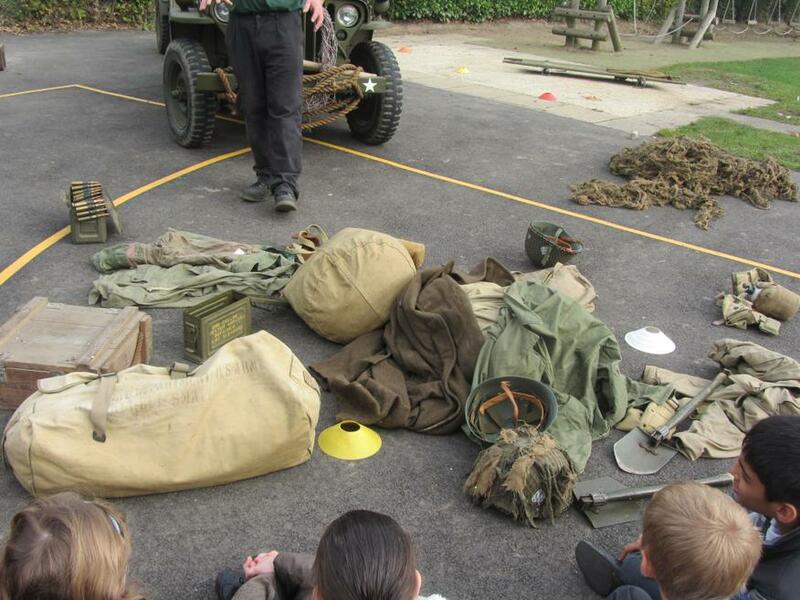 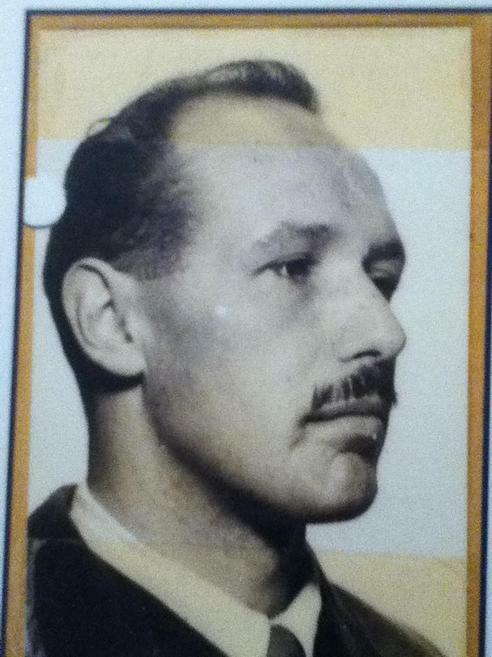 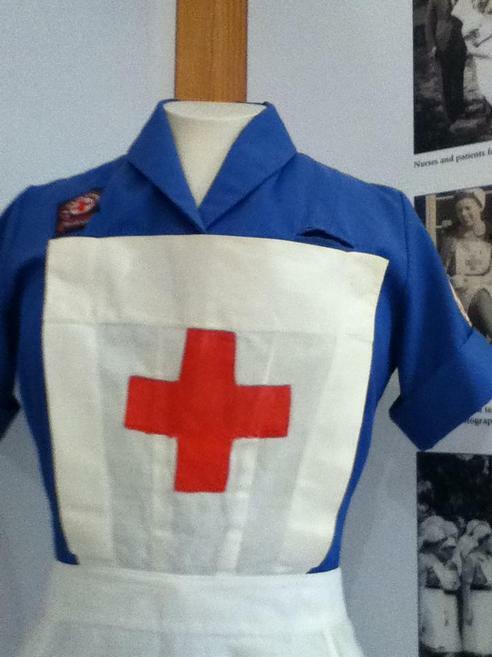 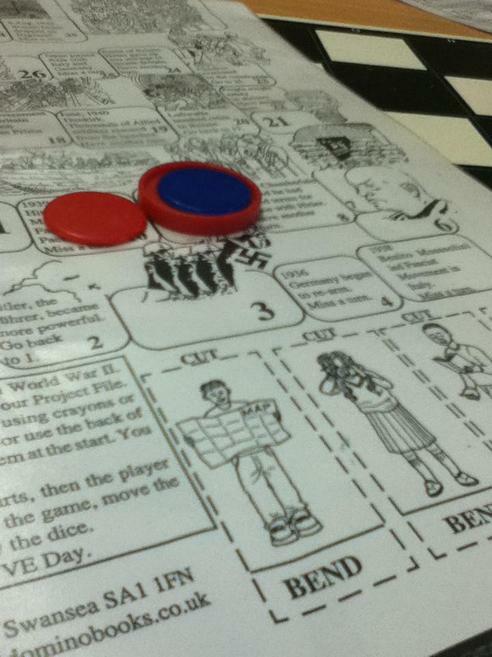 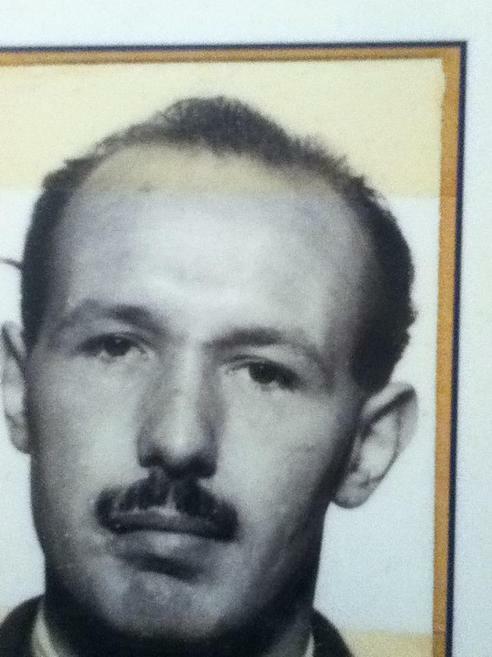 As soon as we came into school, we were split up into small family groups - just like children were during the war. 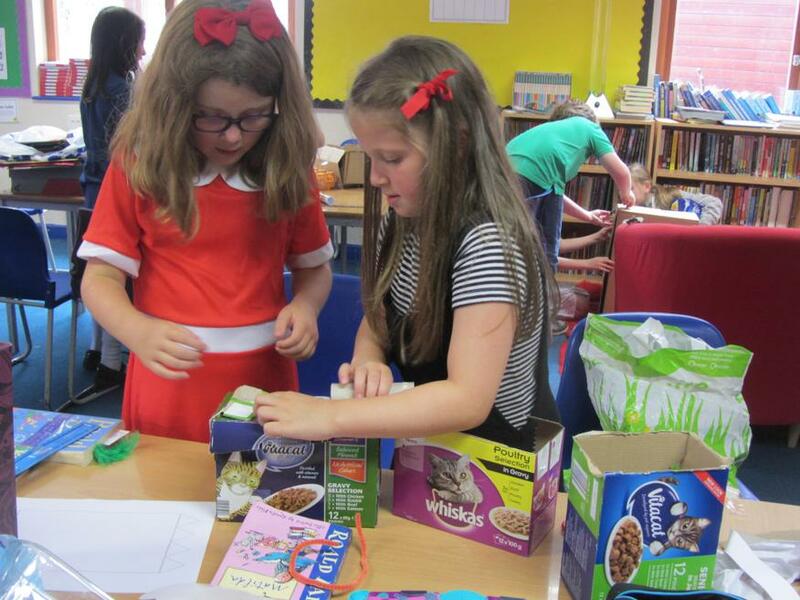 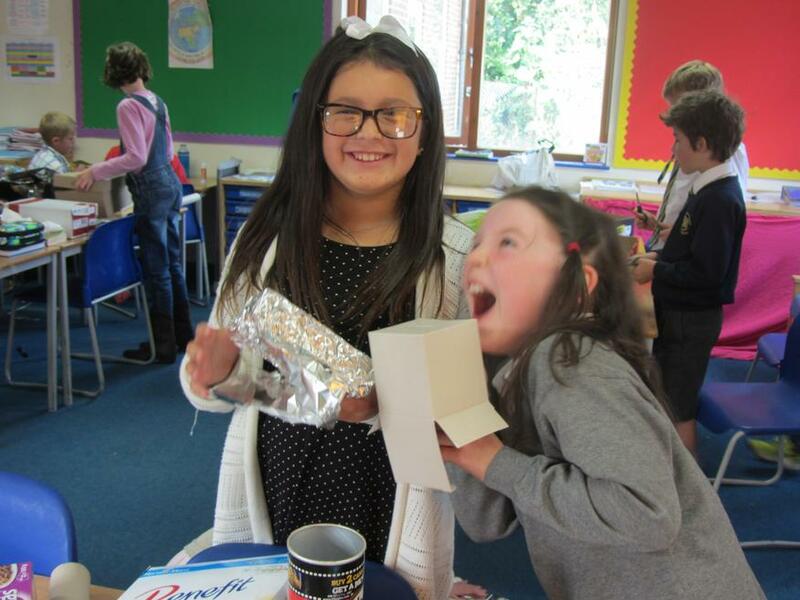 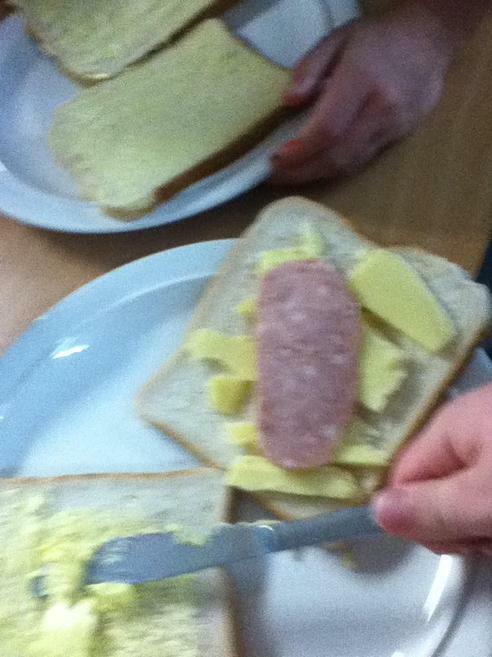 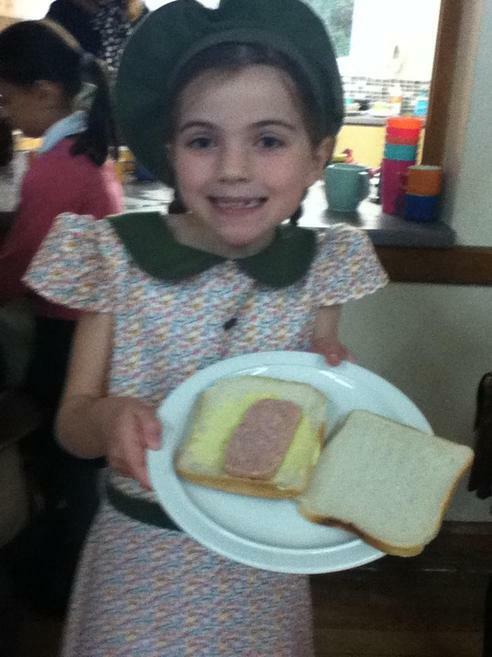 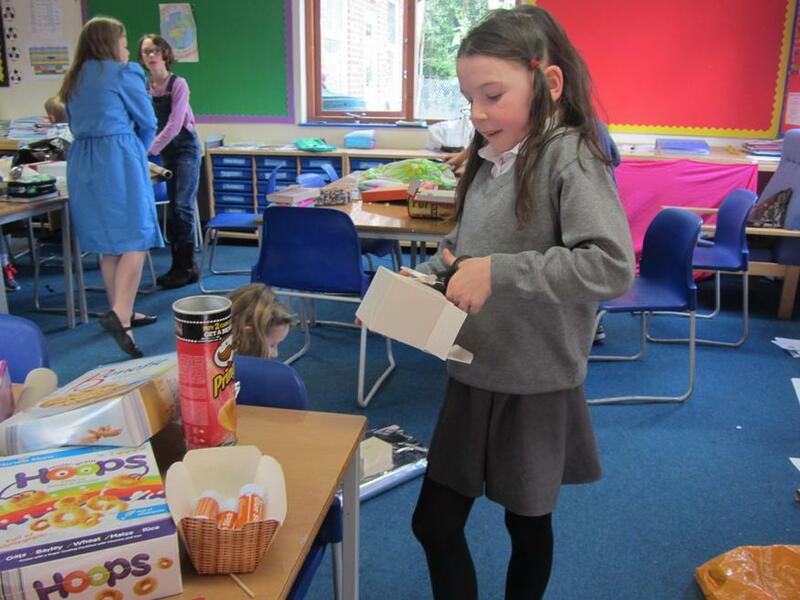 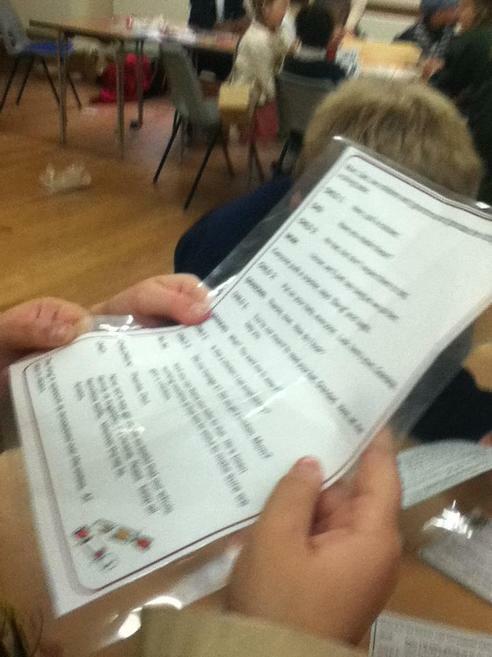 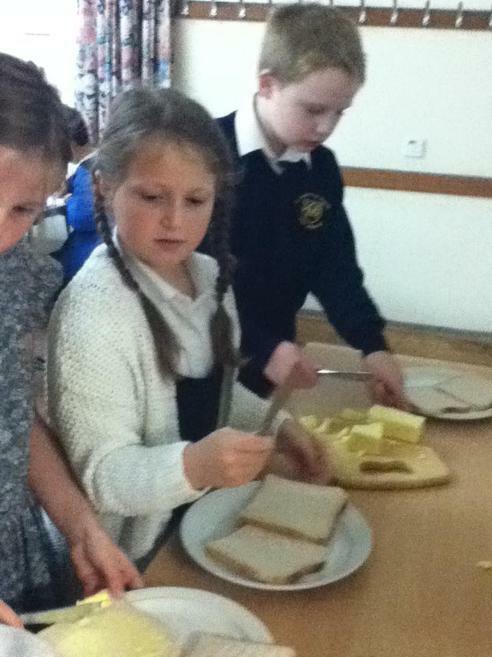 We were then evacuated to the hall, where we took part in lots of different activities relating to the war - including making and eating spam sandwiches! 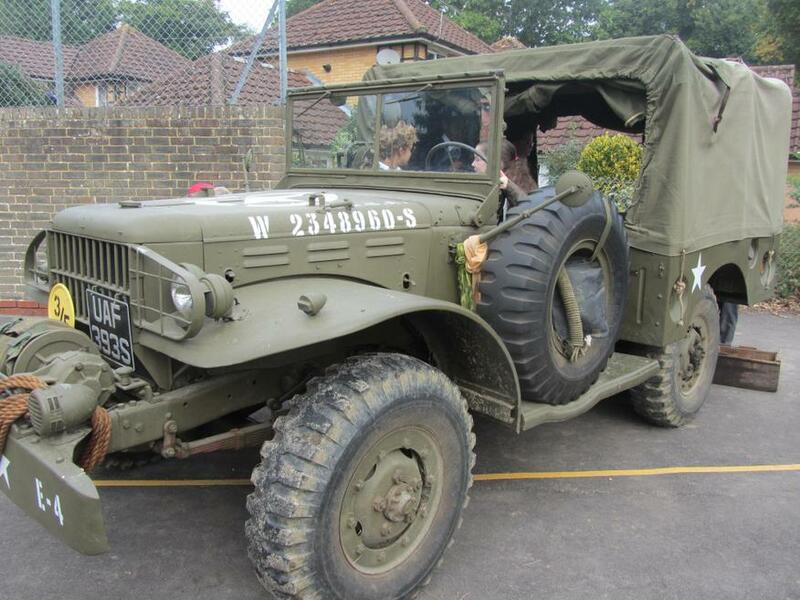 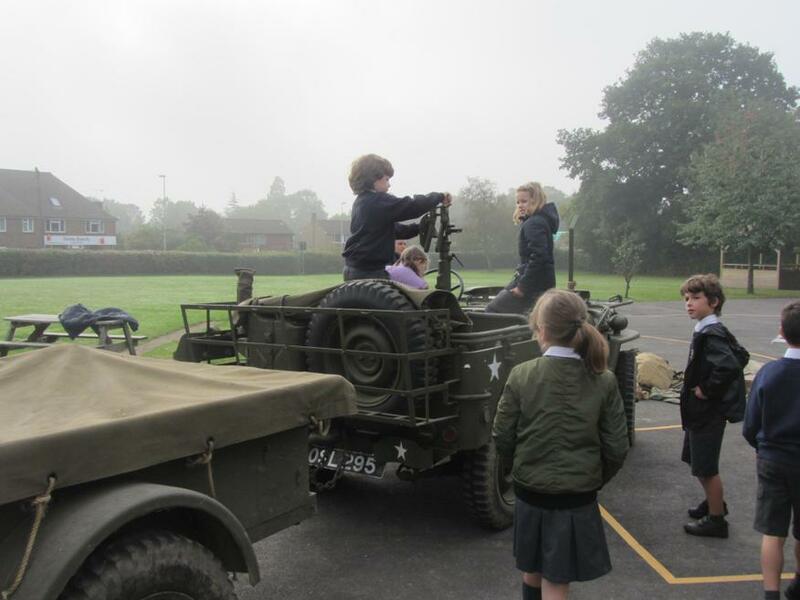 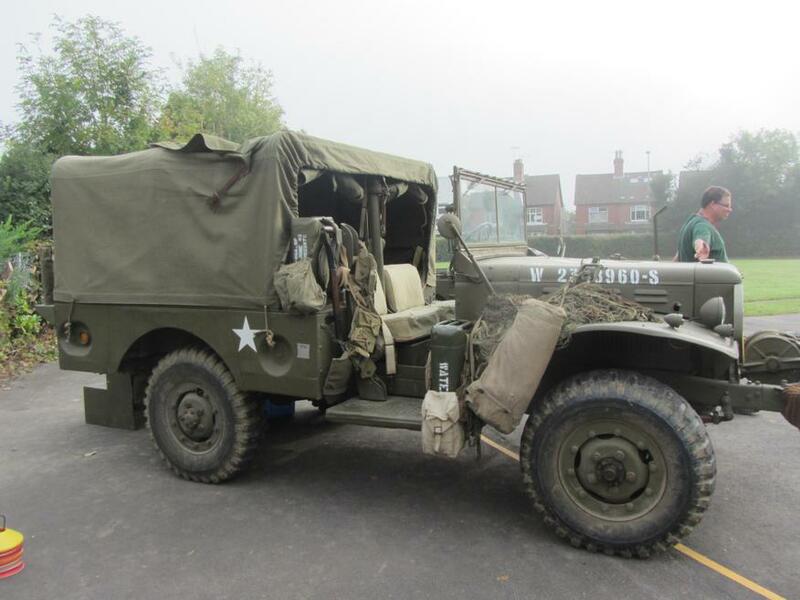 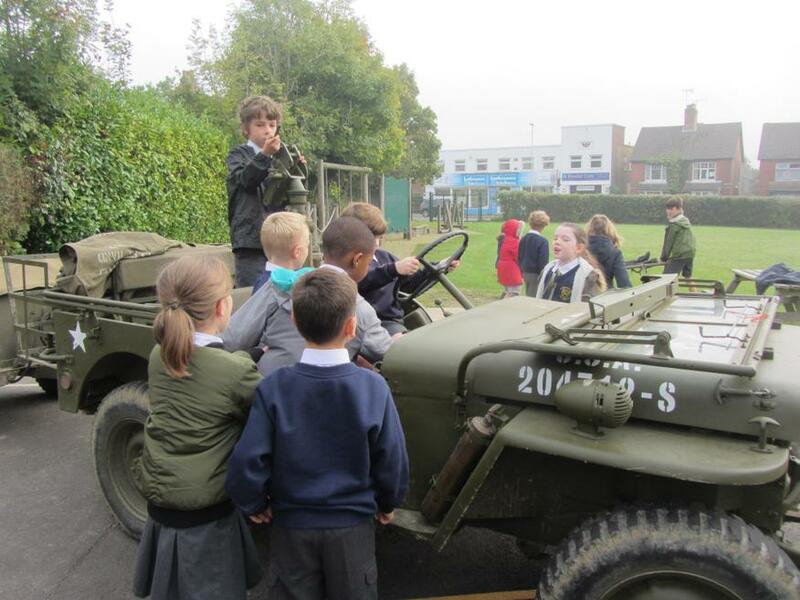 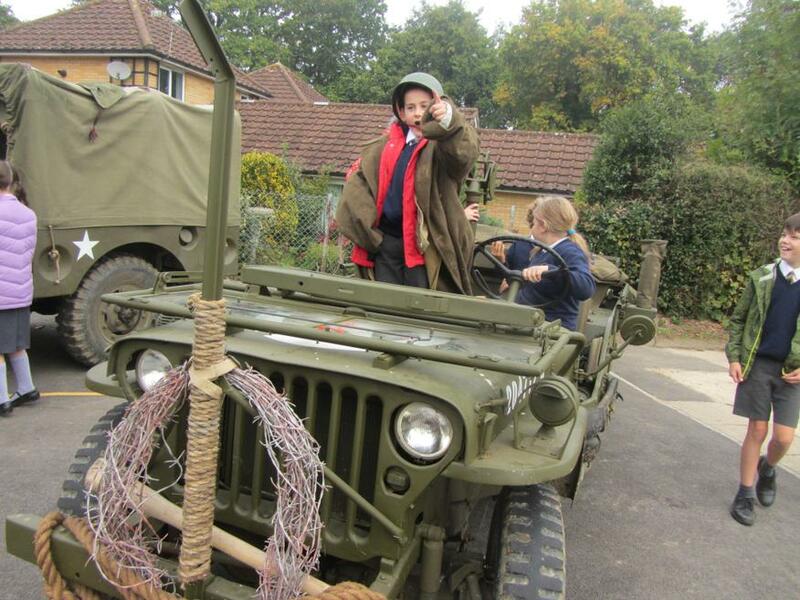 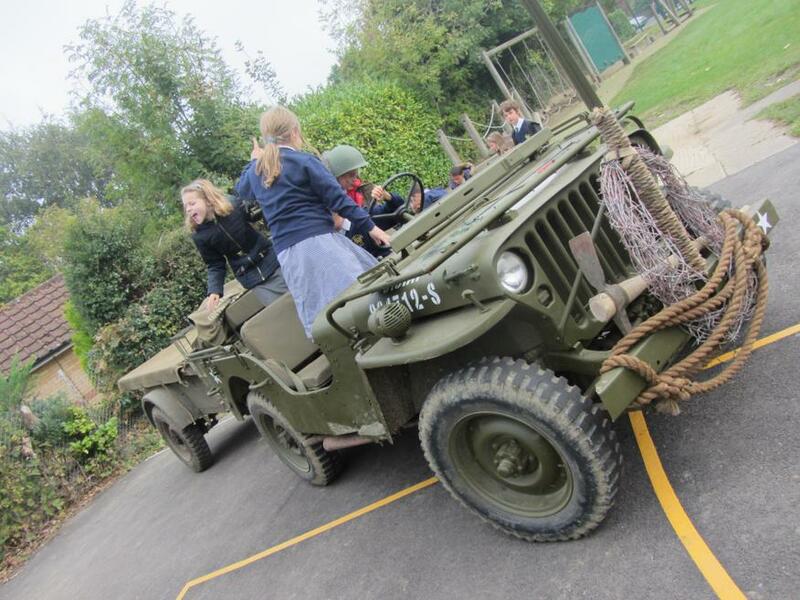 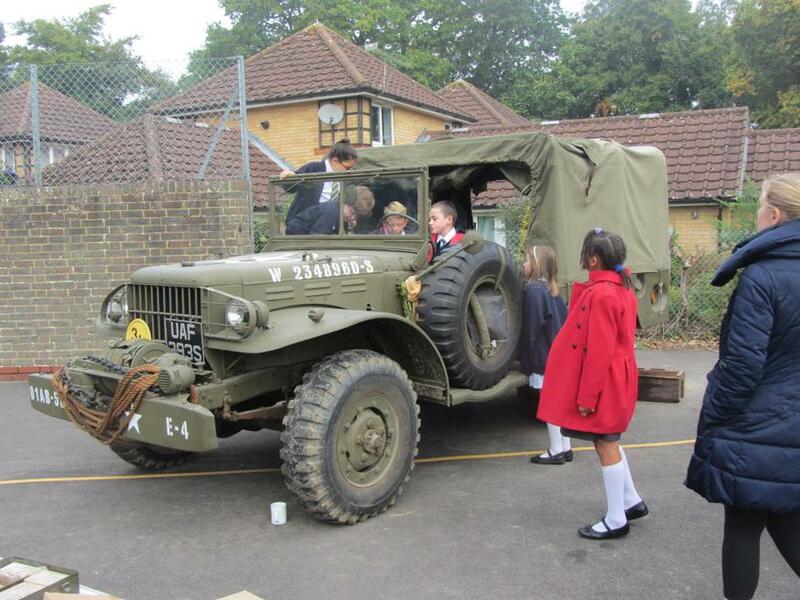 We thoroughly enjoyed our visit from Mr Hobbs who brought in his WW2 vehicles and artefacts for us to look at (and climb on, try on, examine etc...! 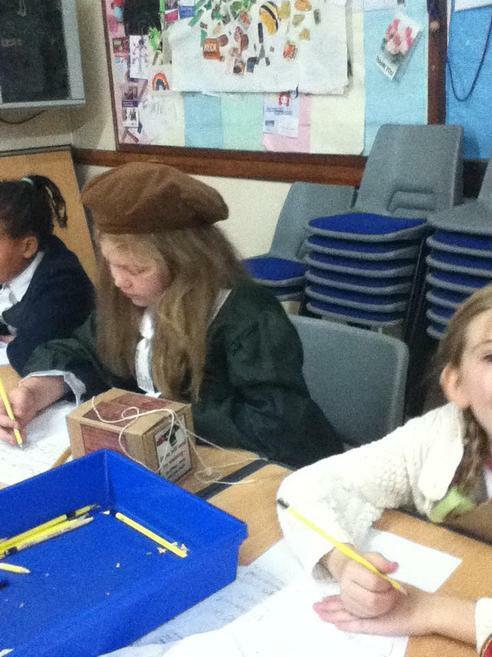 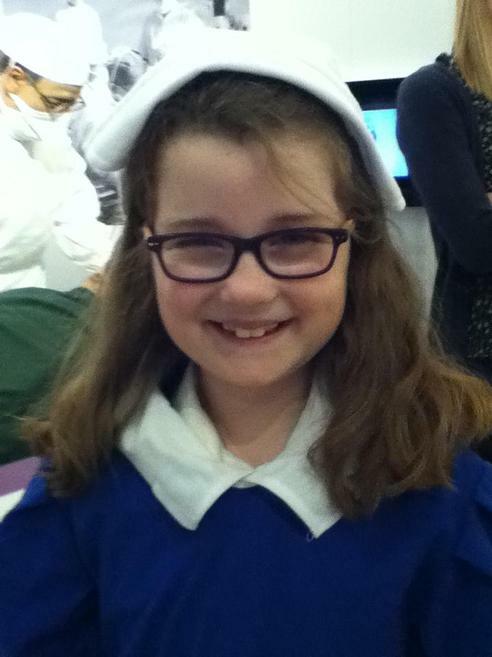 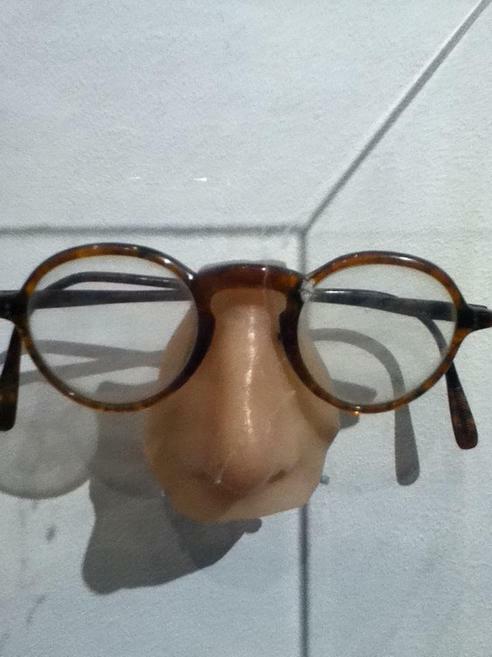 We had a fantastic day exploring the world of Roald Dahl. 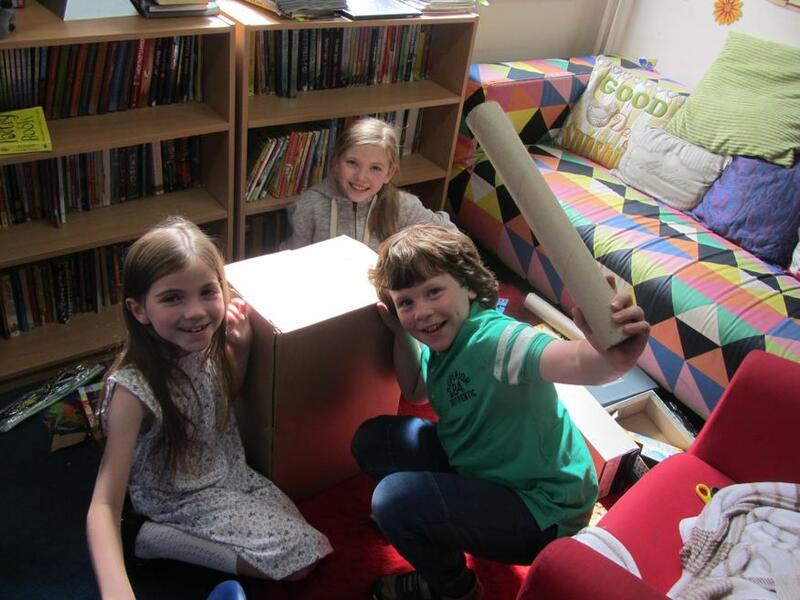 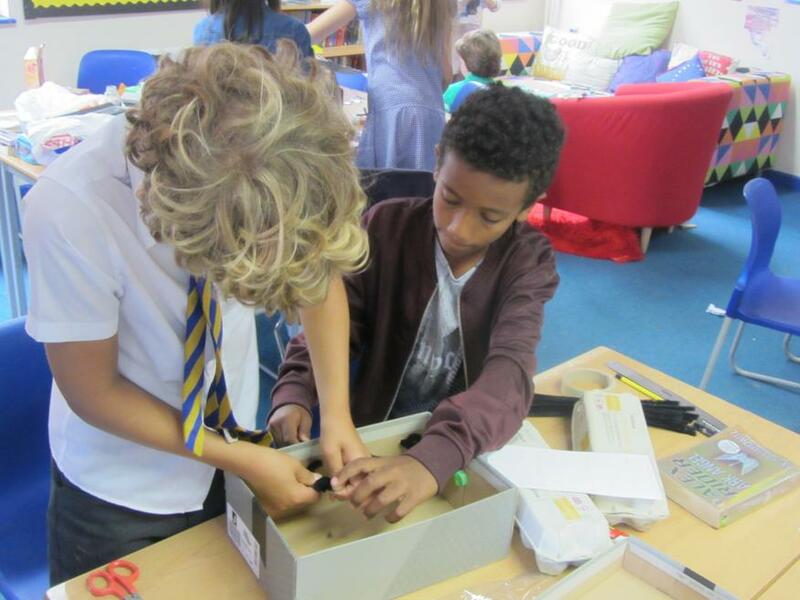 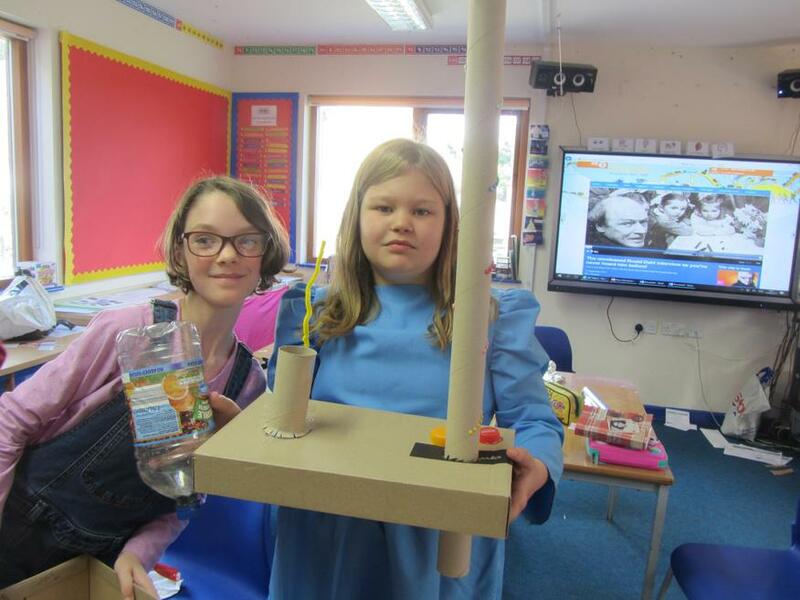 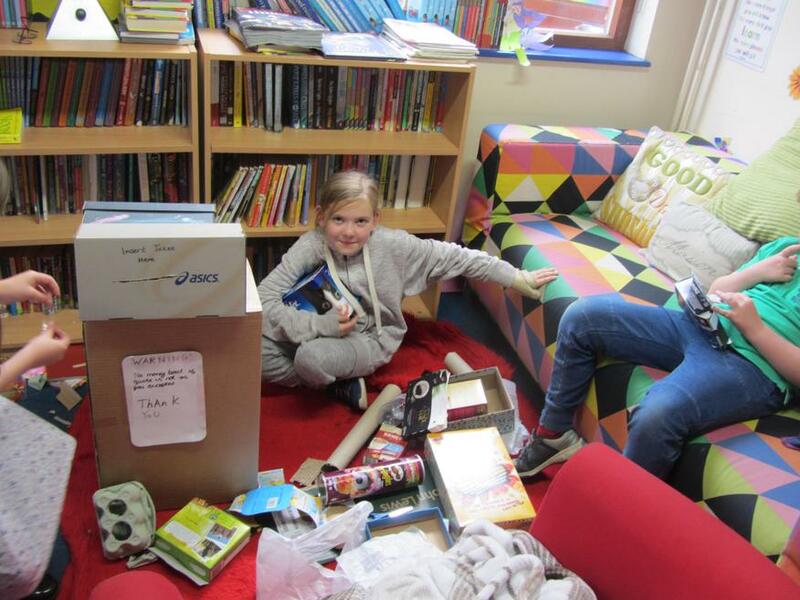 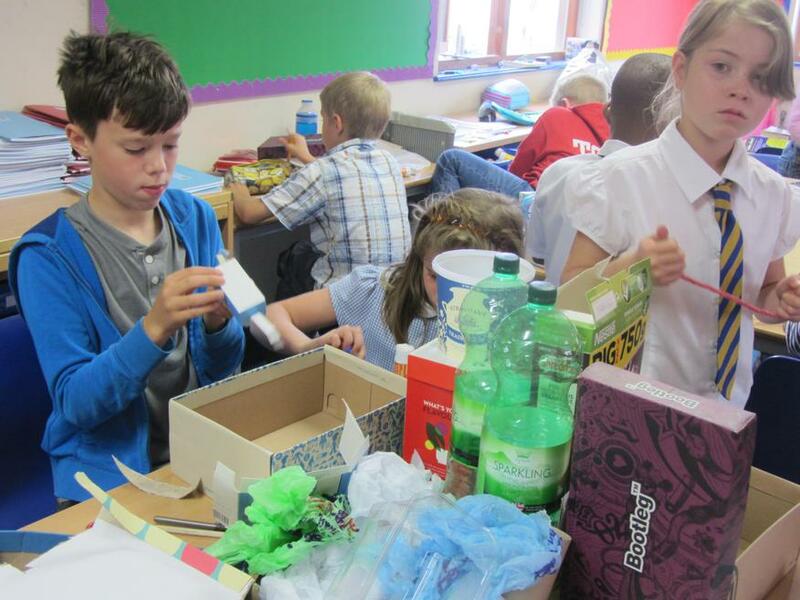 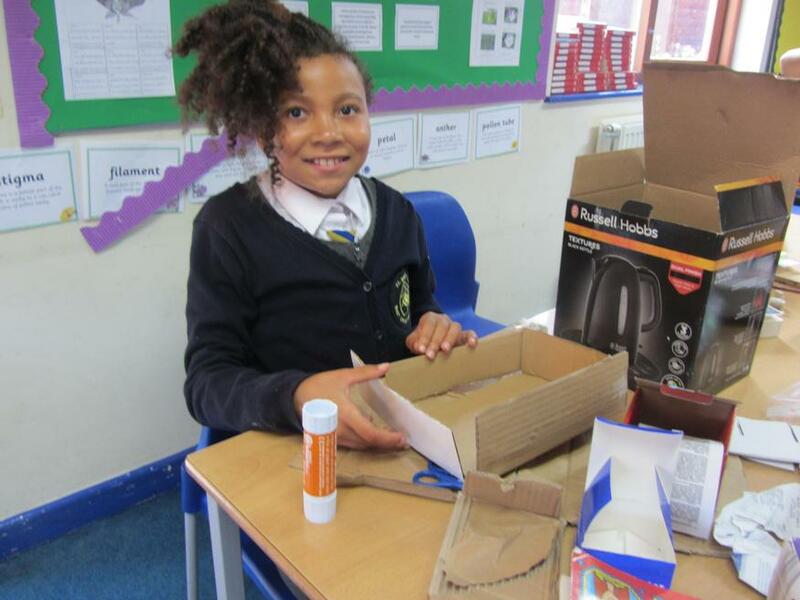 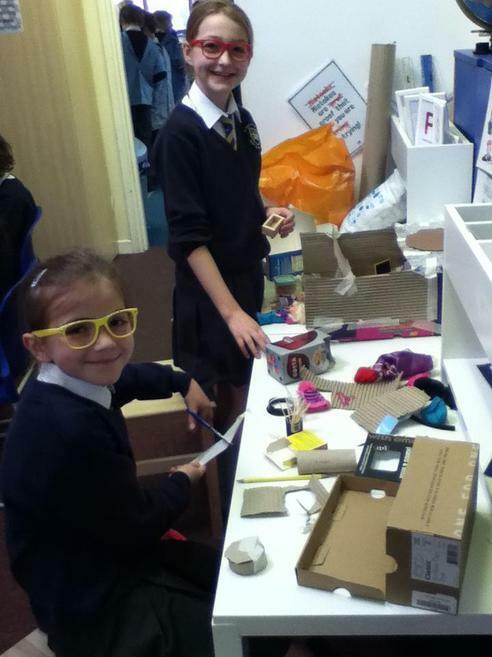 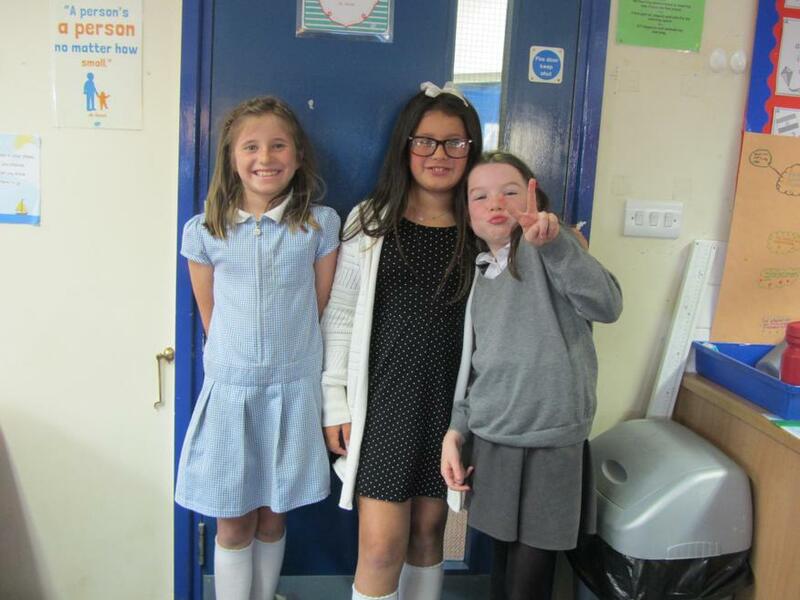 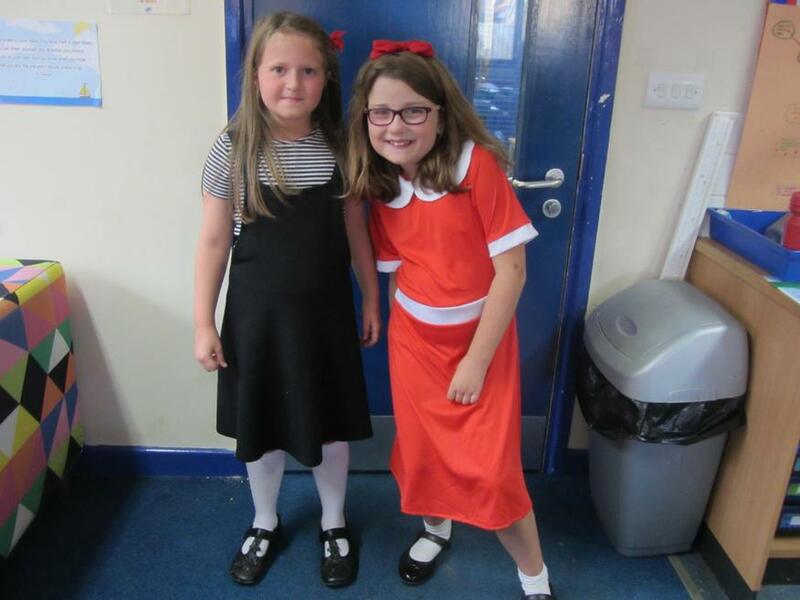 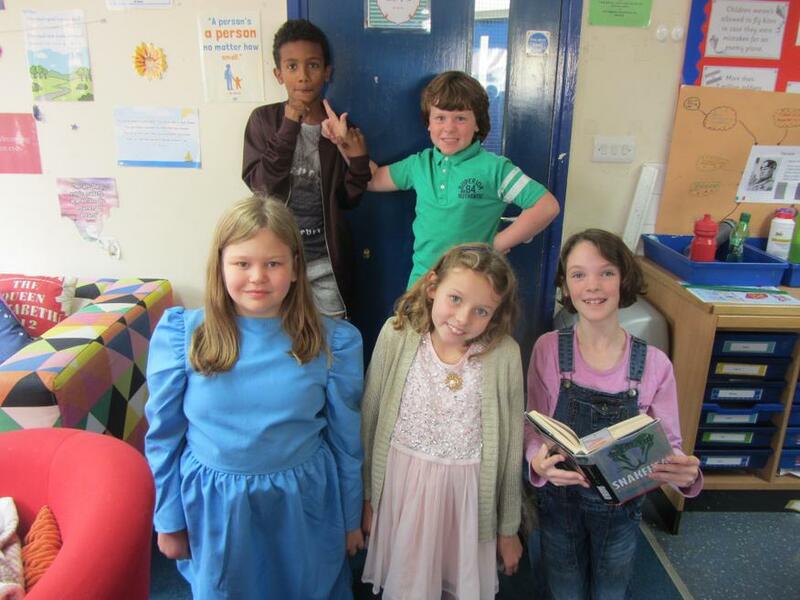 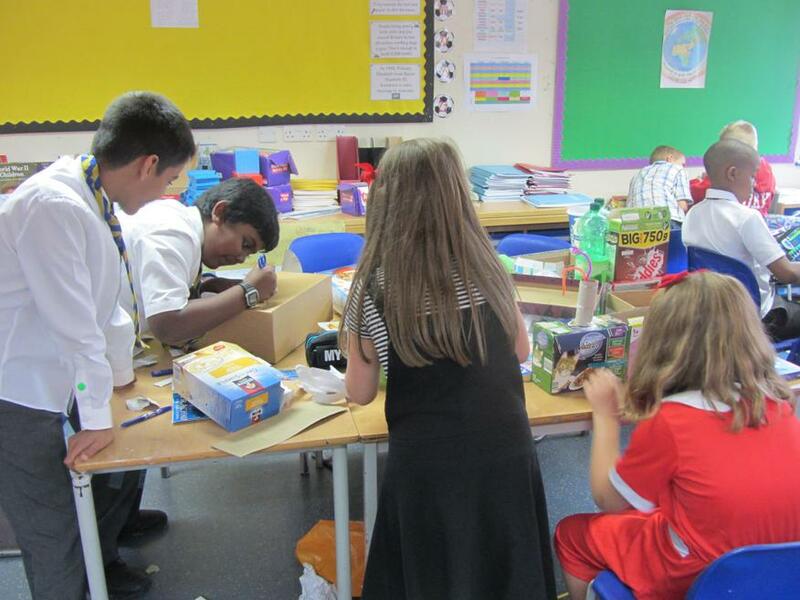 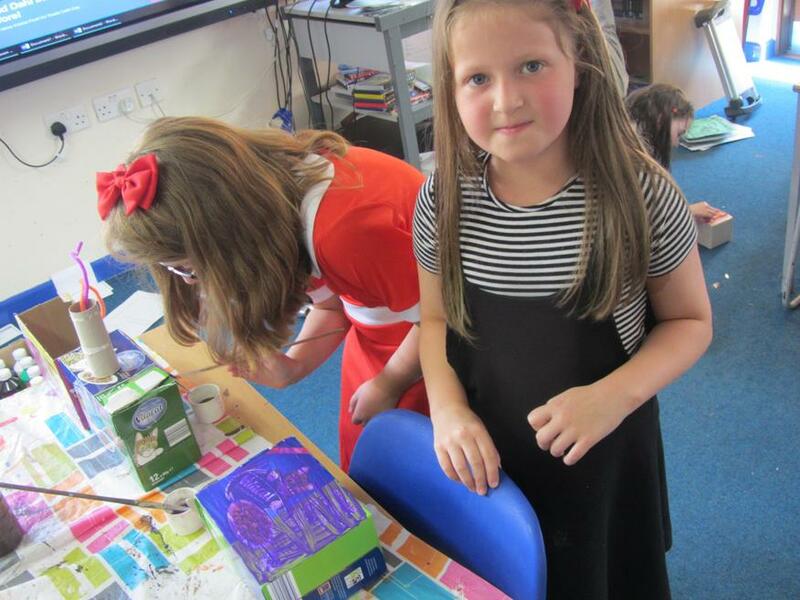 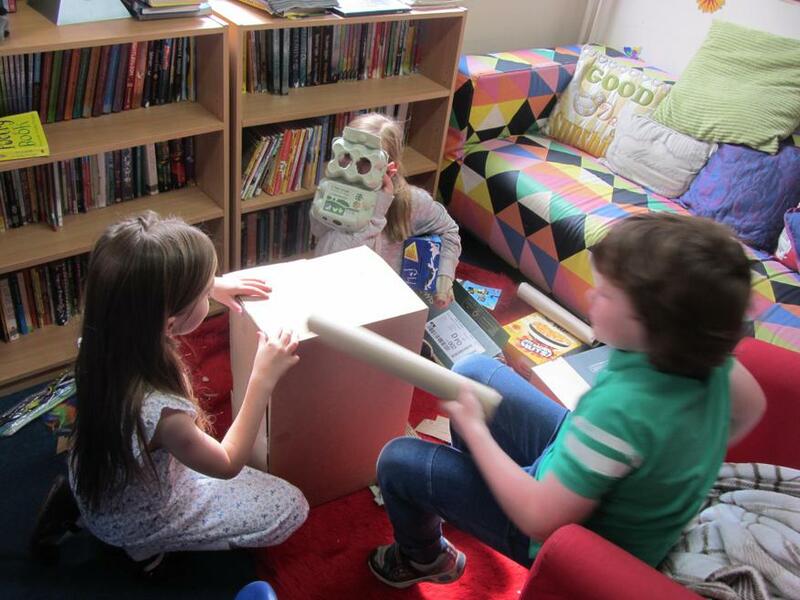 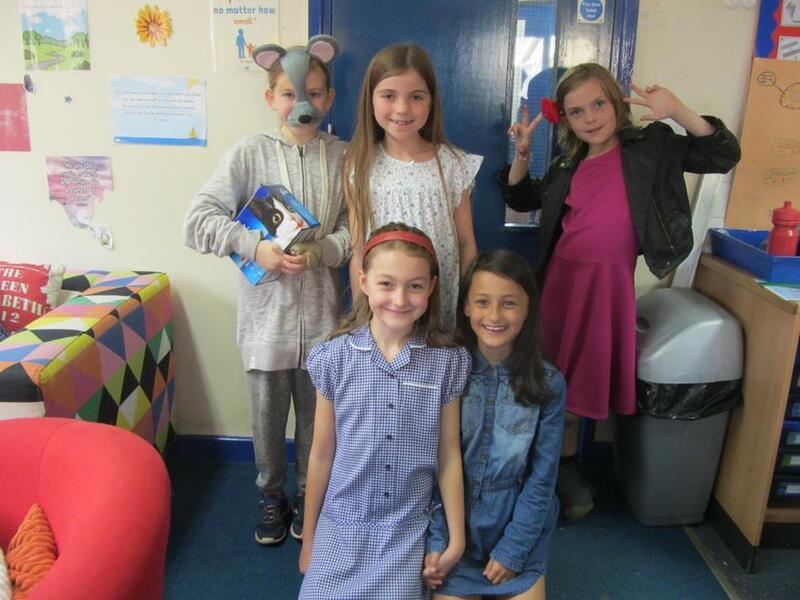 We made up our own characters for our own books, listened to a 'never heard before' interview between Roald Dahl and his niece Emma and created some marvelous inventions. 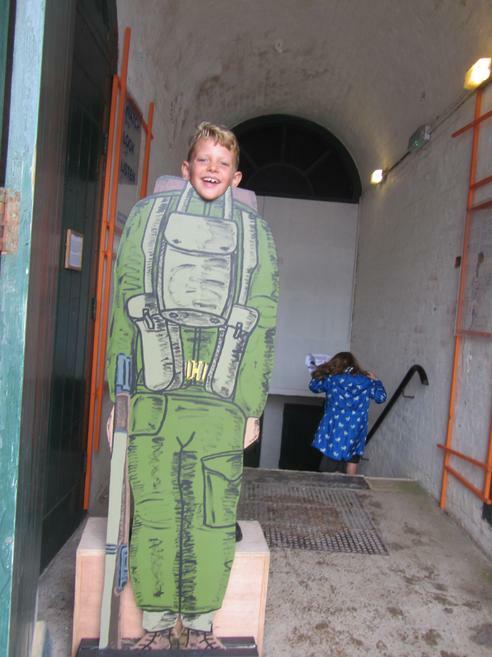 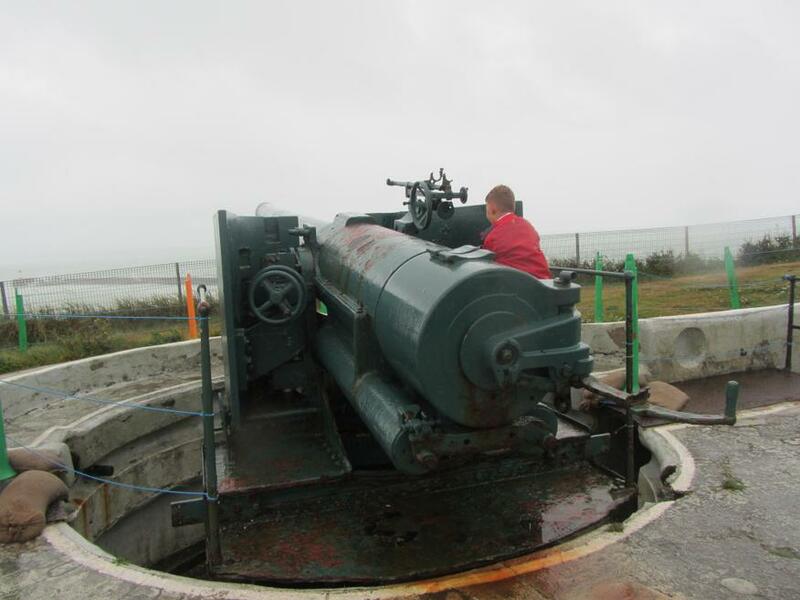 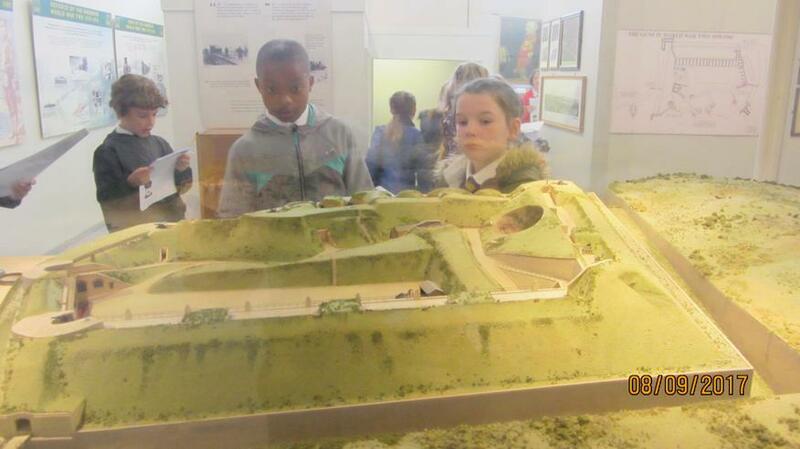 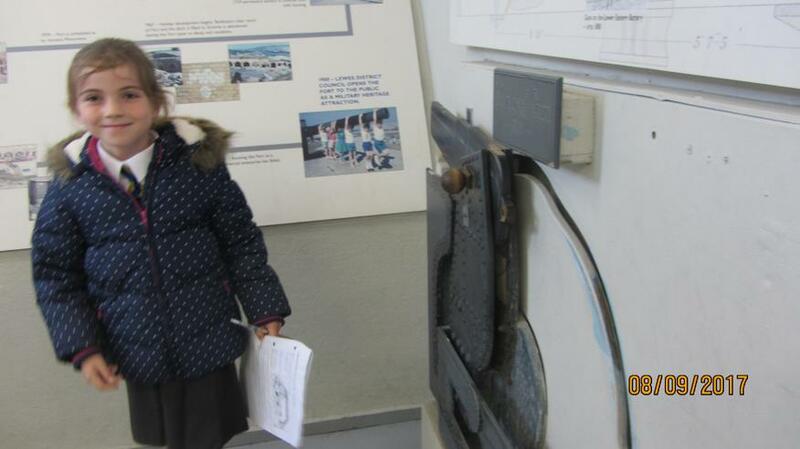 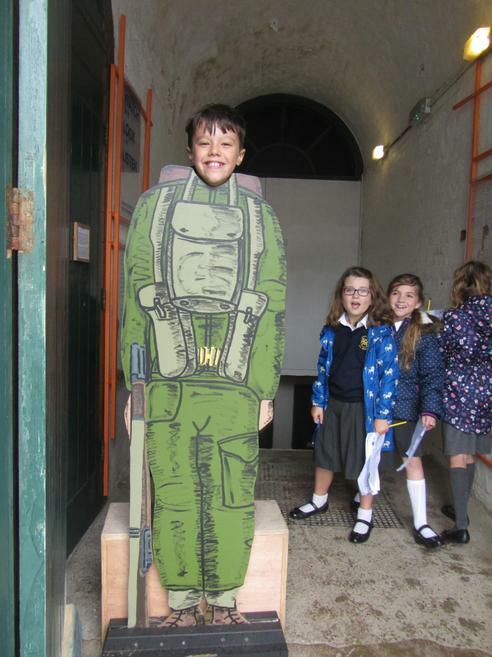 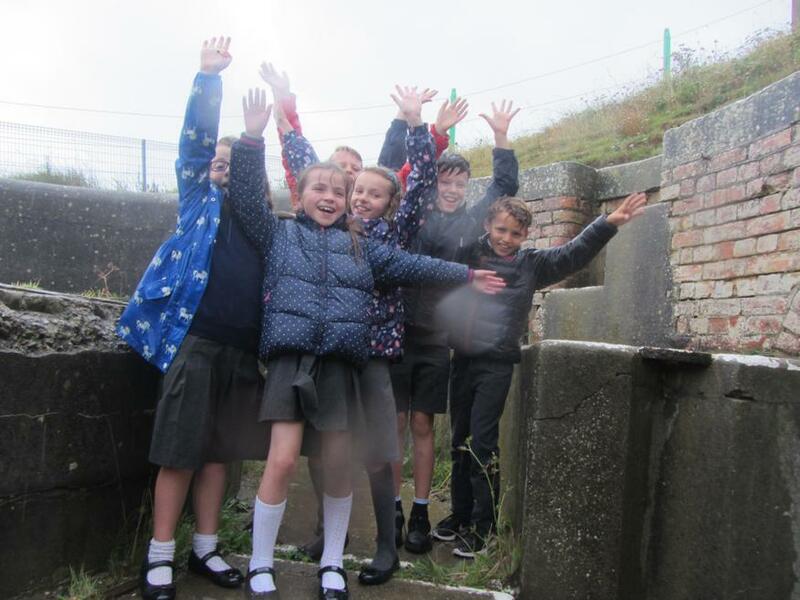 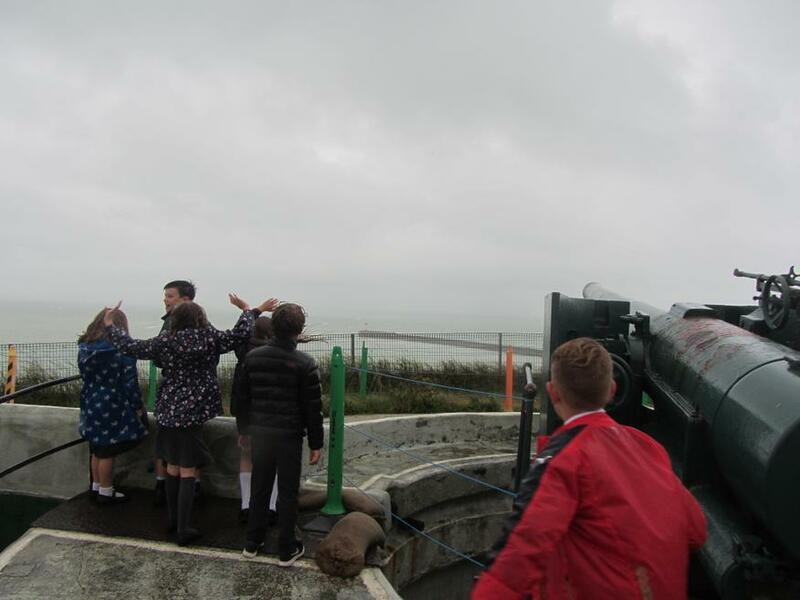 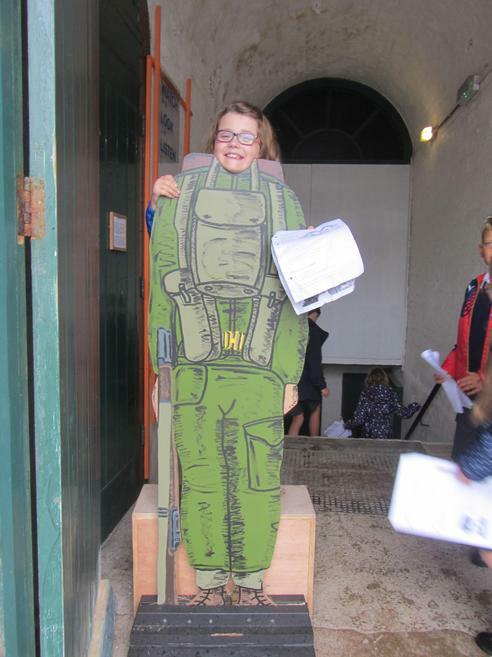 We had a really lovely day at Newhaven fort, despite the rain! 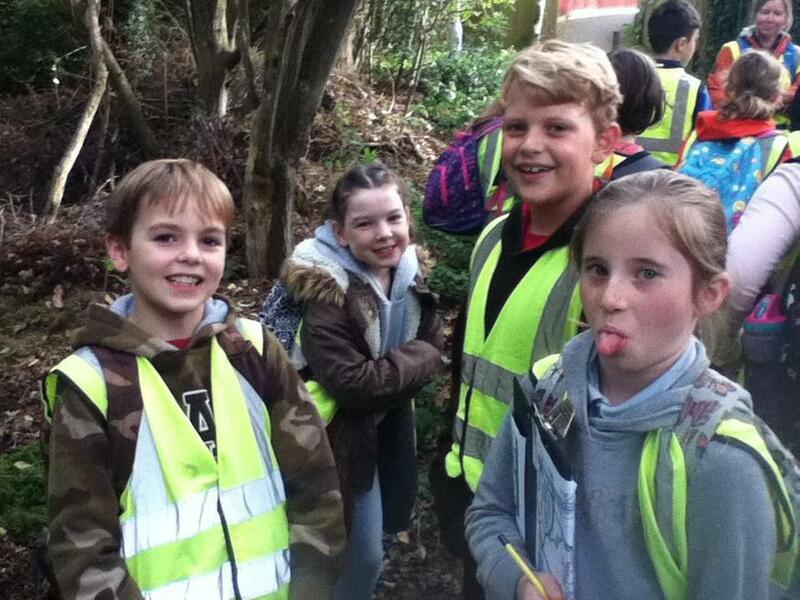 We hope you enjoy our pictures as much as we enjoyed our trip.